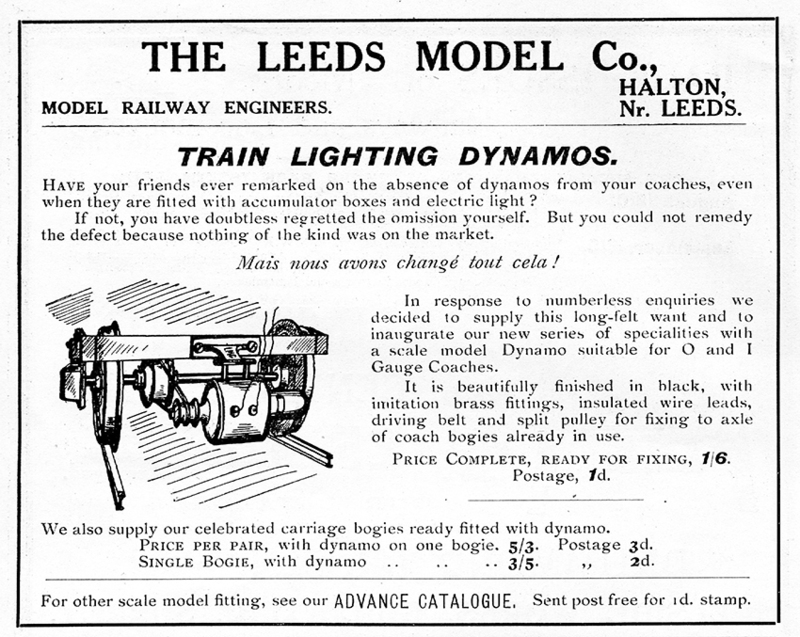 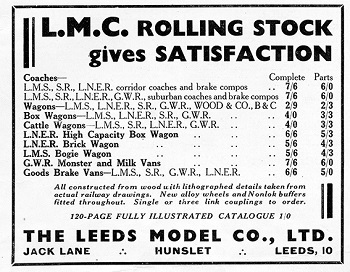 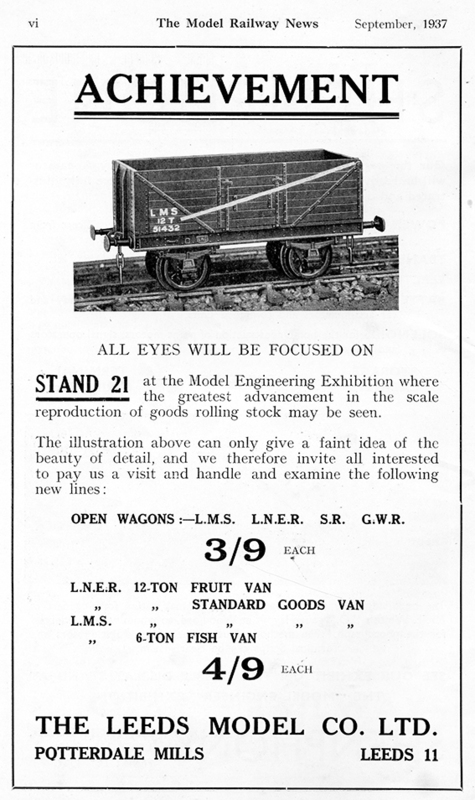 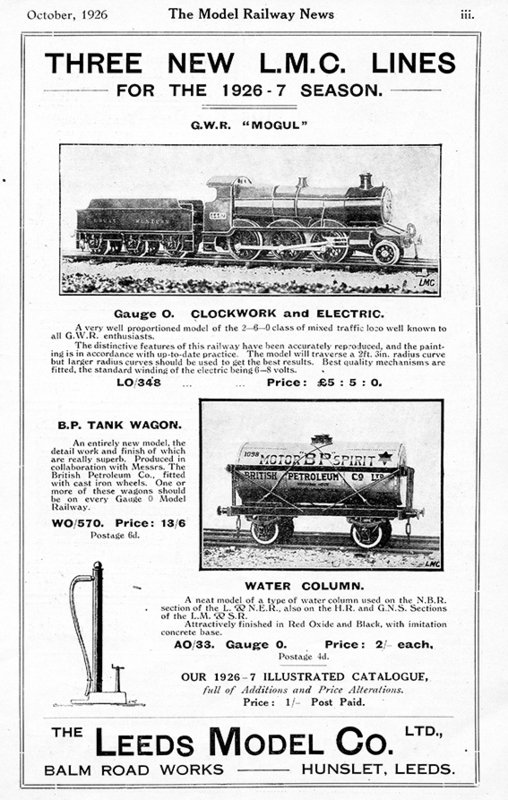 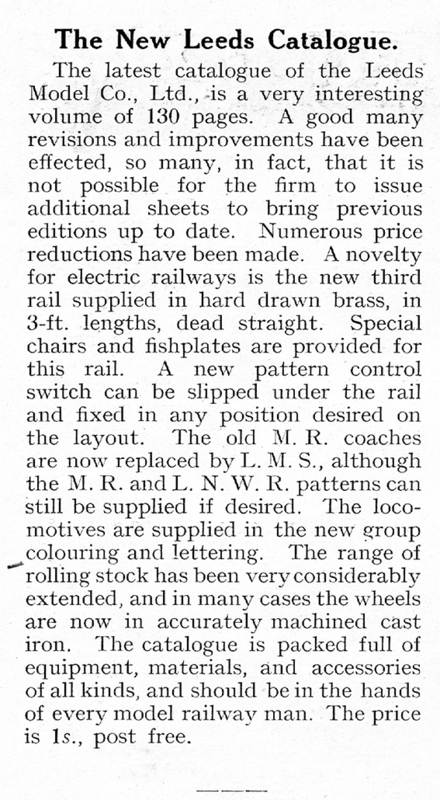 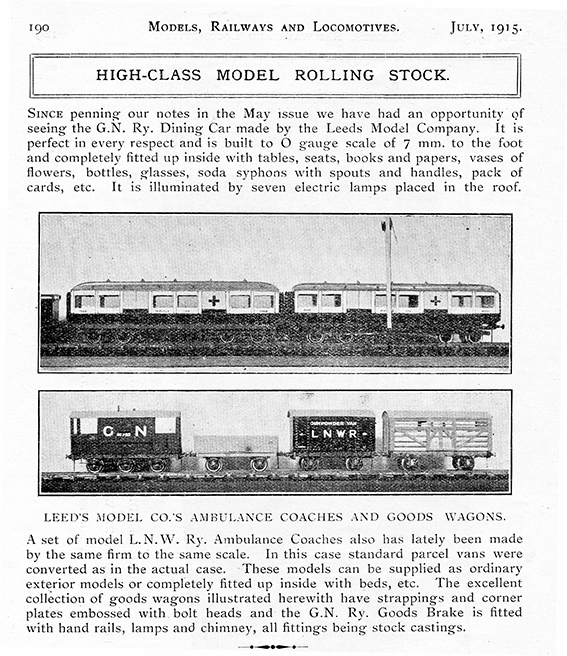 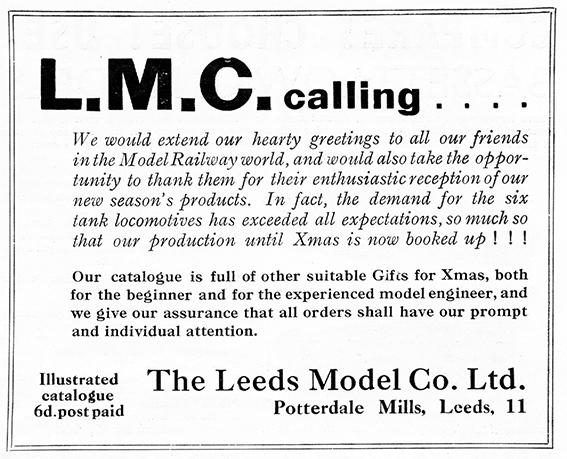 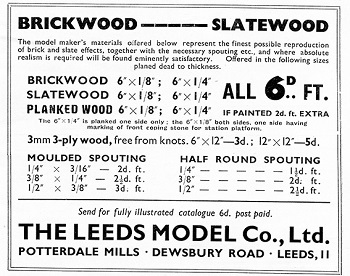 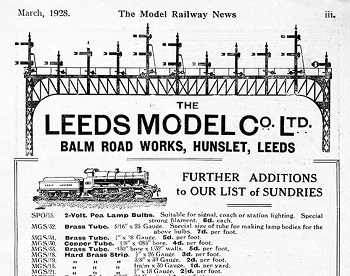 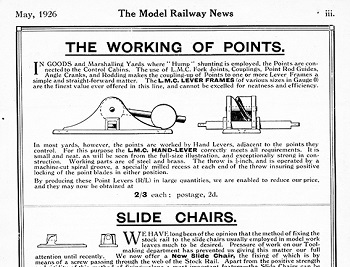 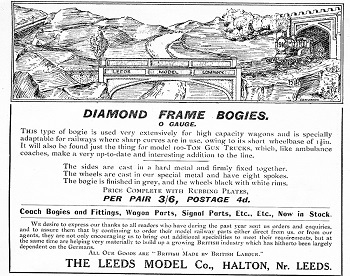 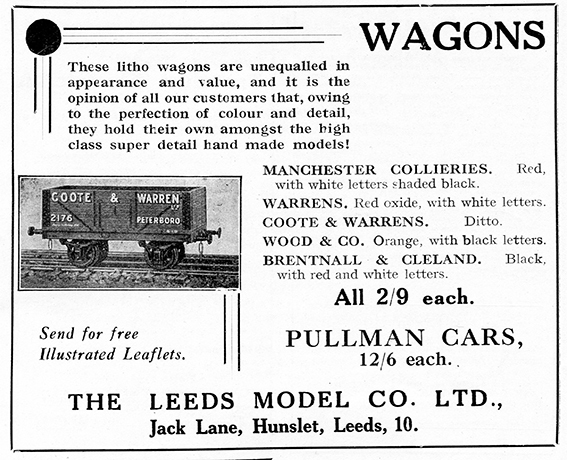 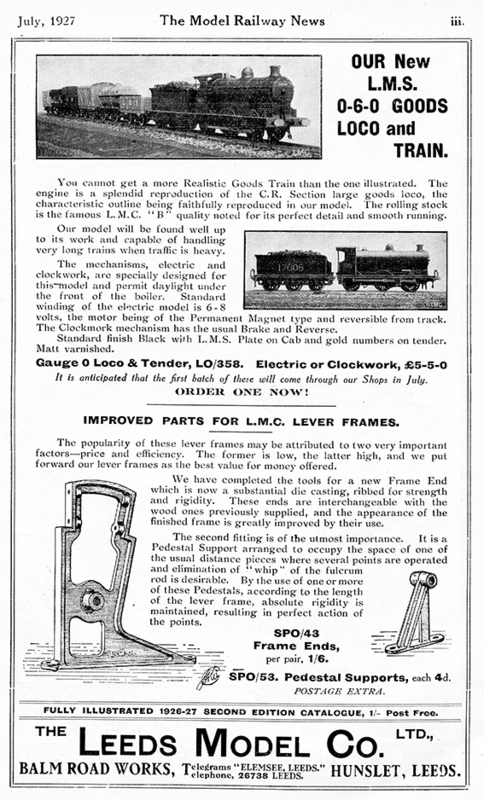 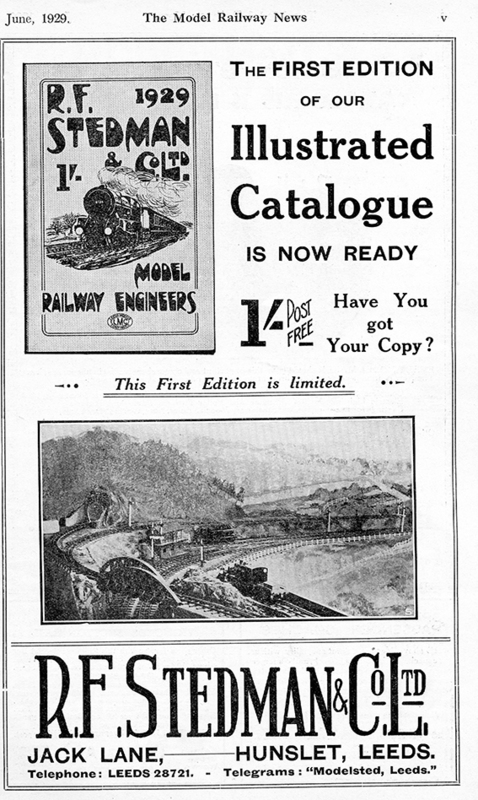 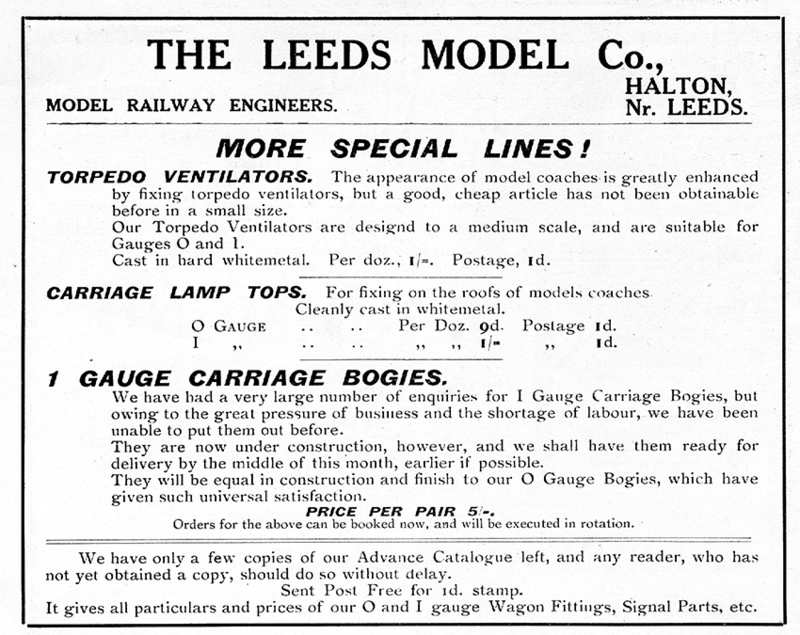 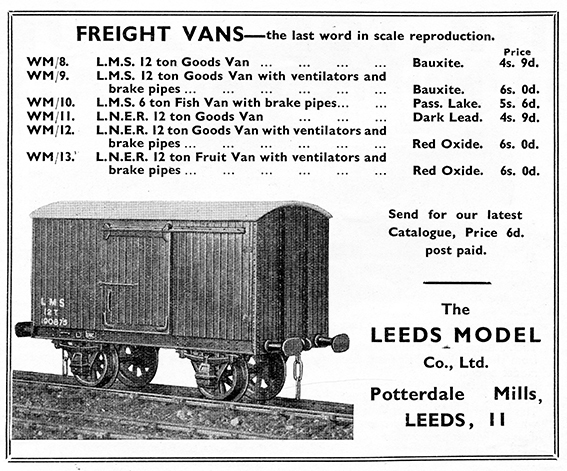 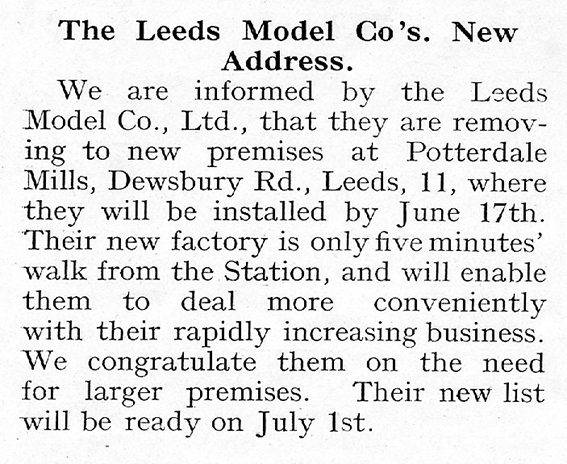 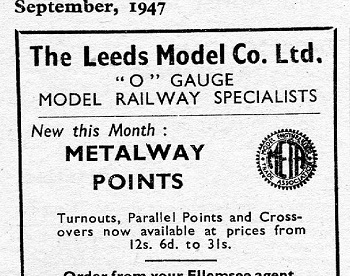 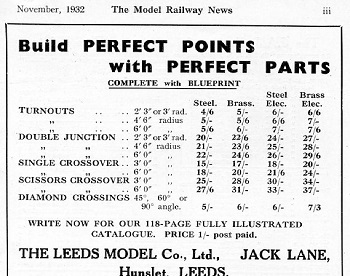 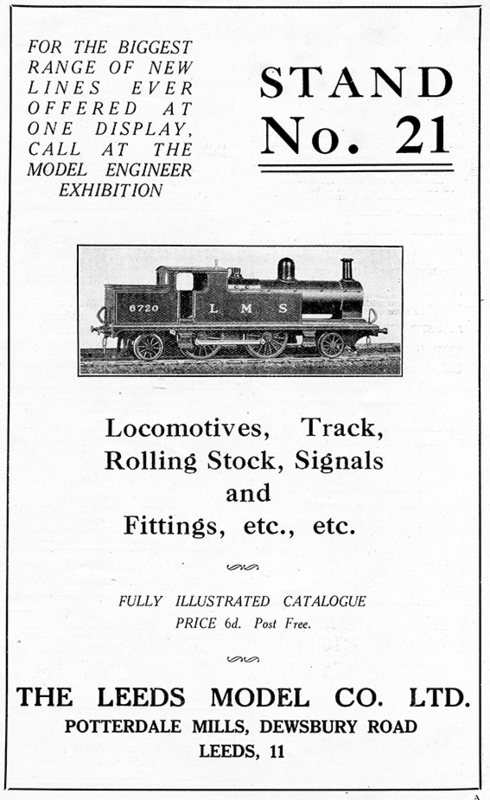 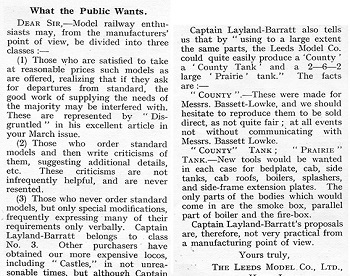 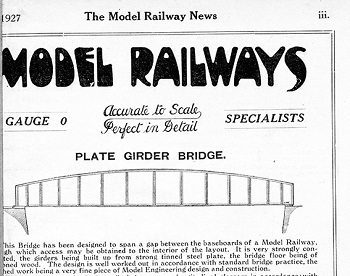 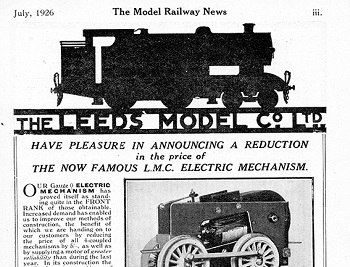 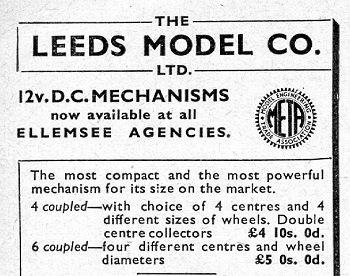 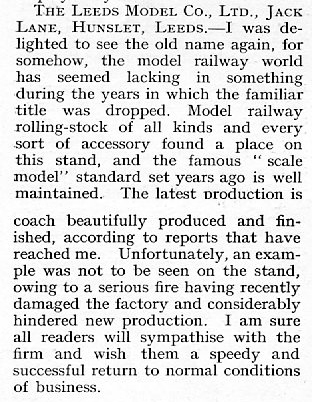 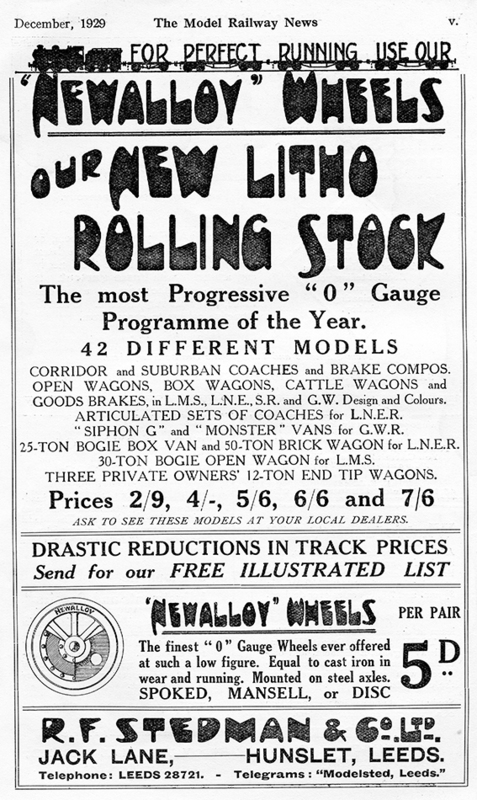 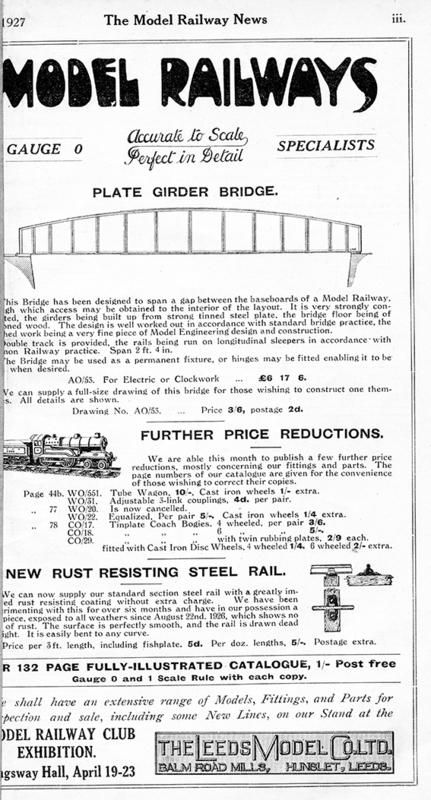 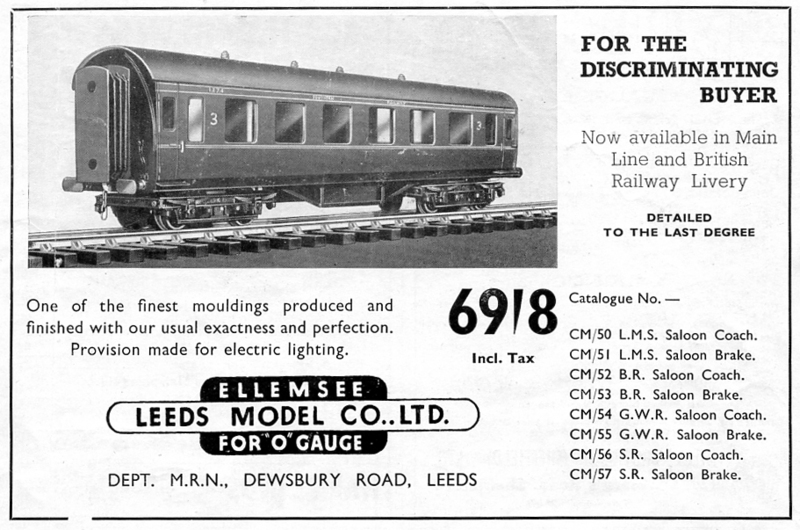 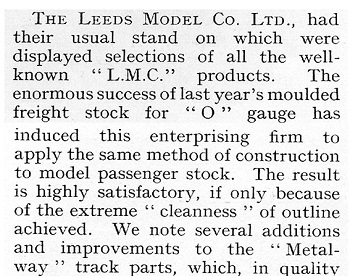 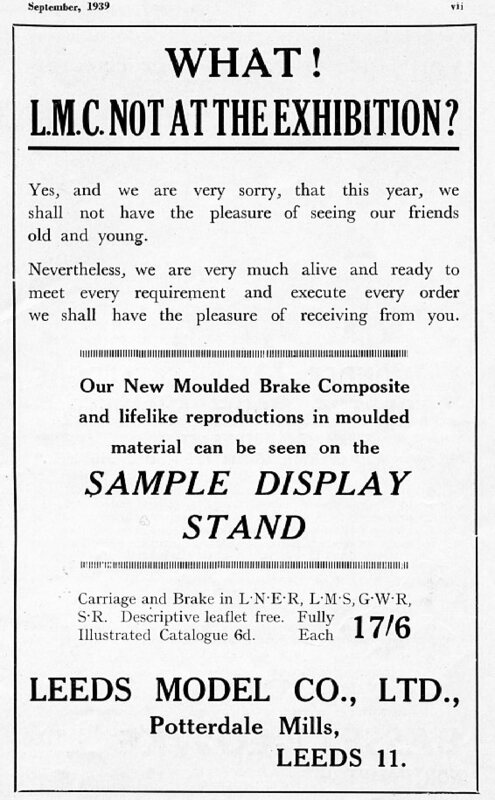 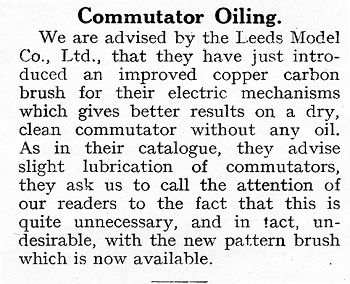 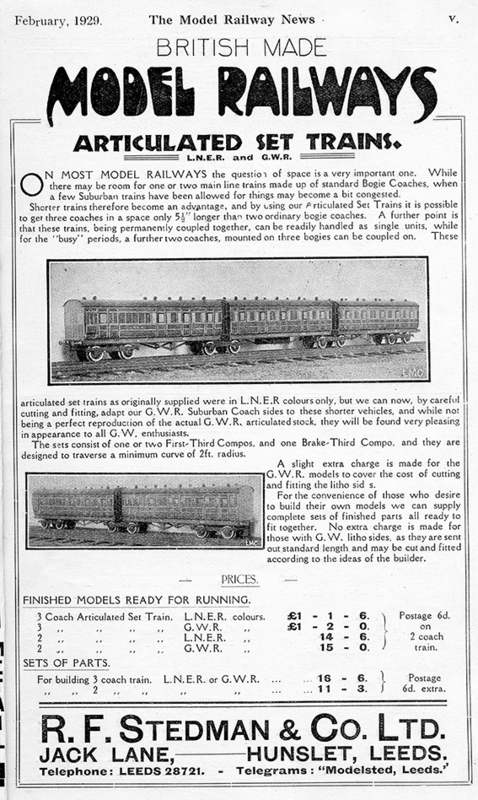 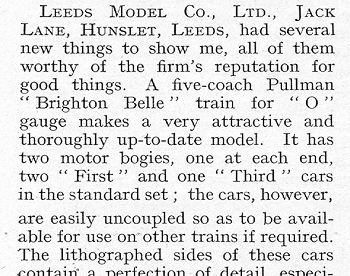 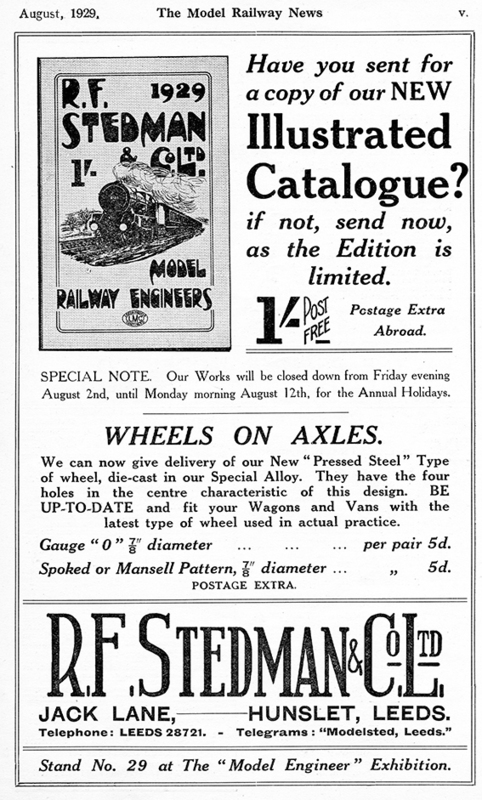 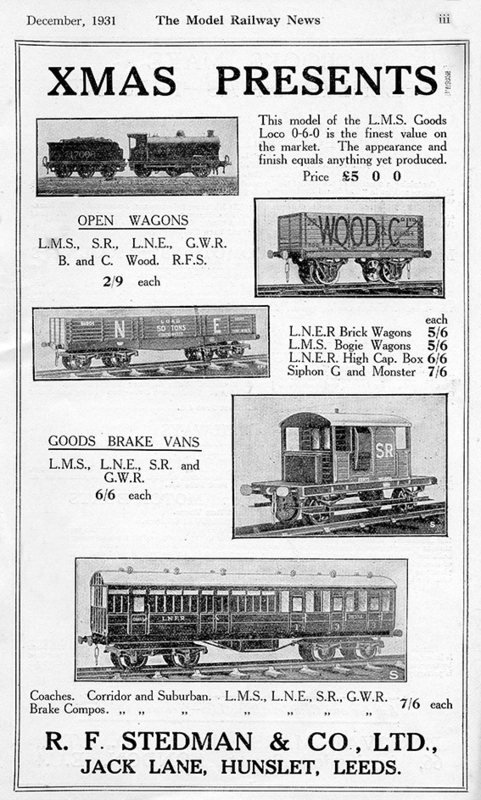 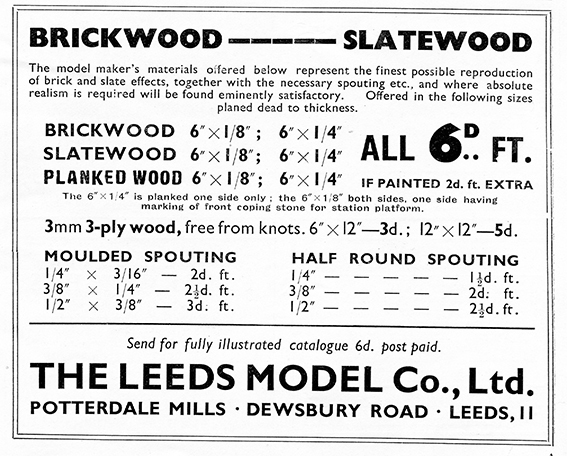 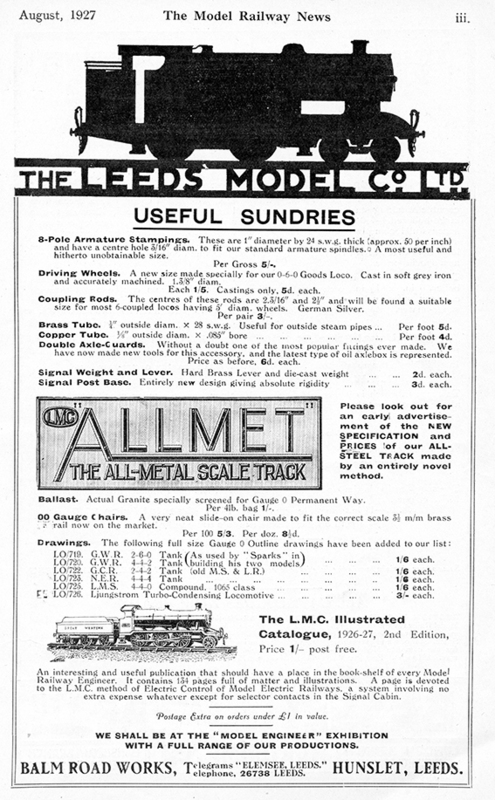 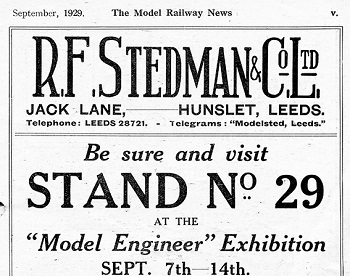 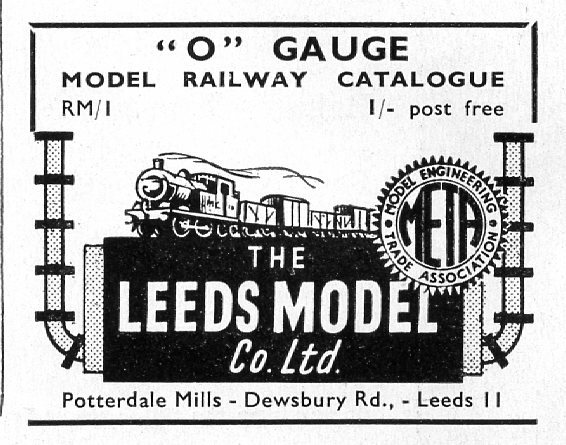 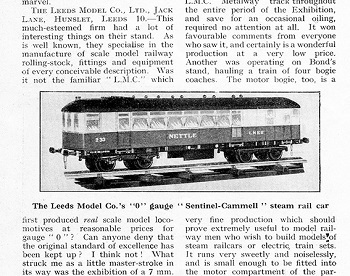 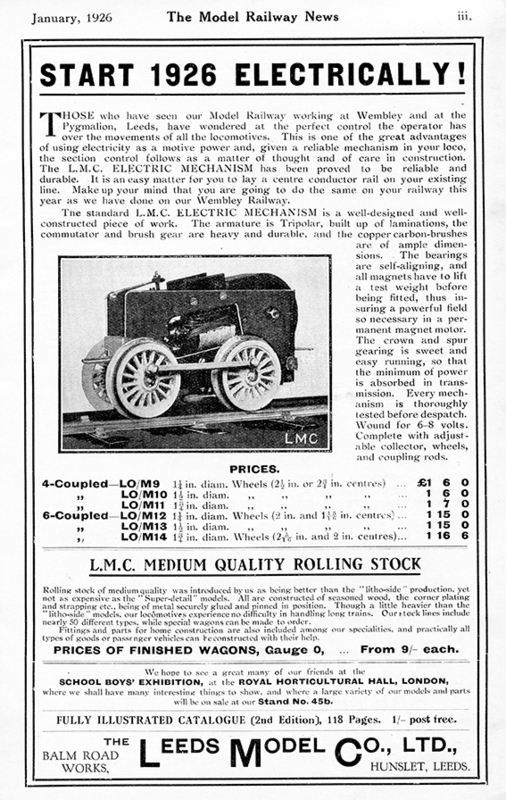 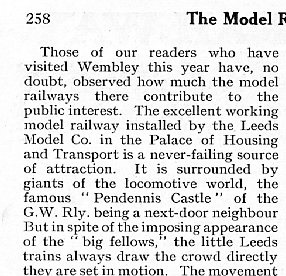 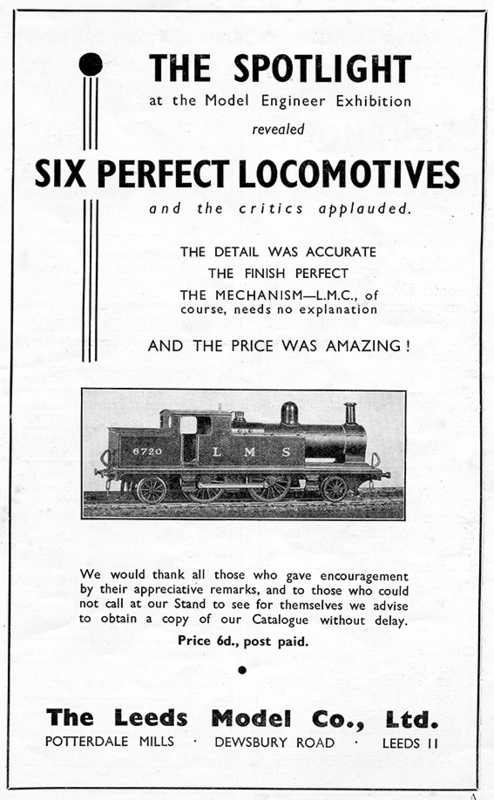 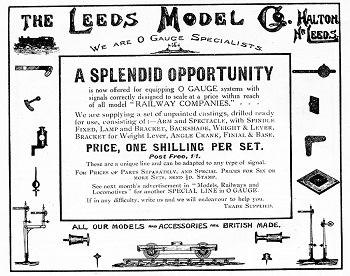 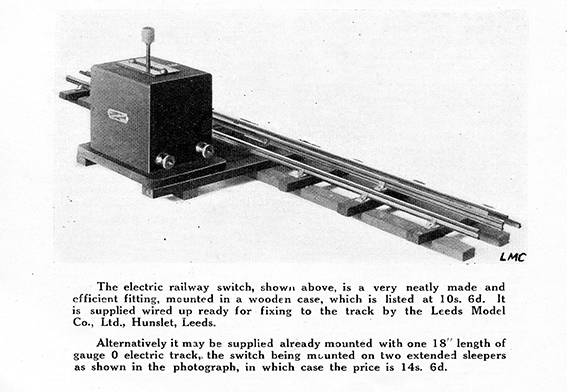 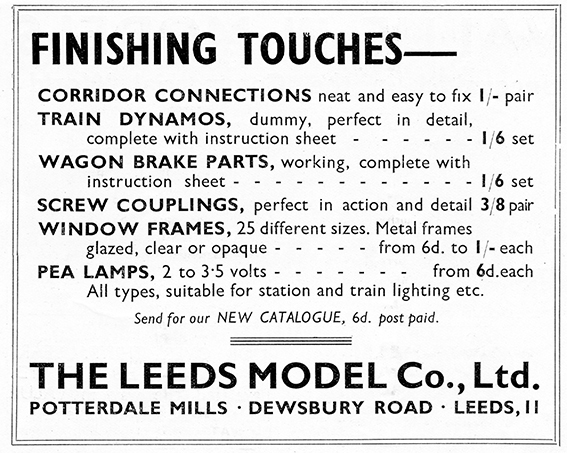 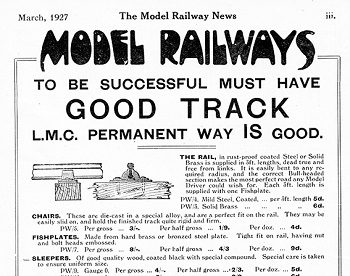 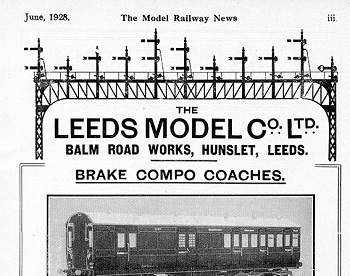 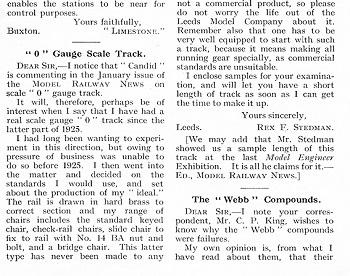 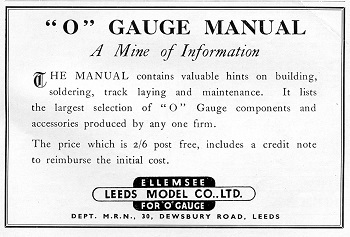 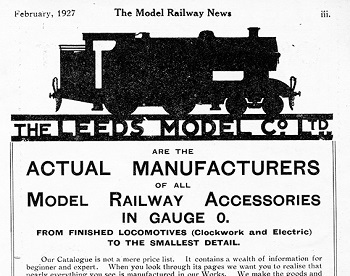 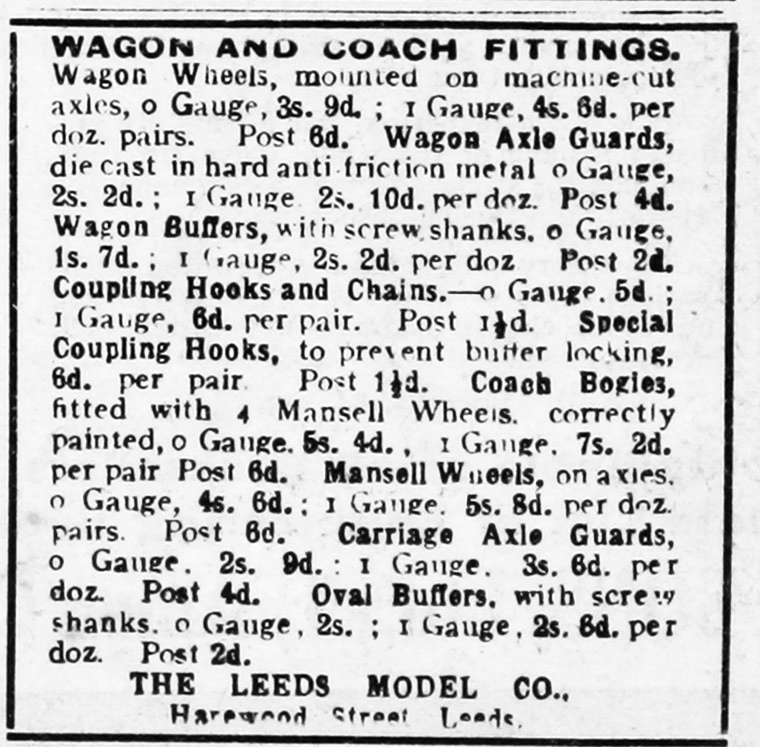 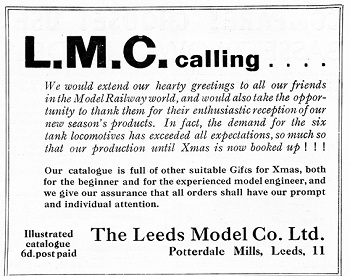 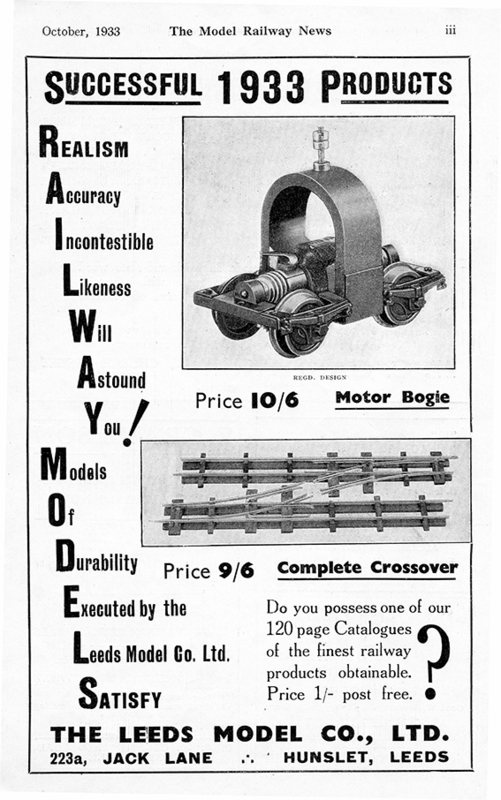 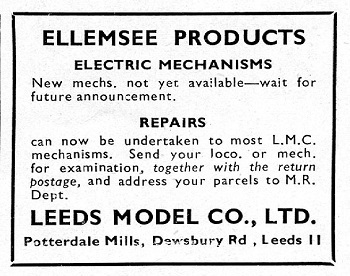 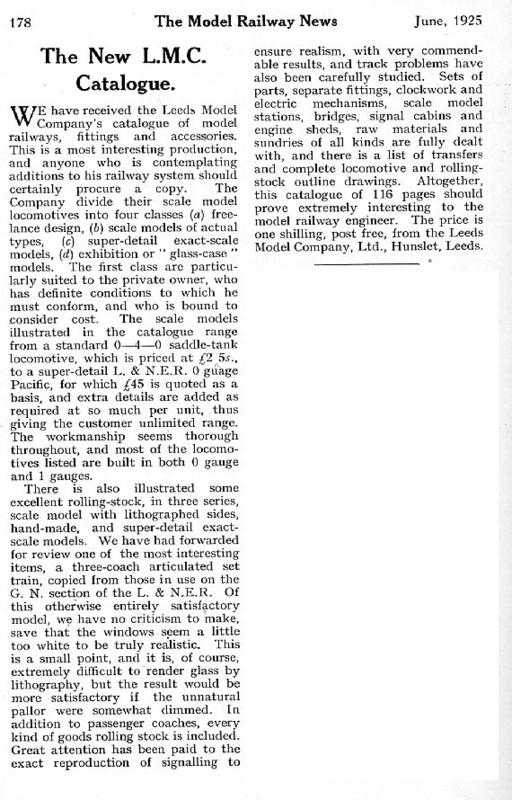 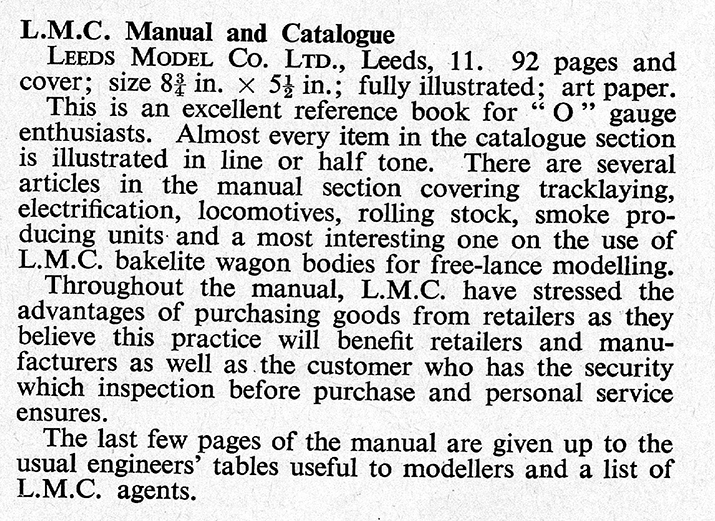 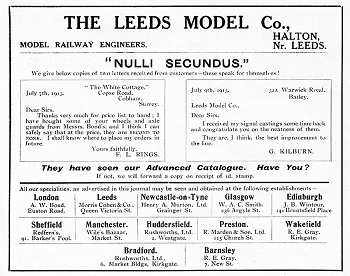 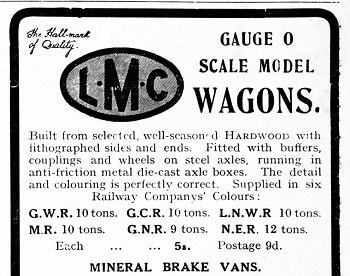 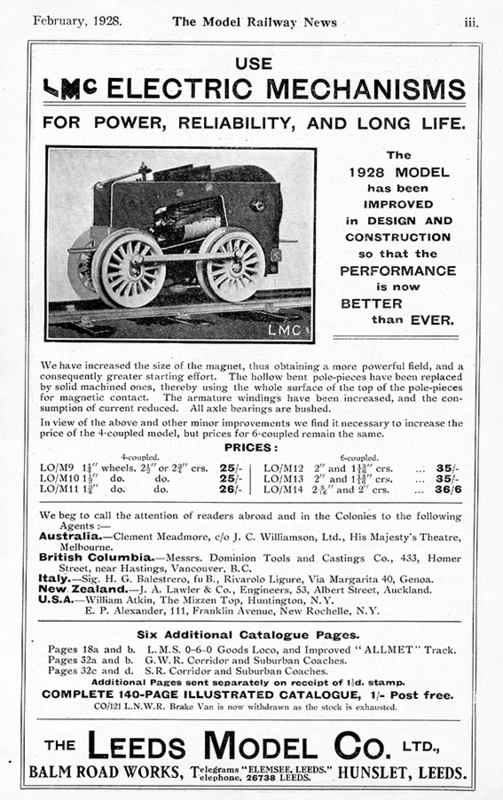 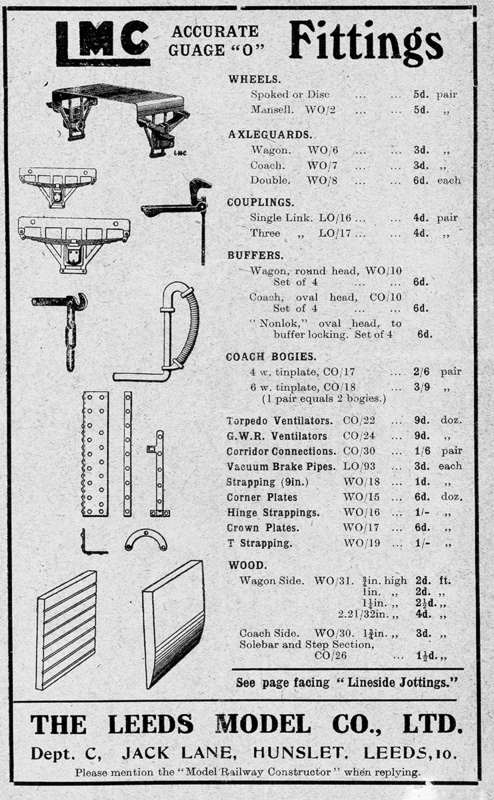 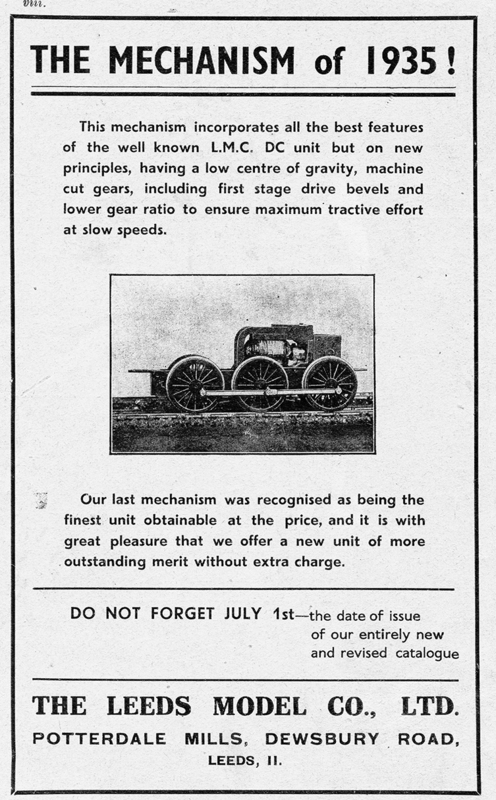 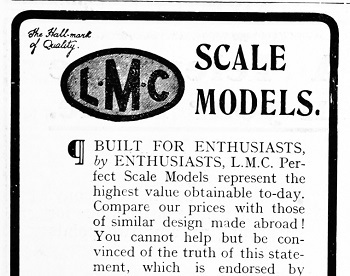 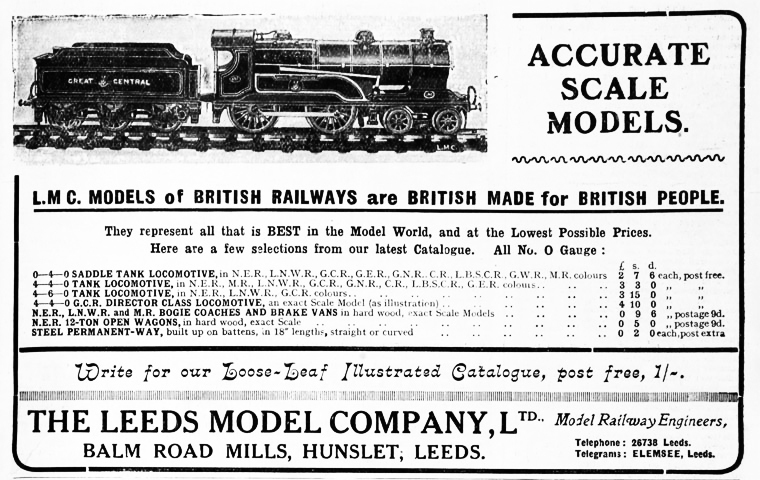 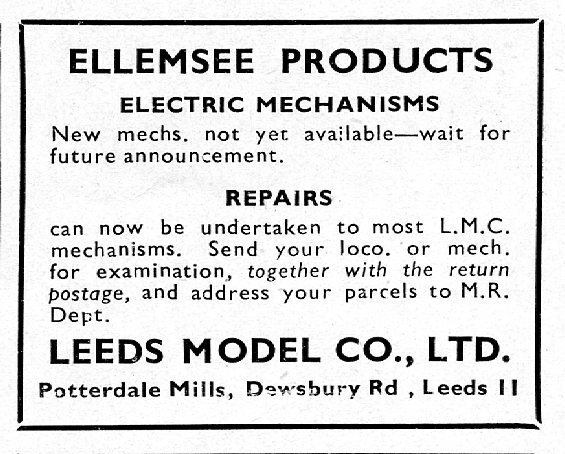 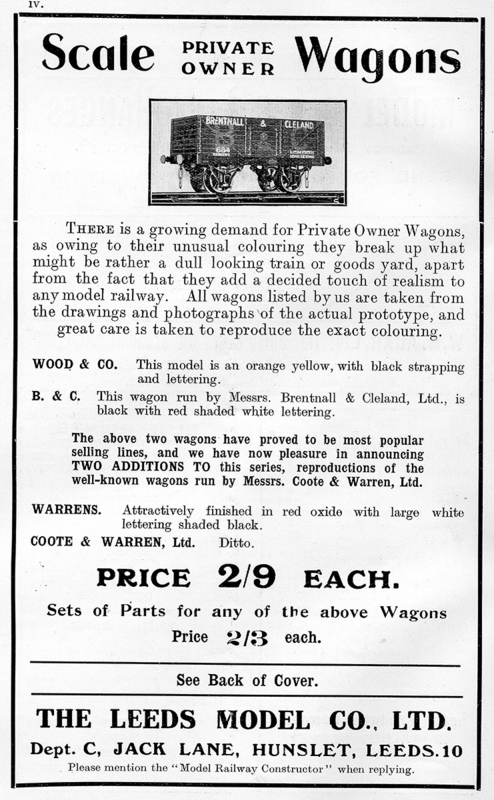 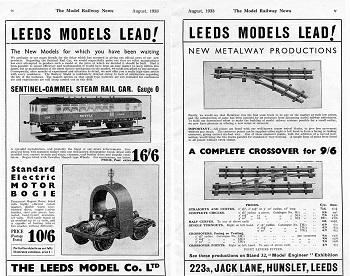 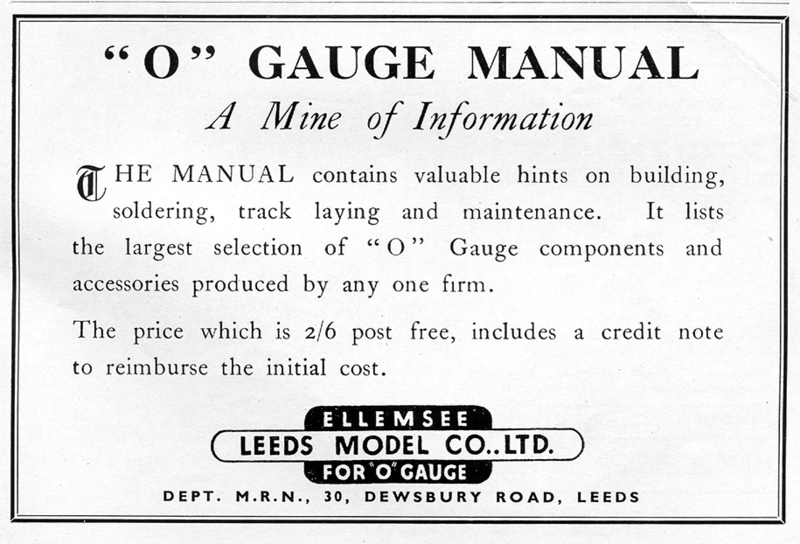 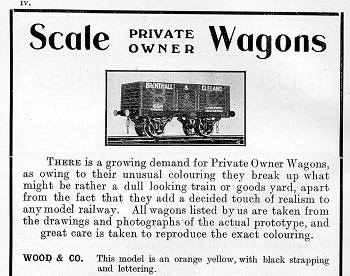 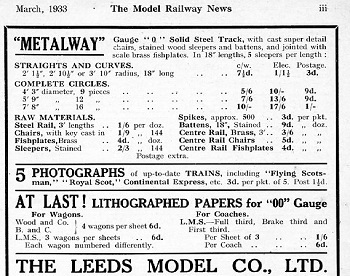 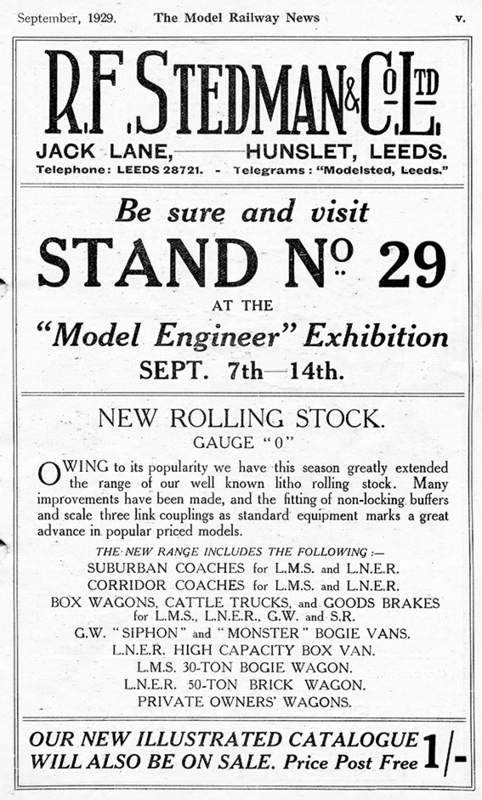 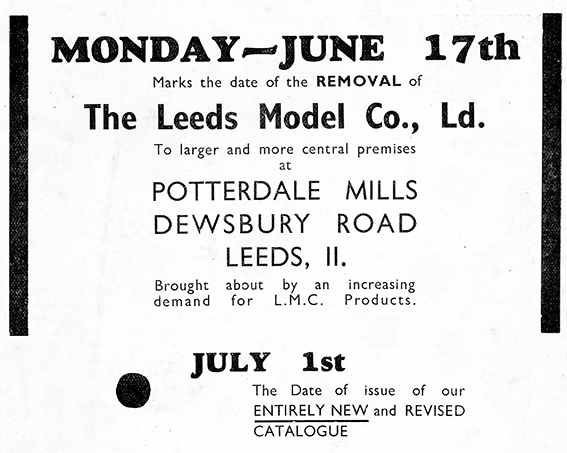 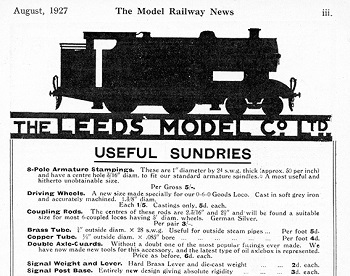 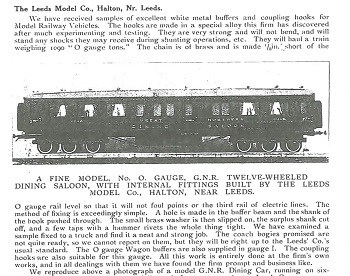 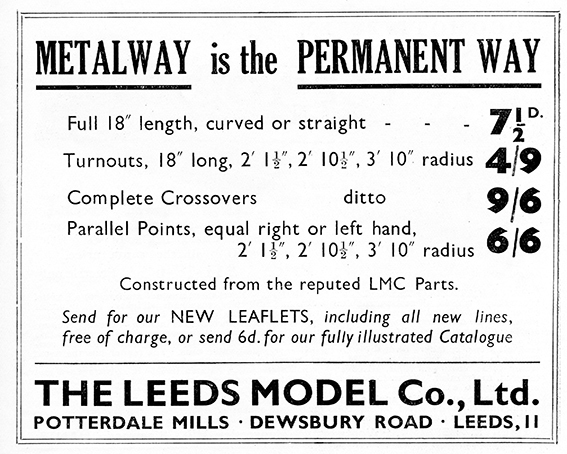 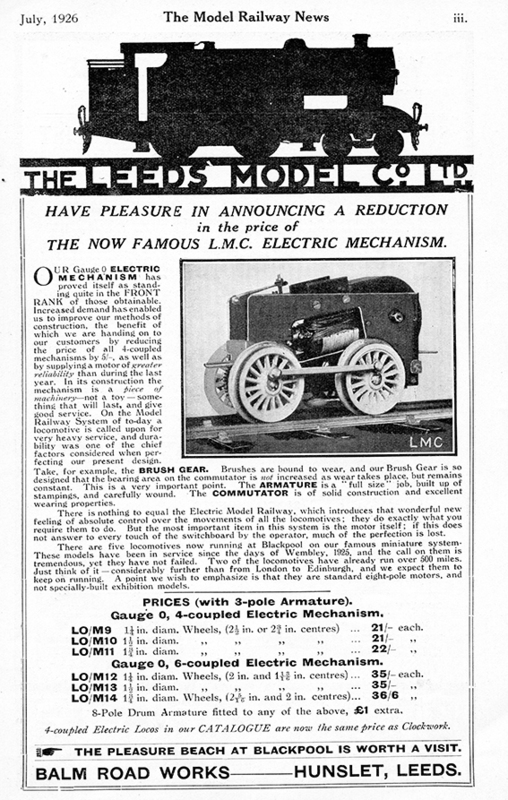 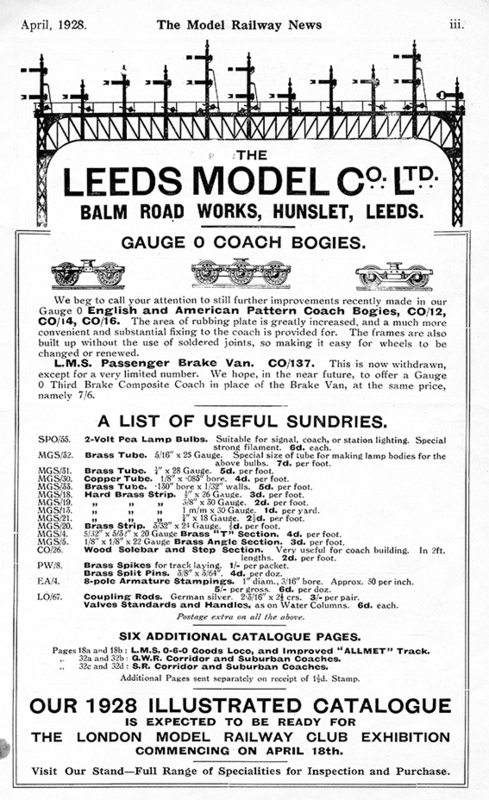 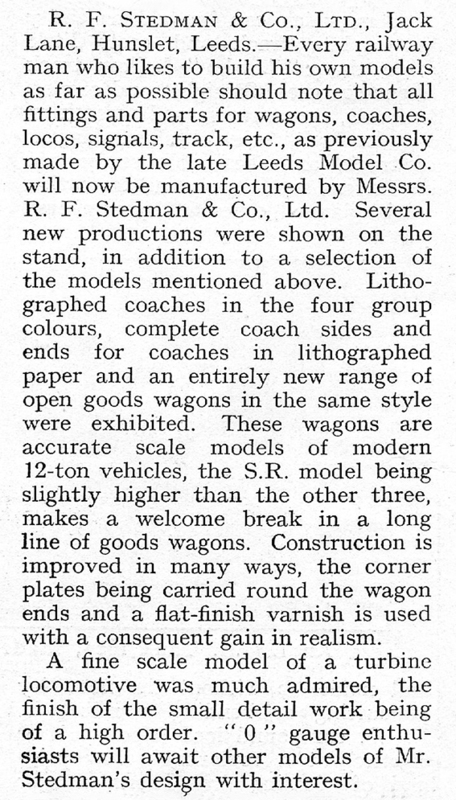 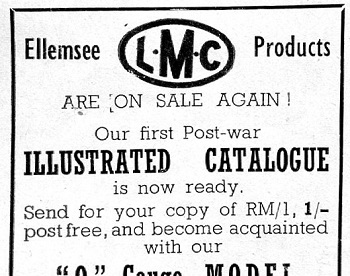 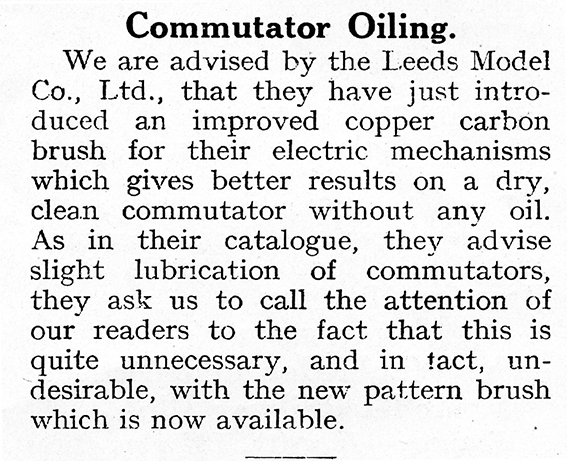 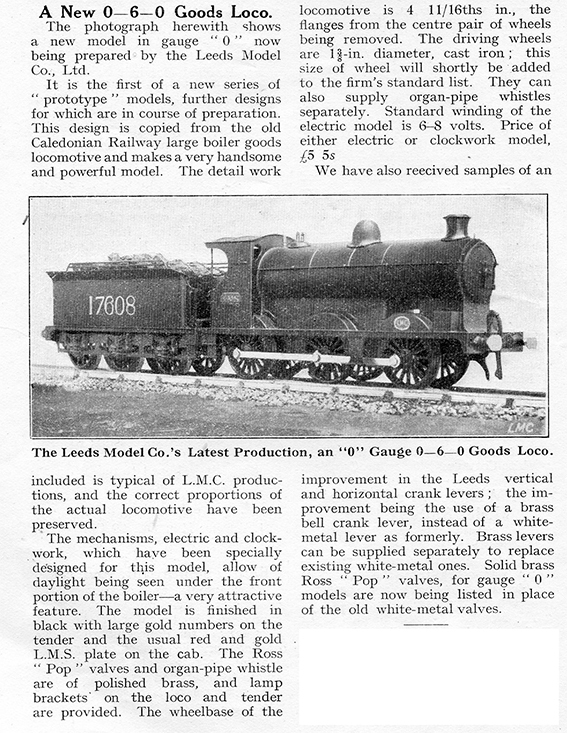 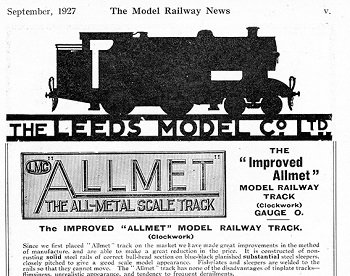 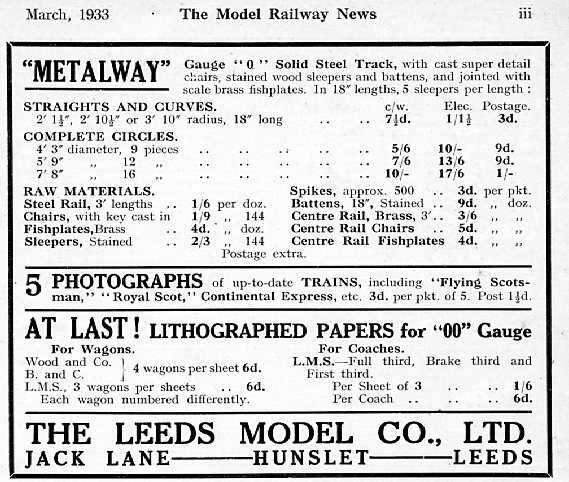 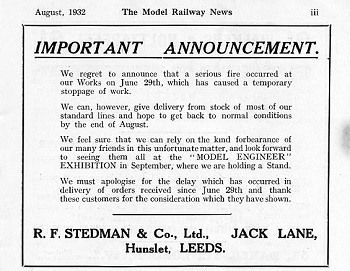 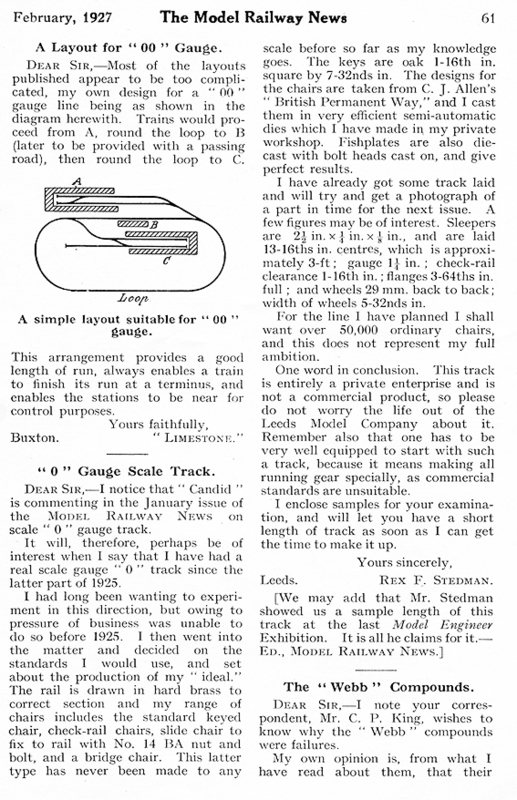 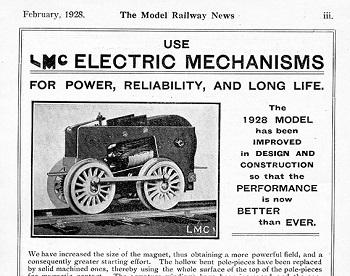 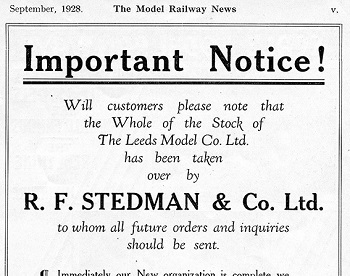 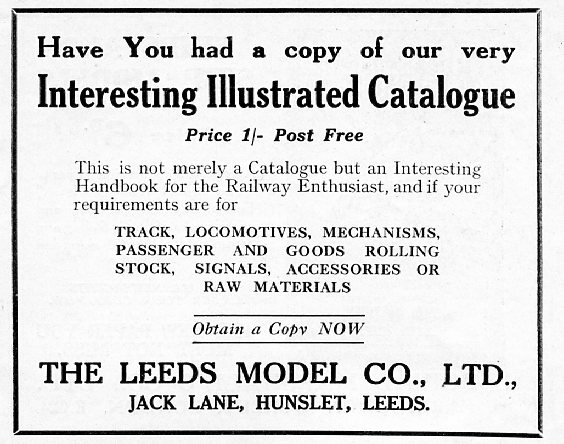 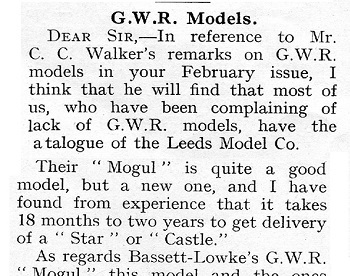 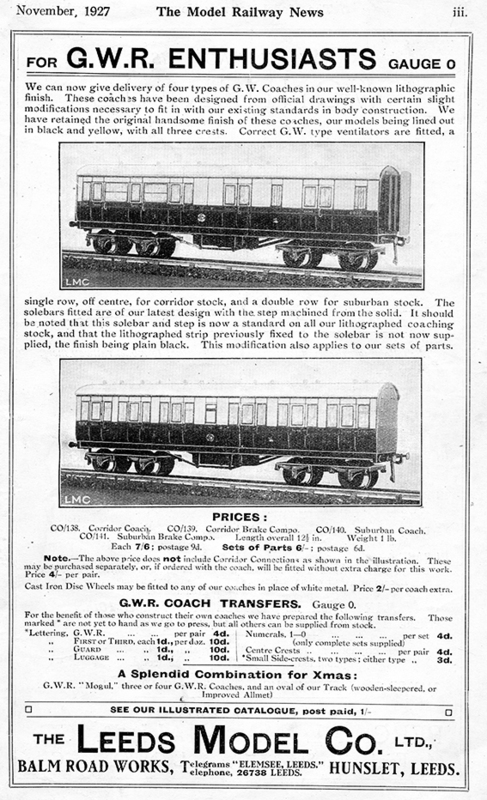 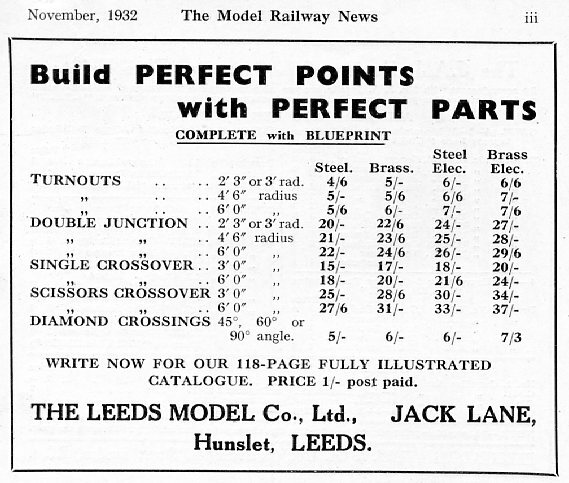 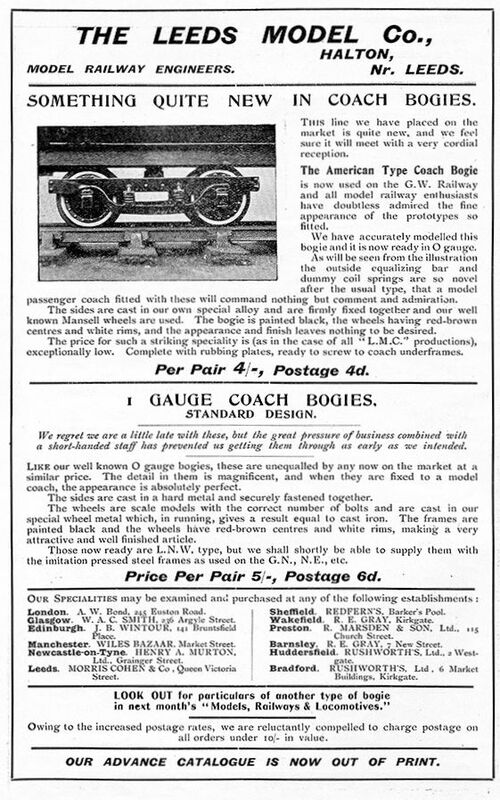 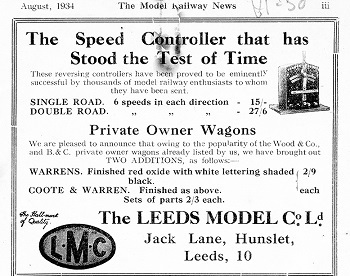 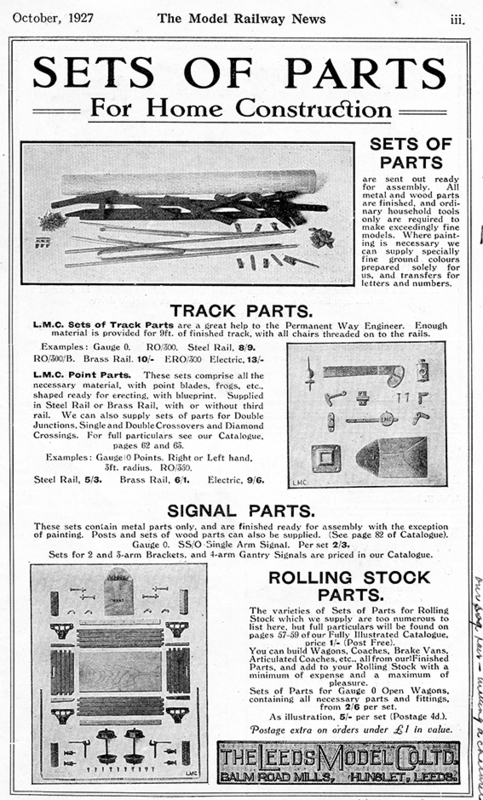 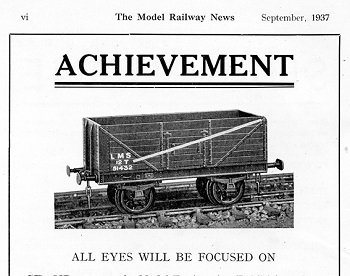 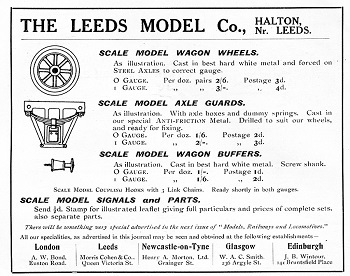 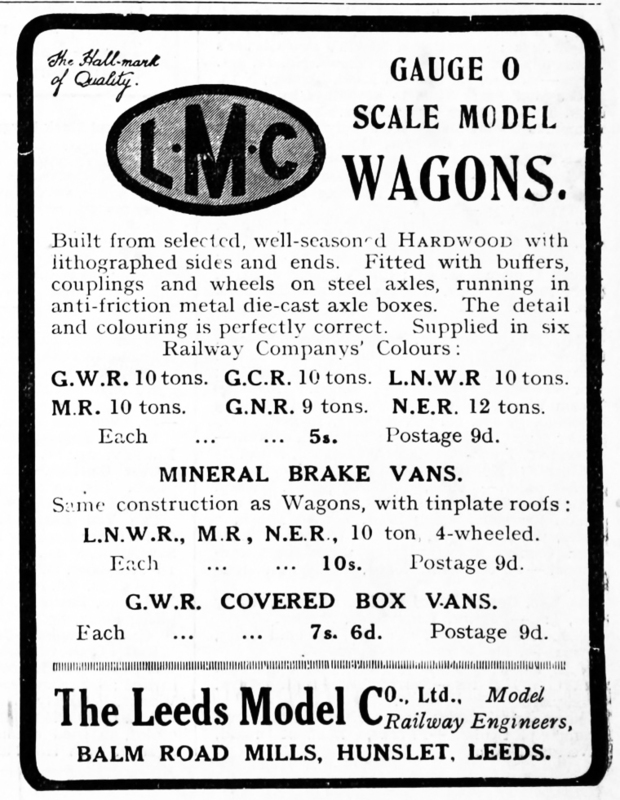 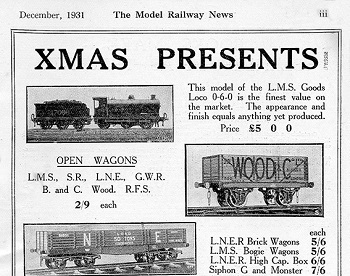 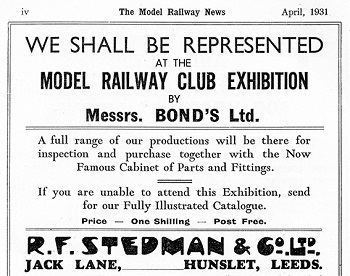 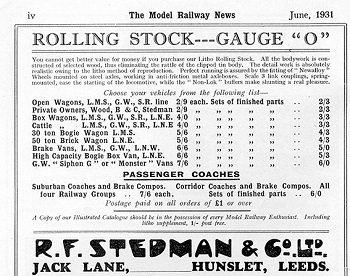 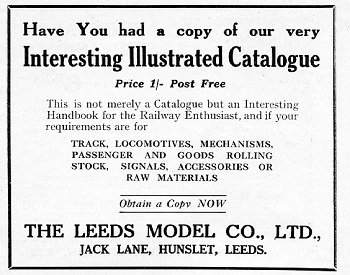 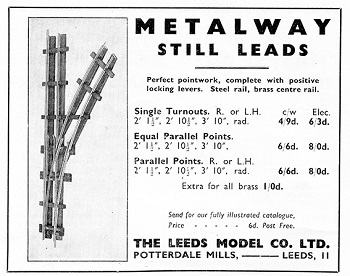 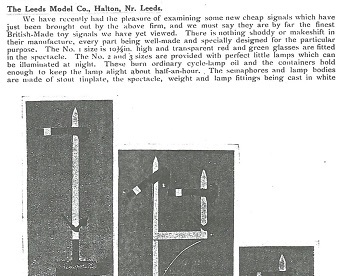 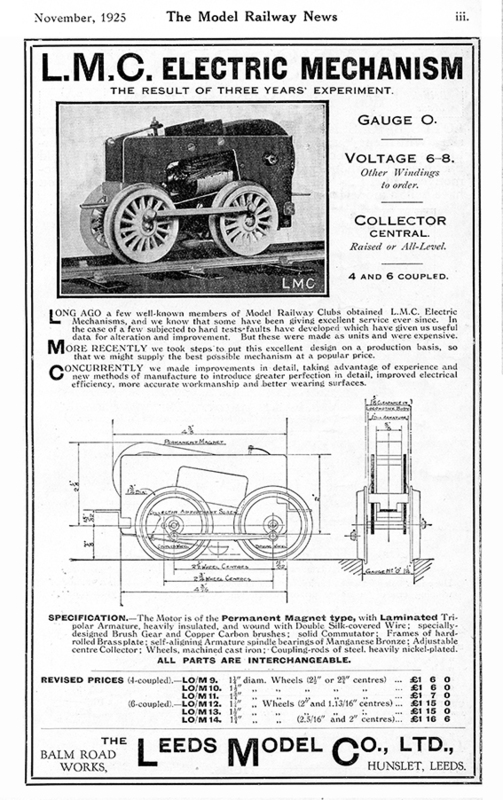 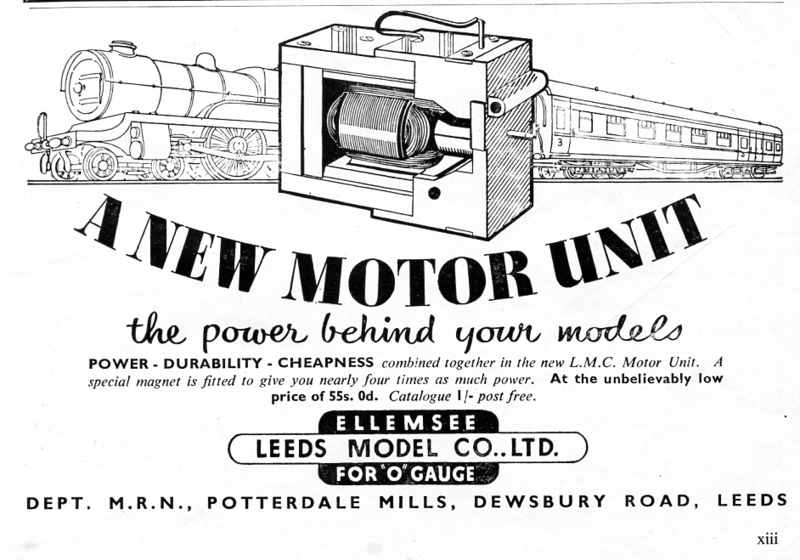 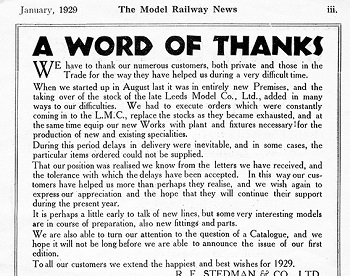 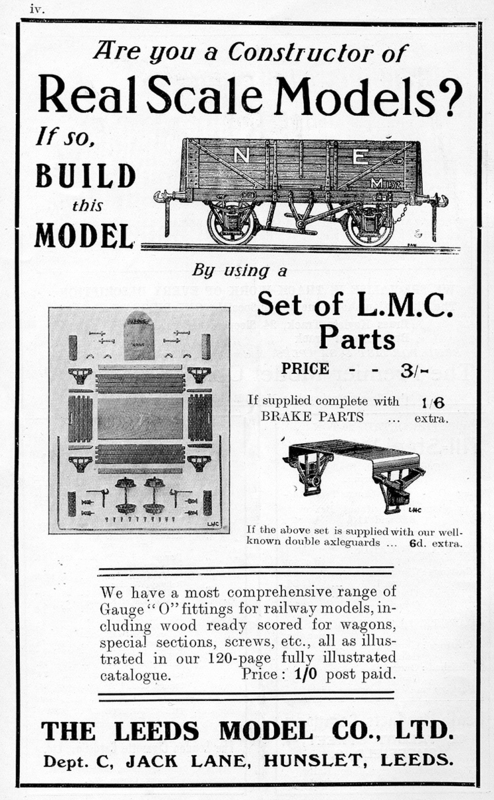 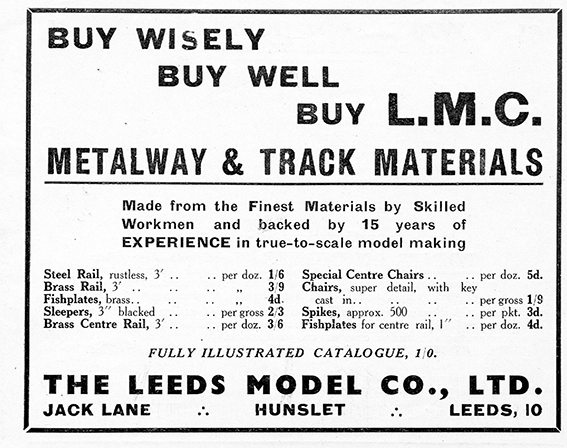 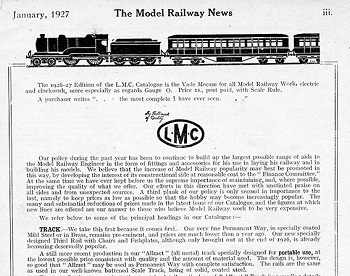 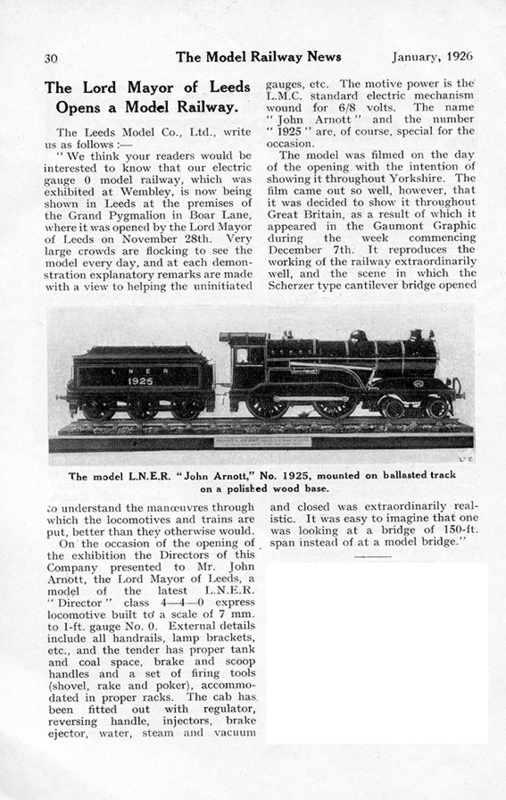 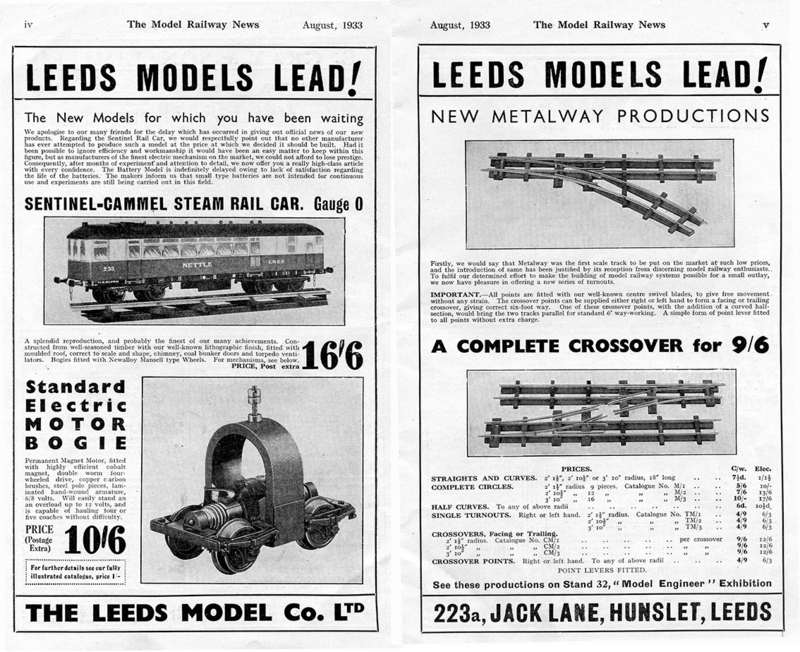 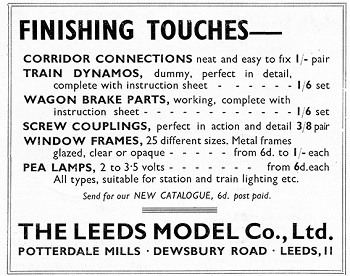 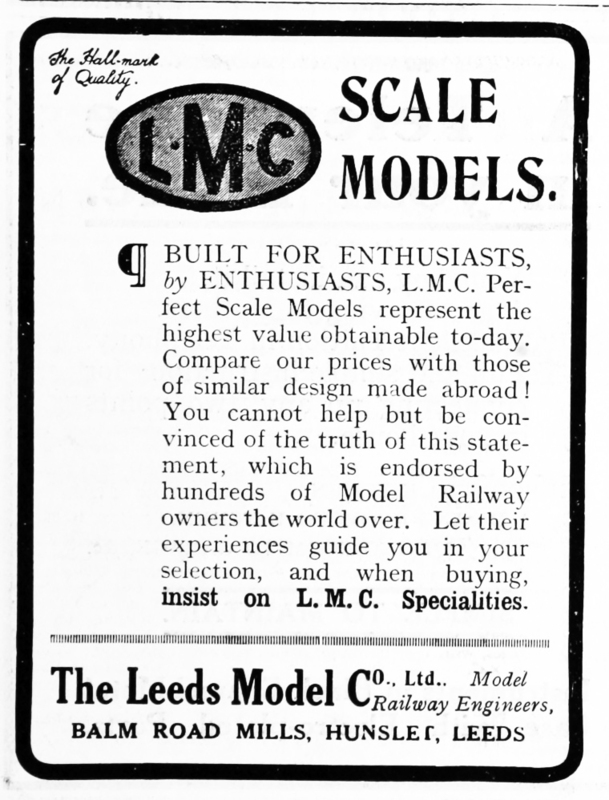 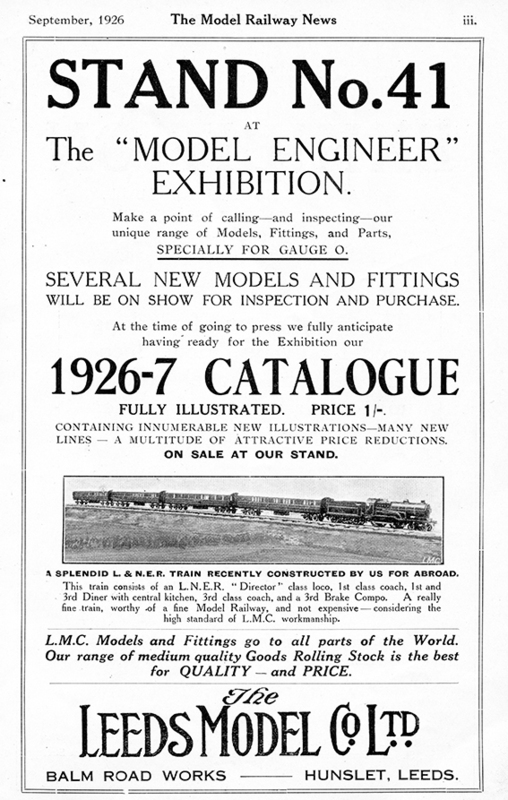 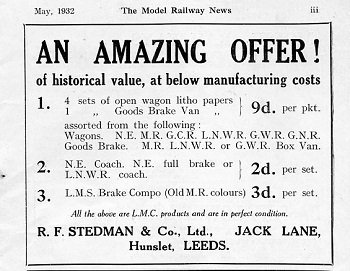 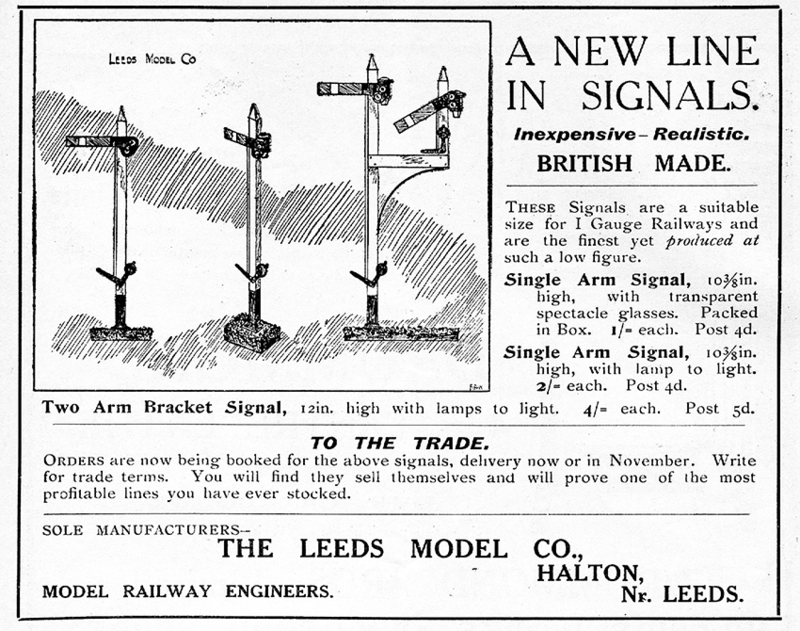 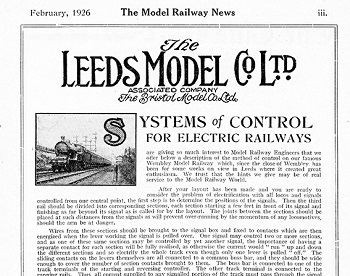 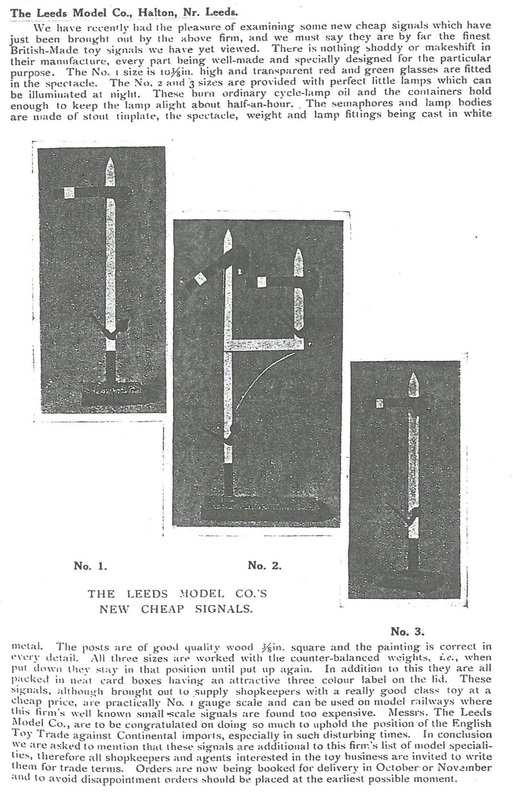 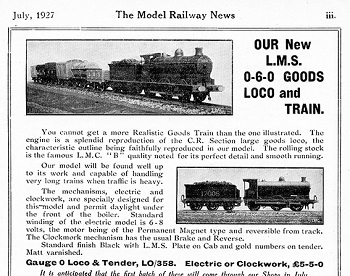 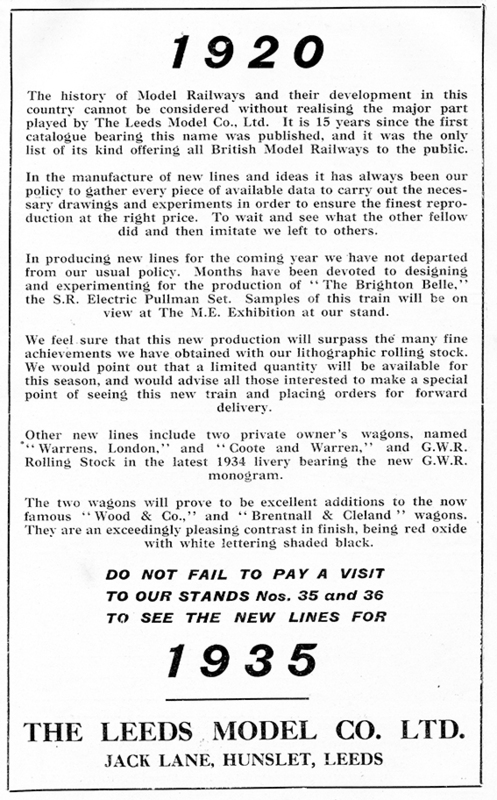 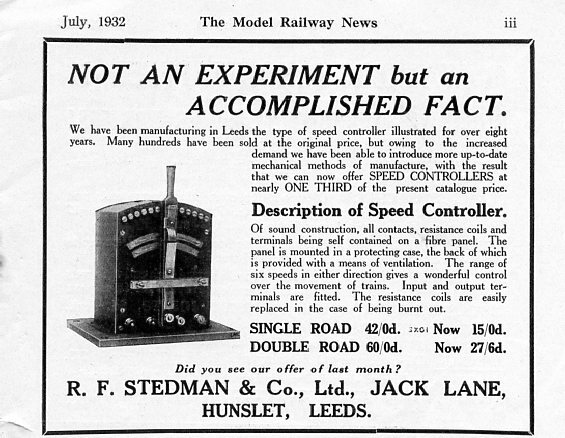 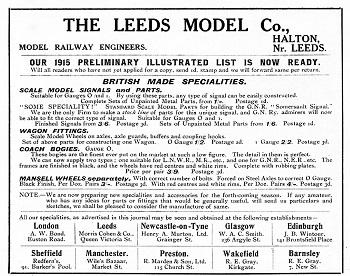 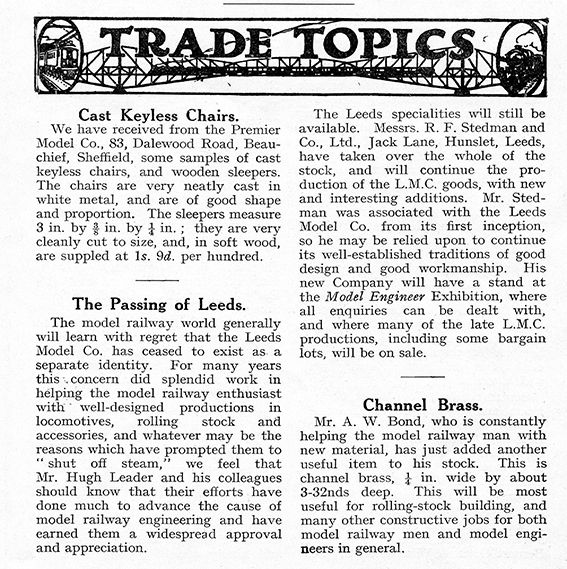 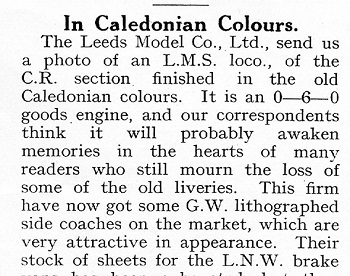 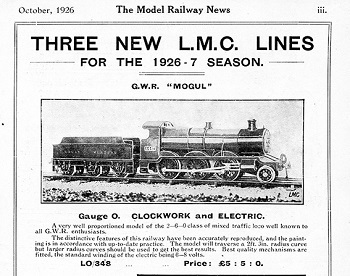 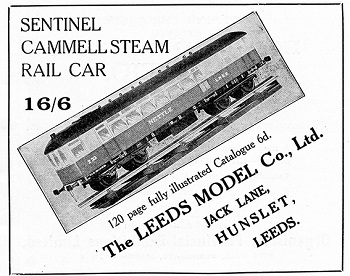 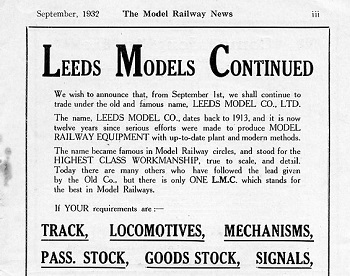 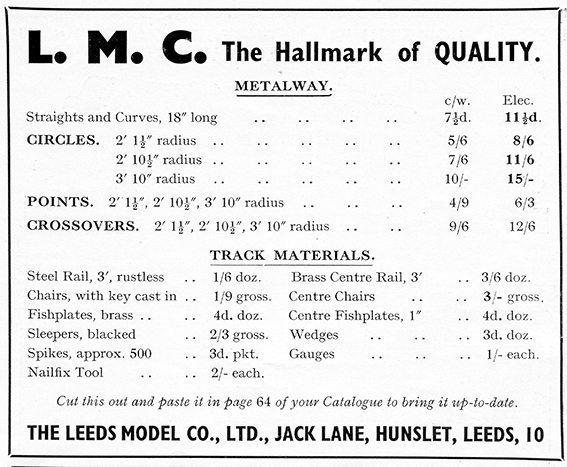 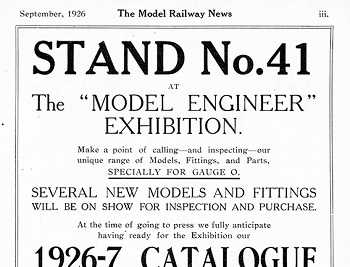 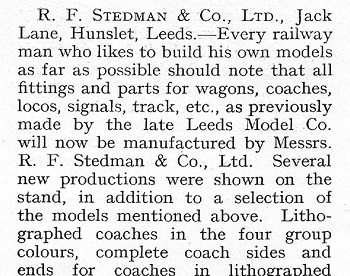 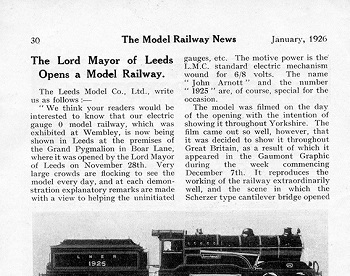 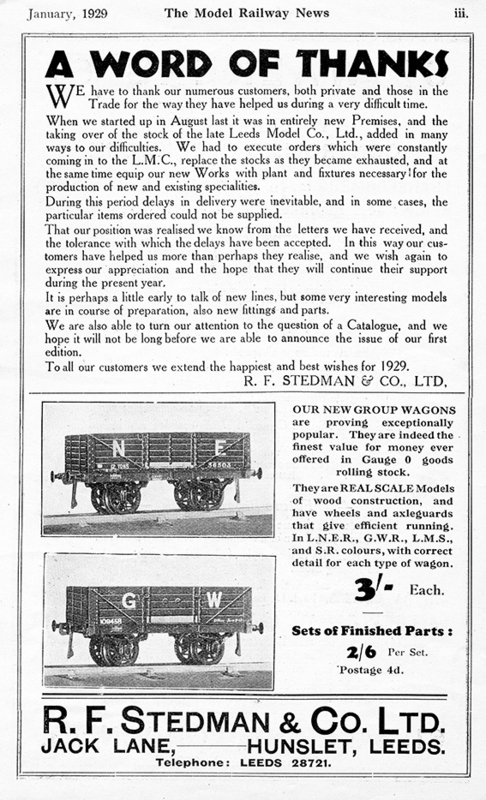 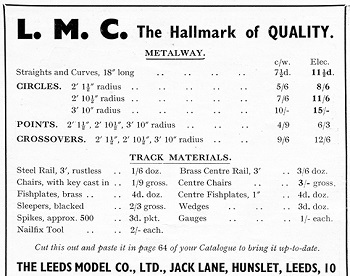 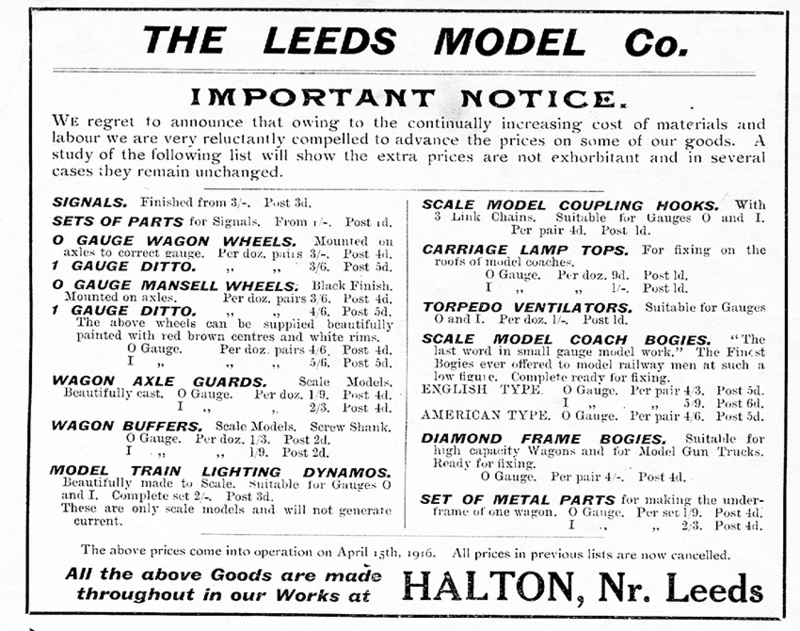 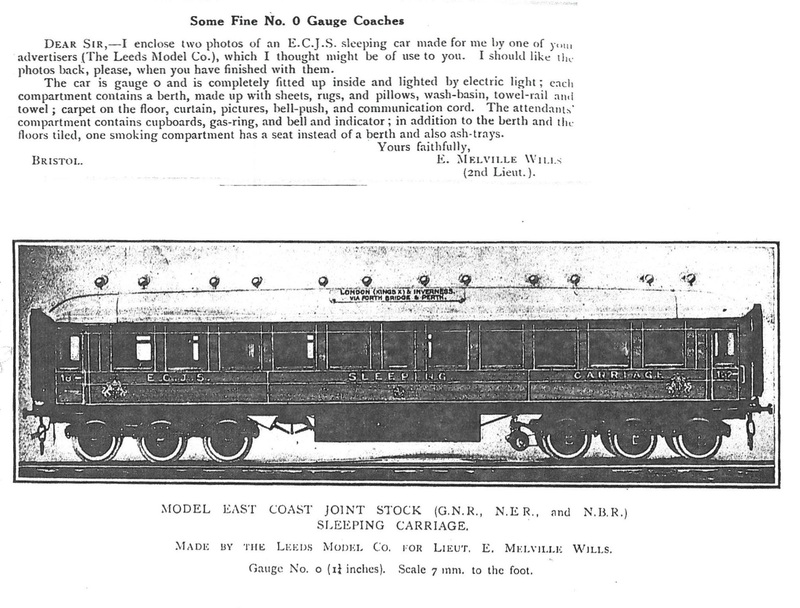 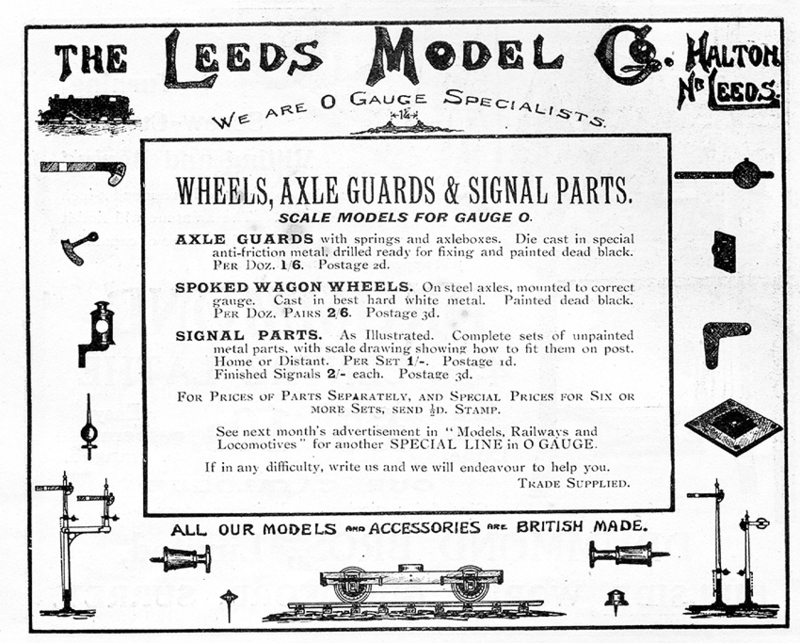 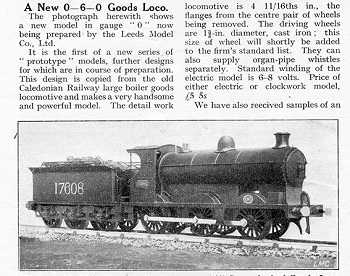 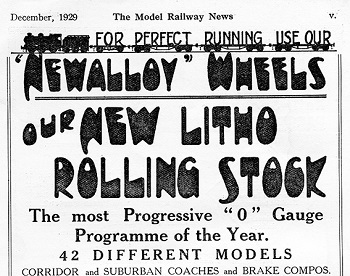 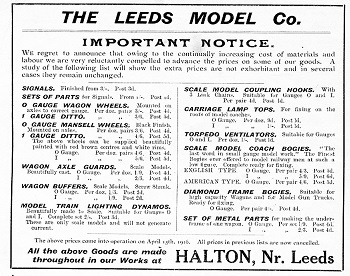 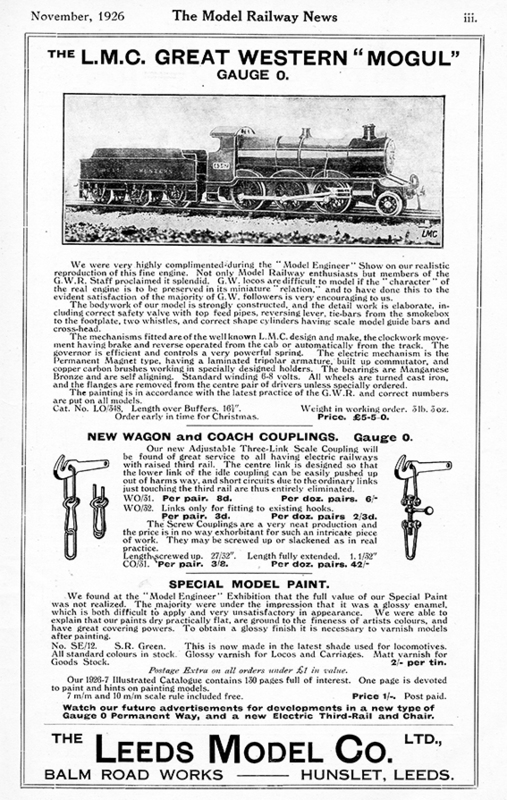 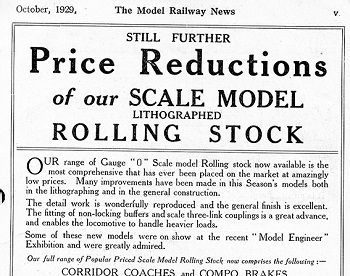 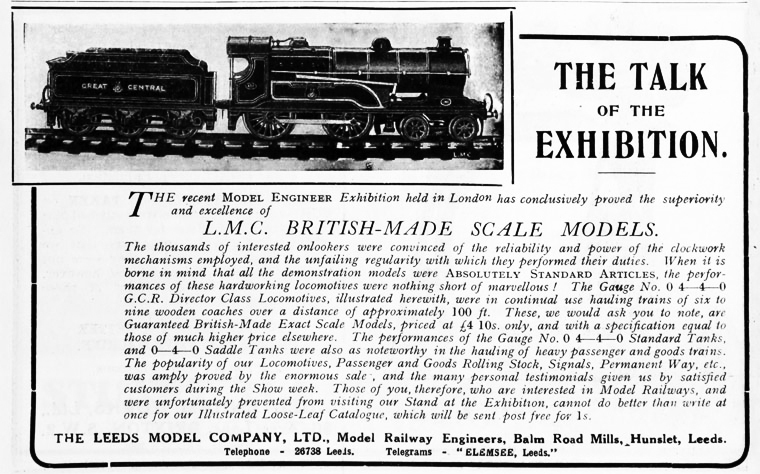 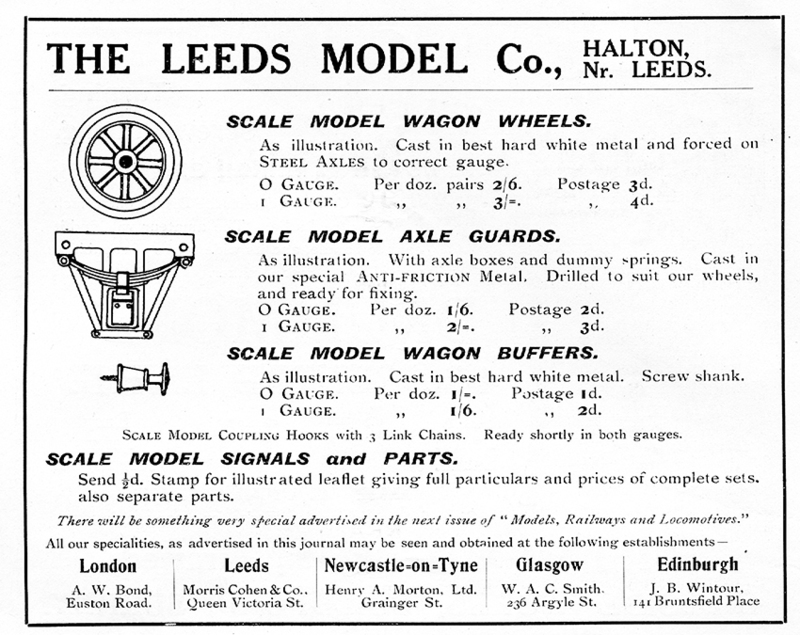 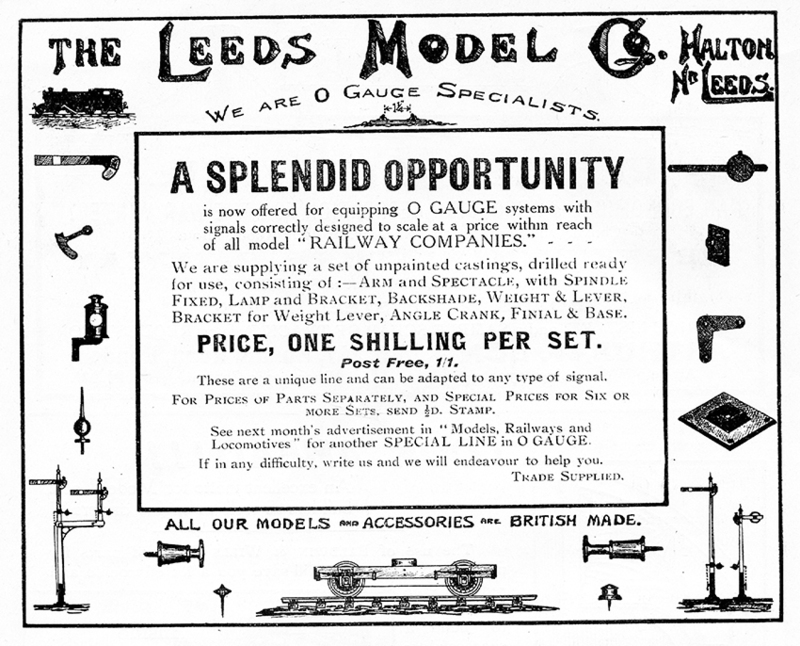 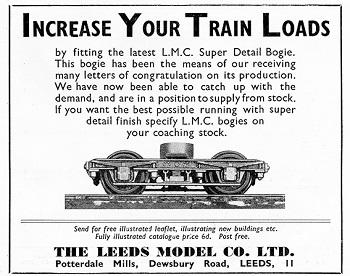 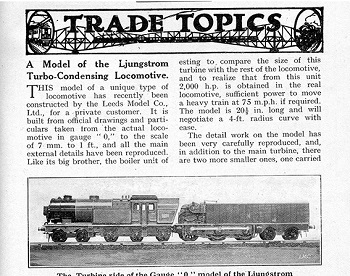 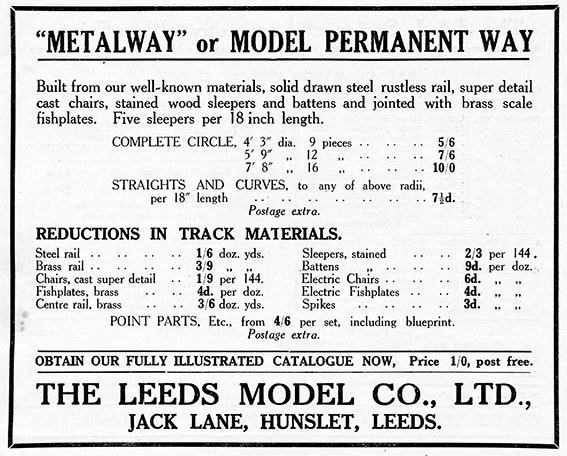 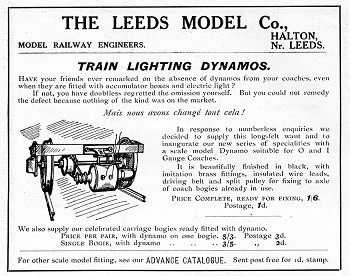 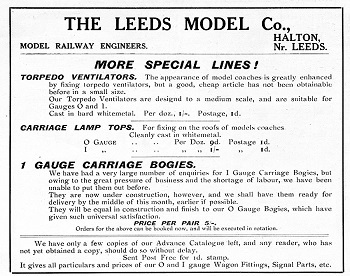 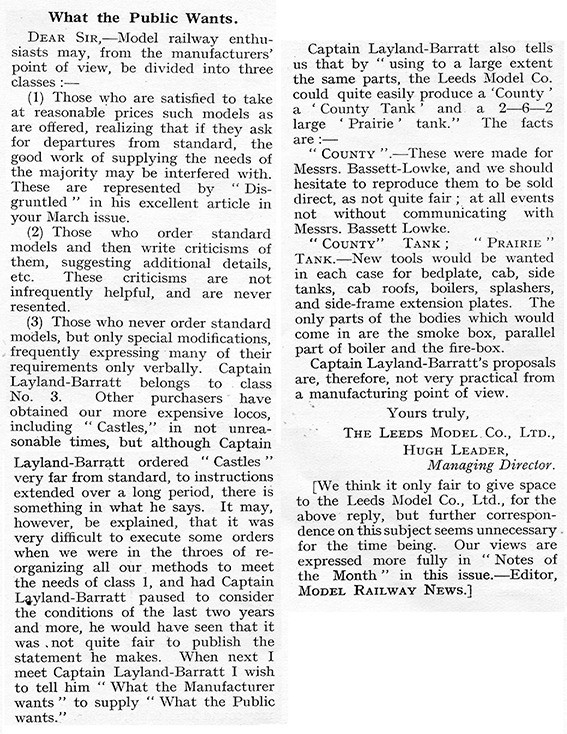 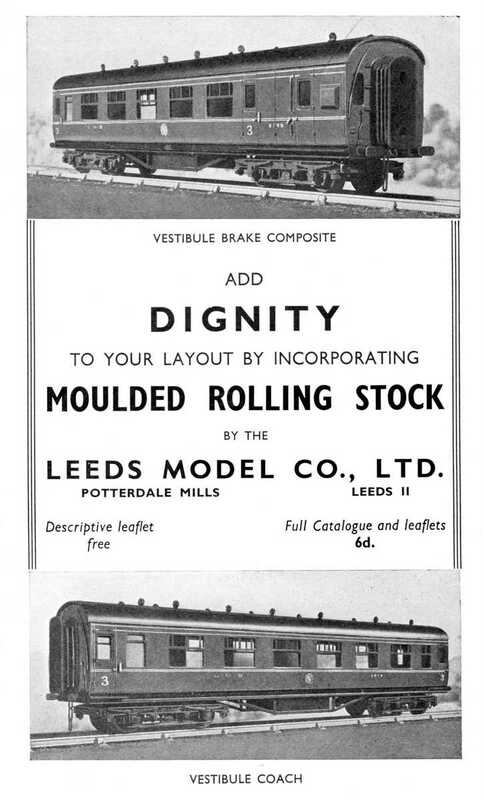 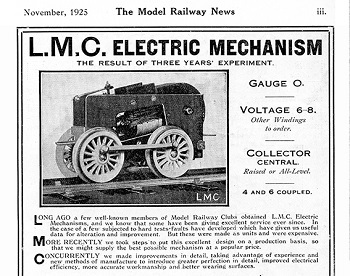 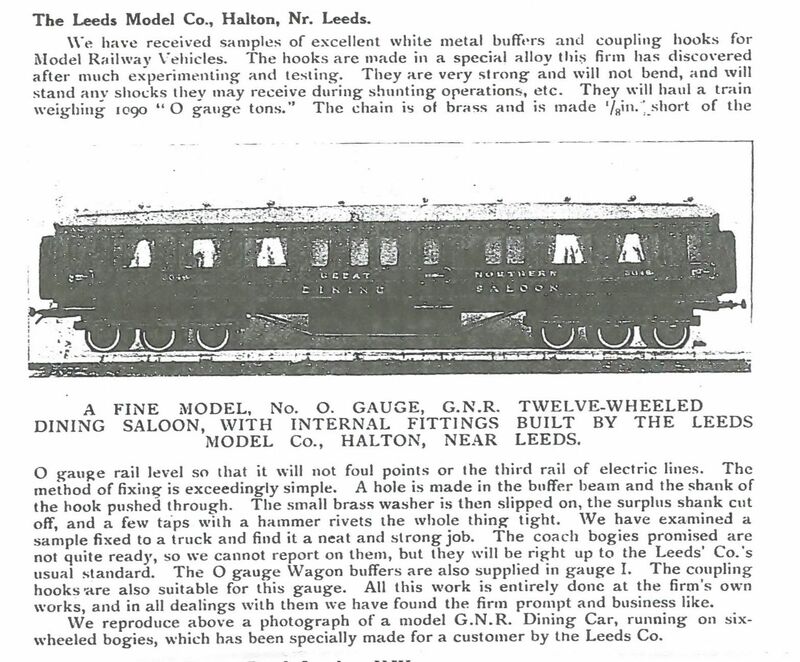 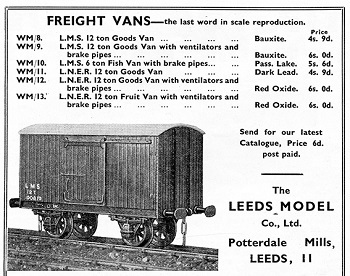 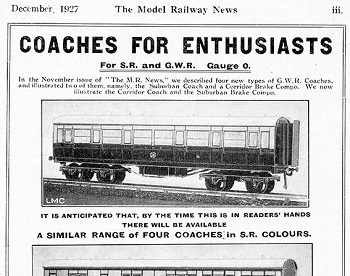 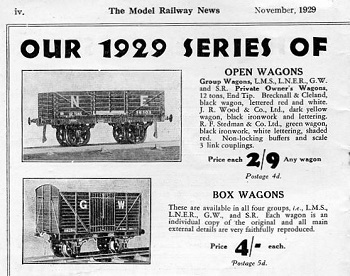 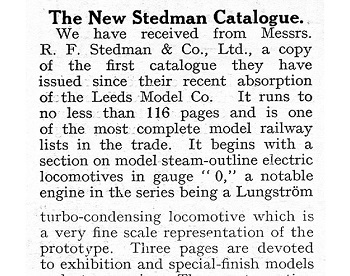 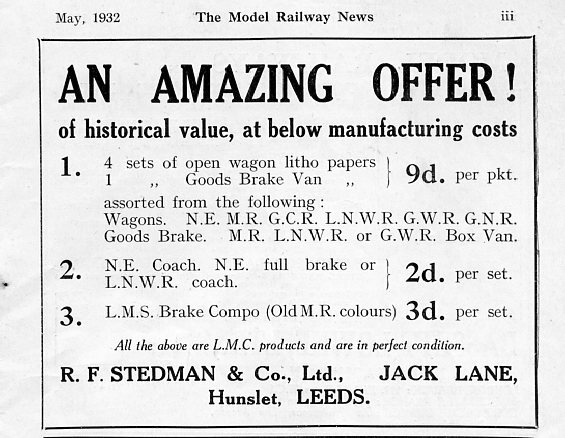 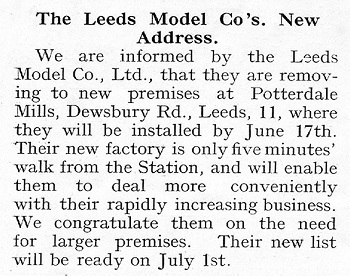 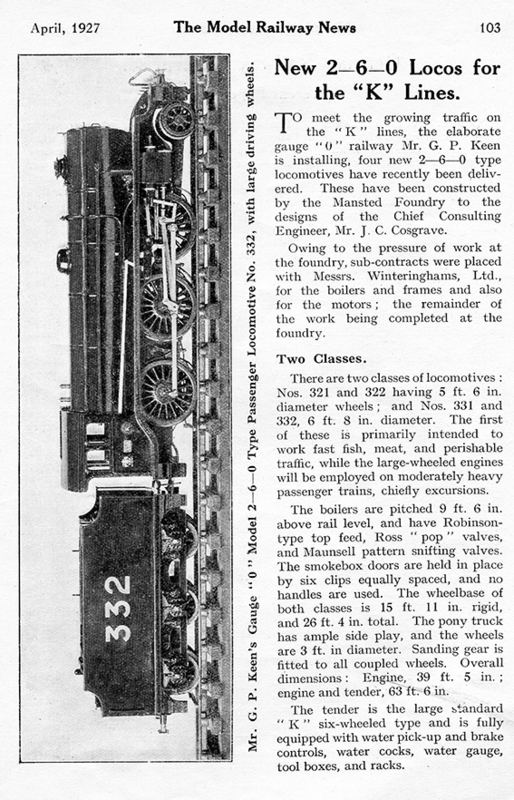 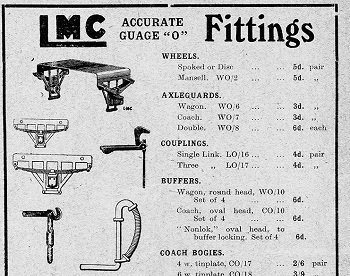 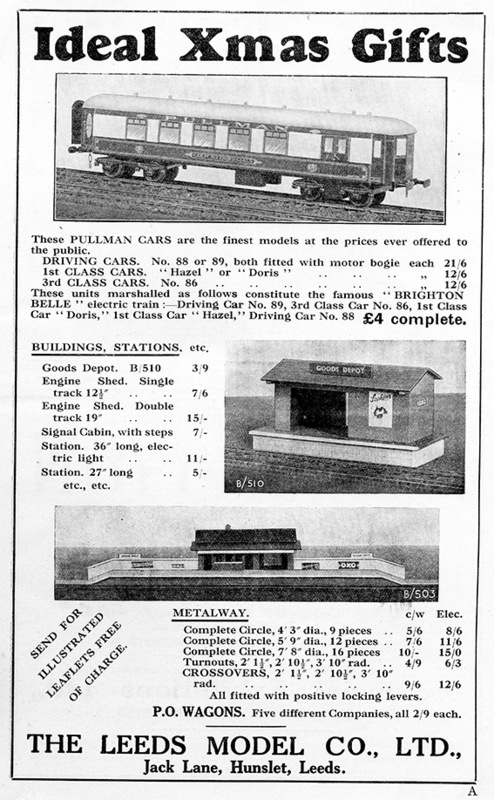 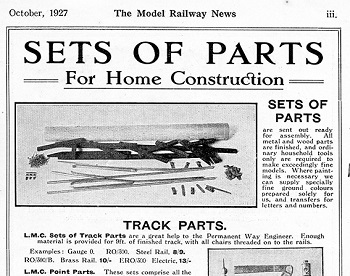 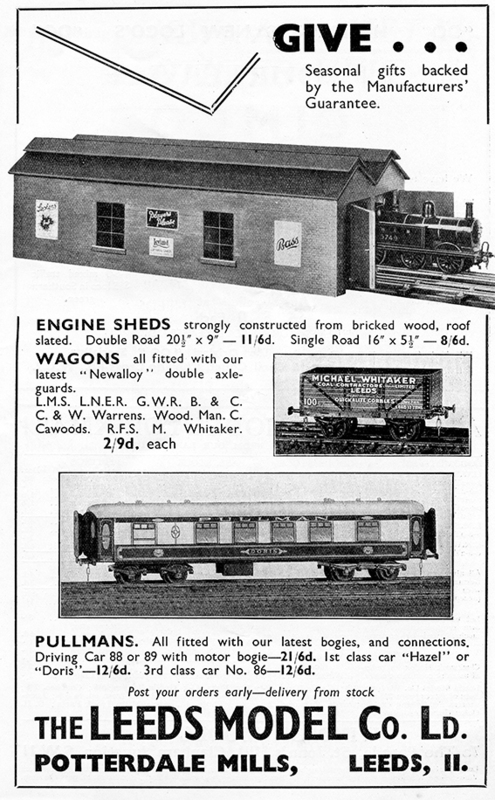 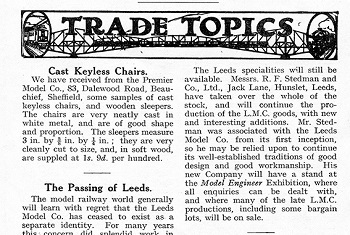 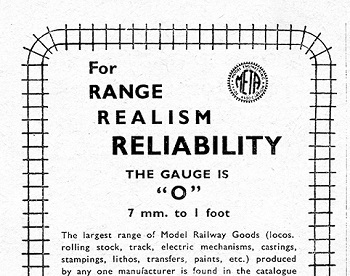 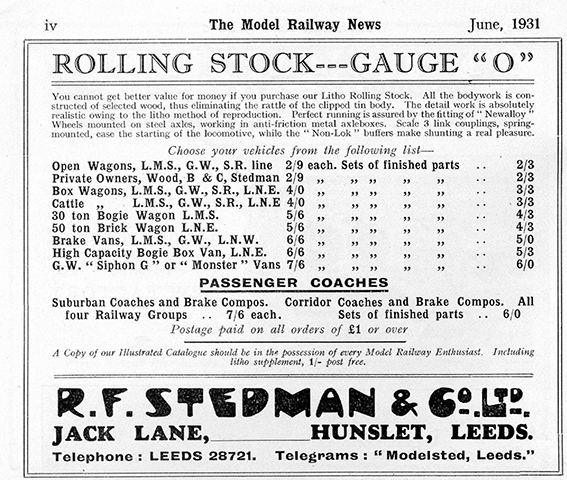 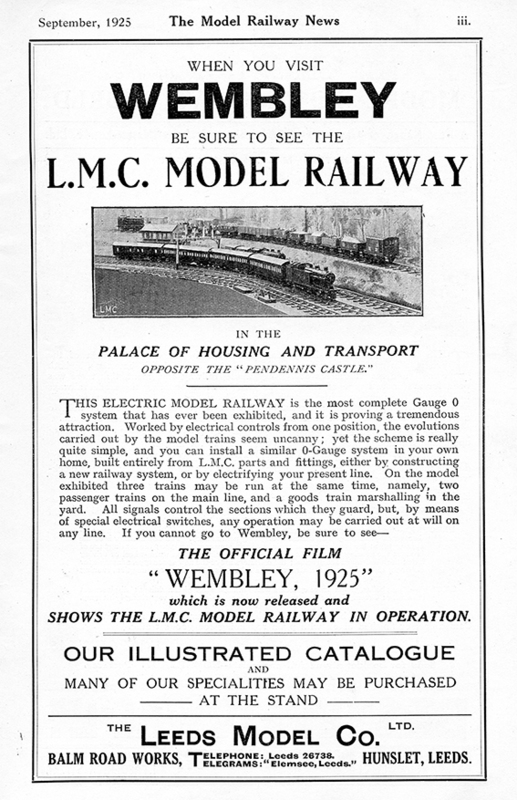 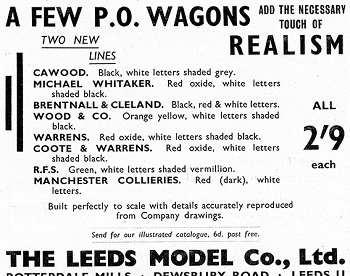 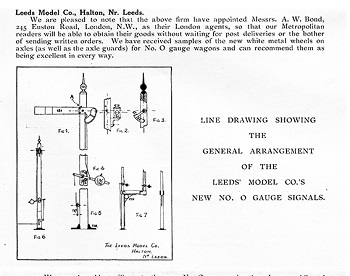 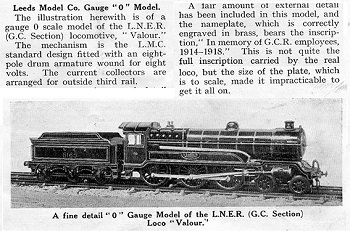 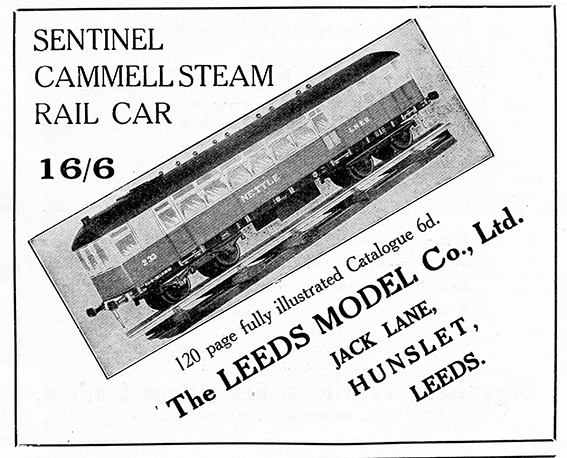 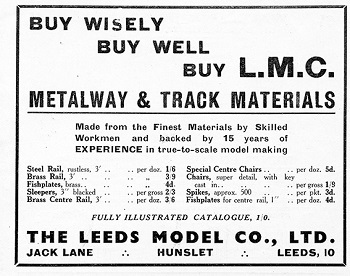 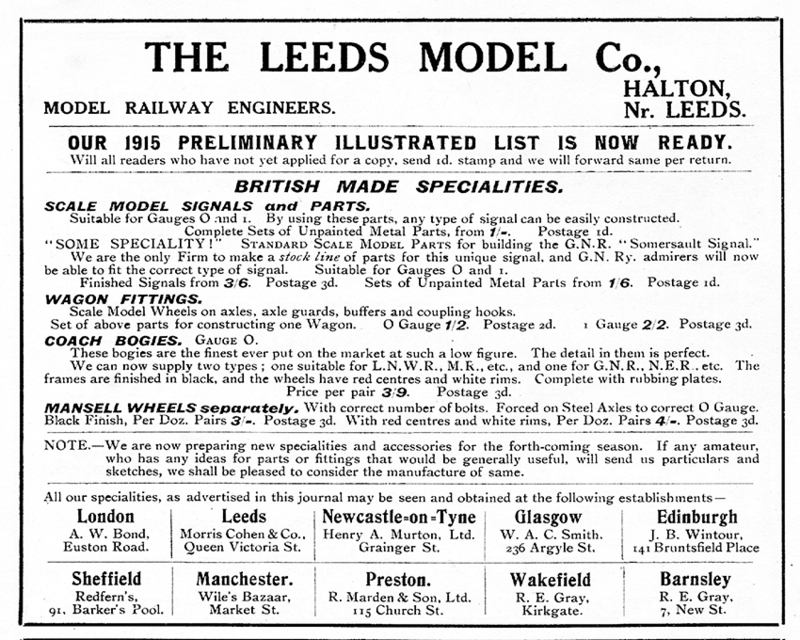 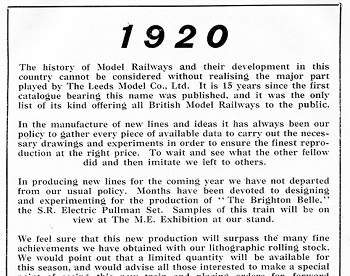 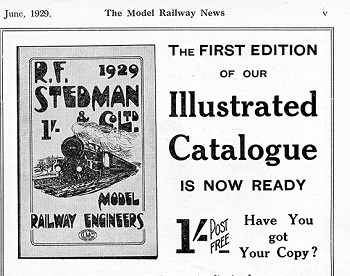 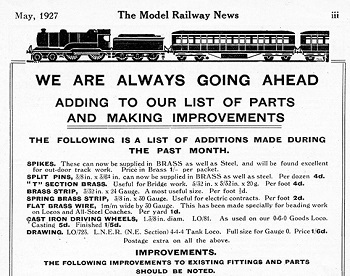 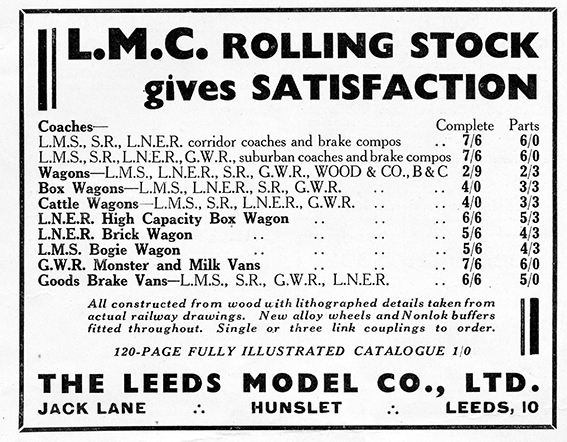 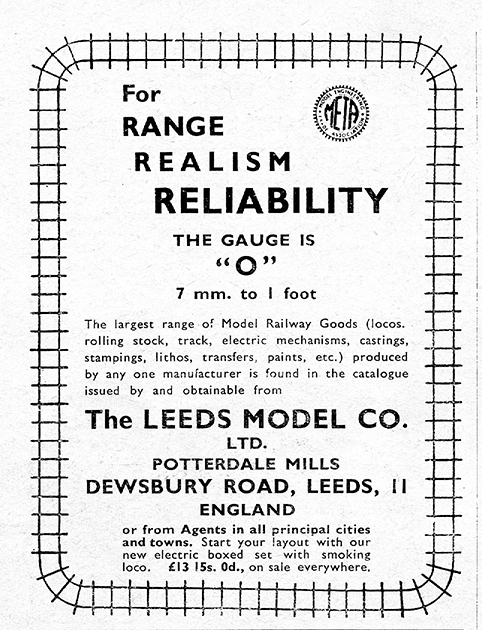 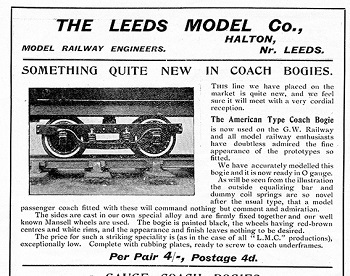 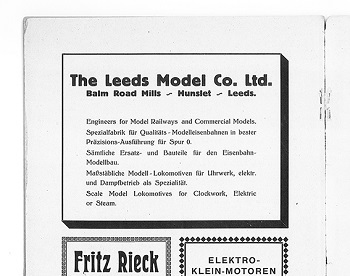 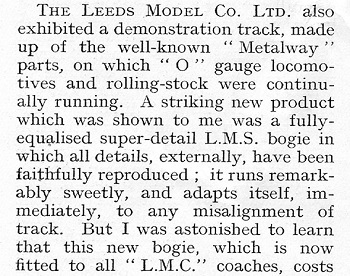 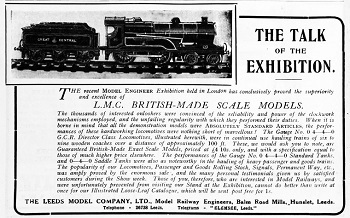 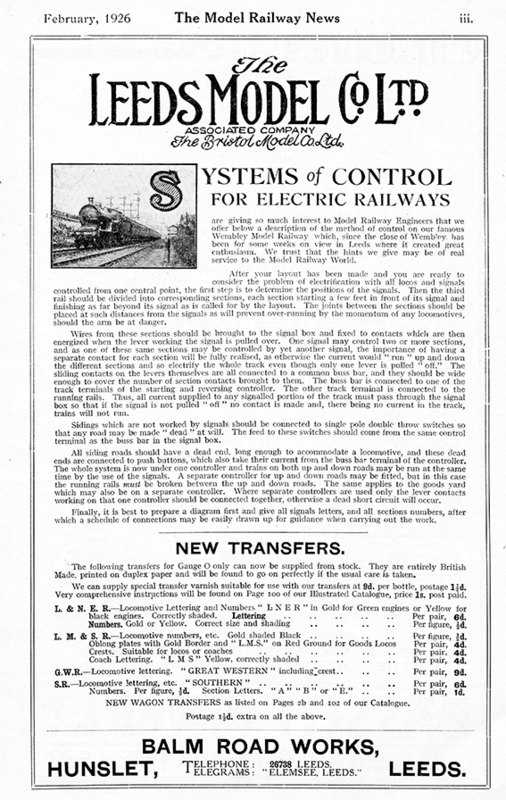 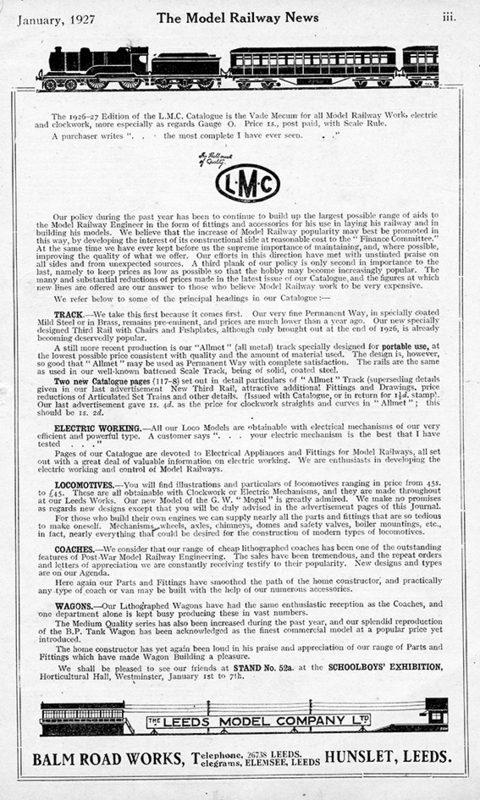 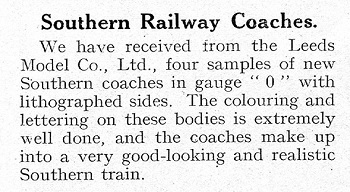 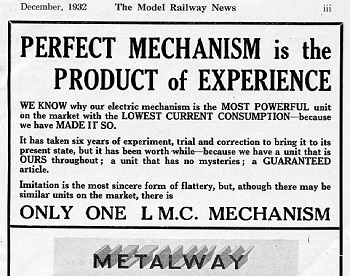 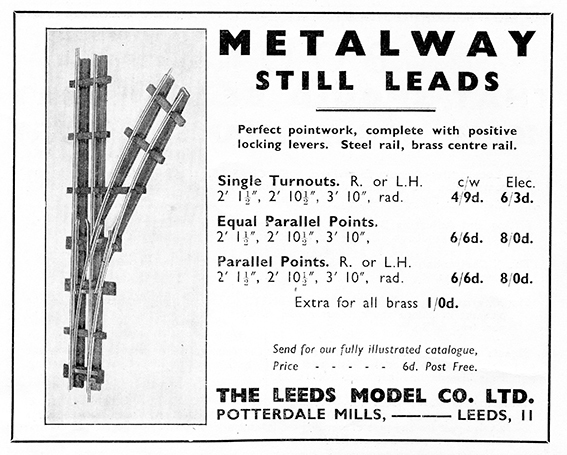 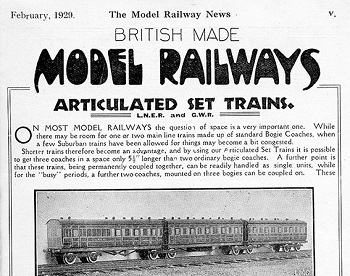 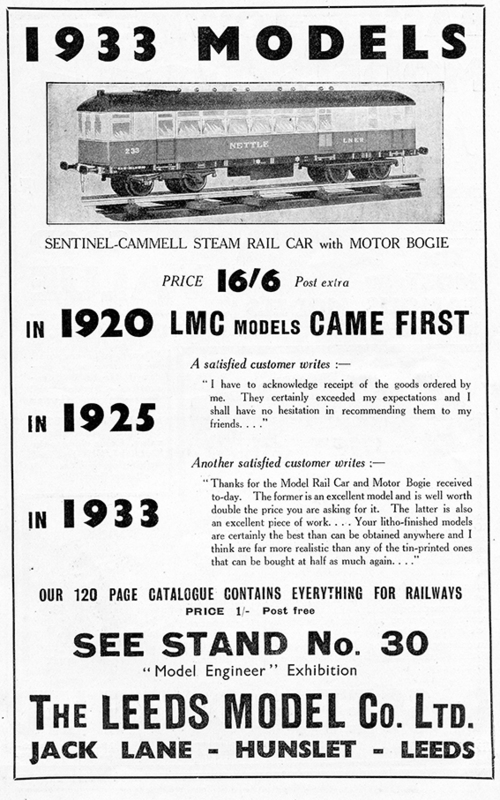 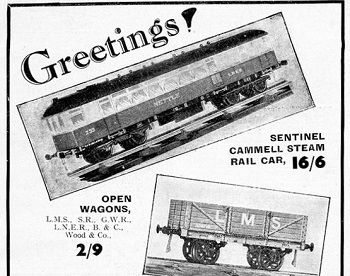 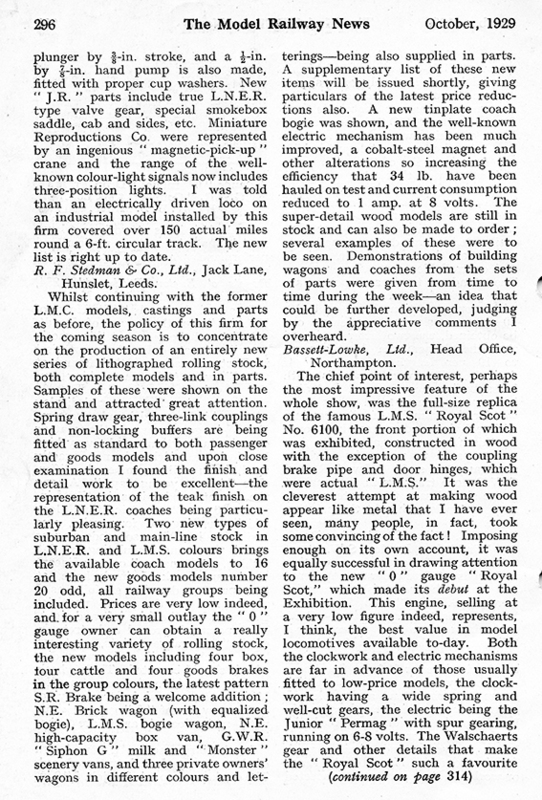 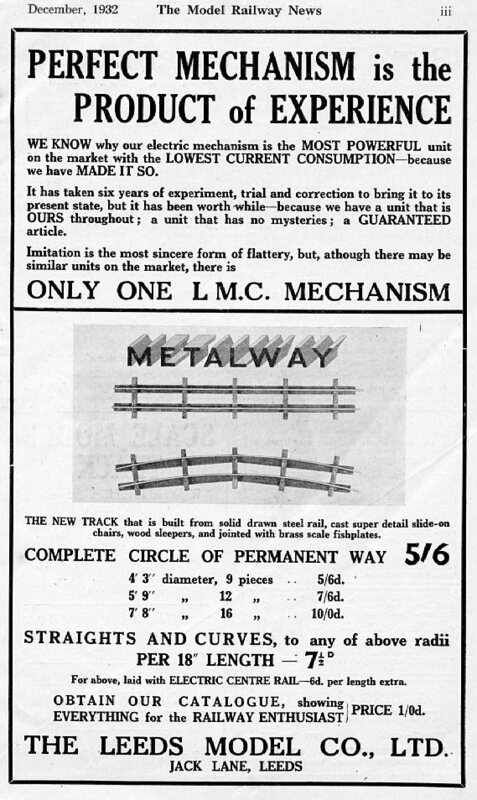 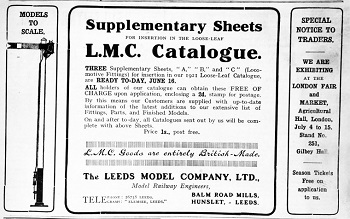 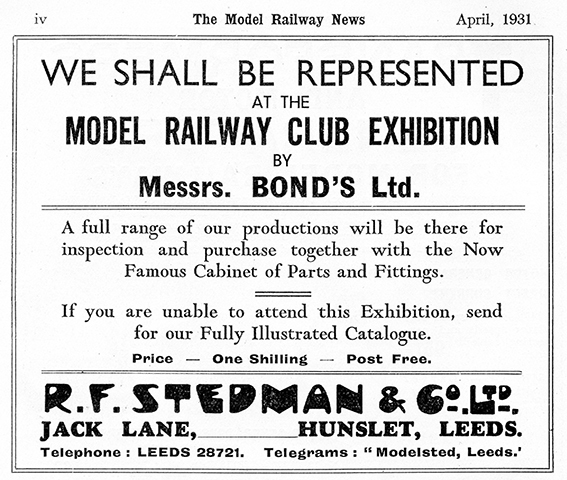 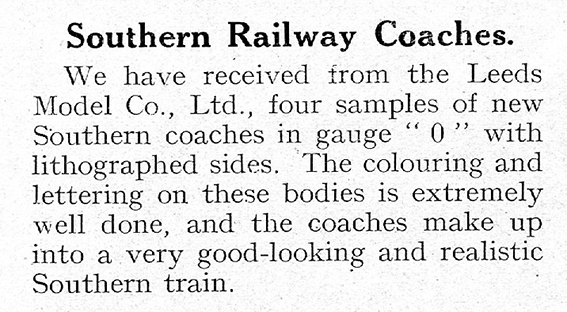 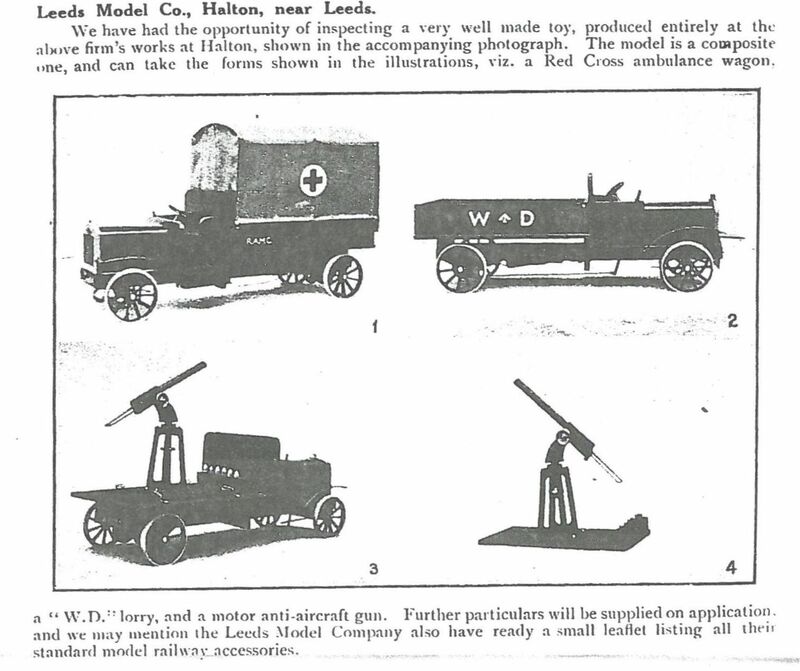 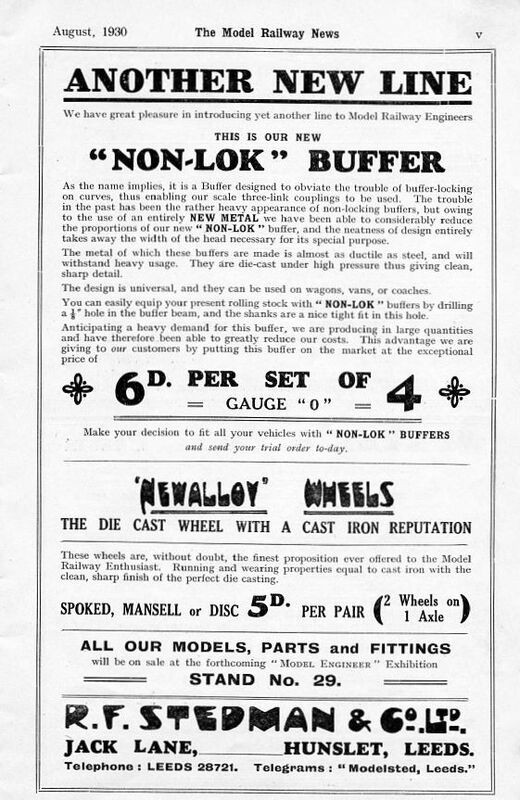 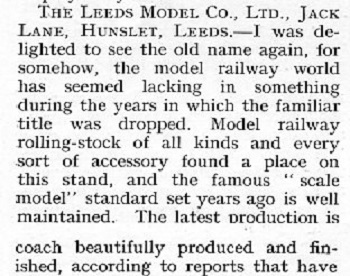 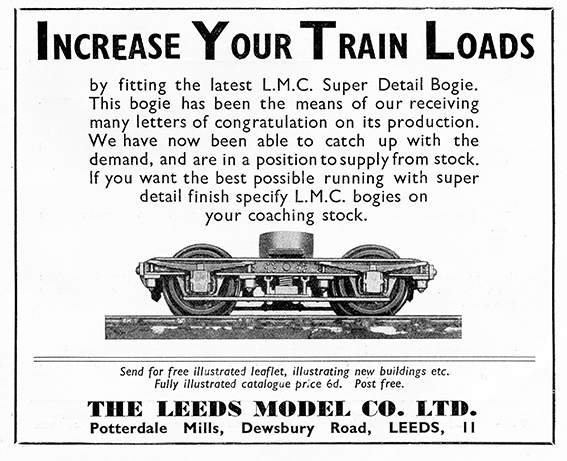 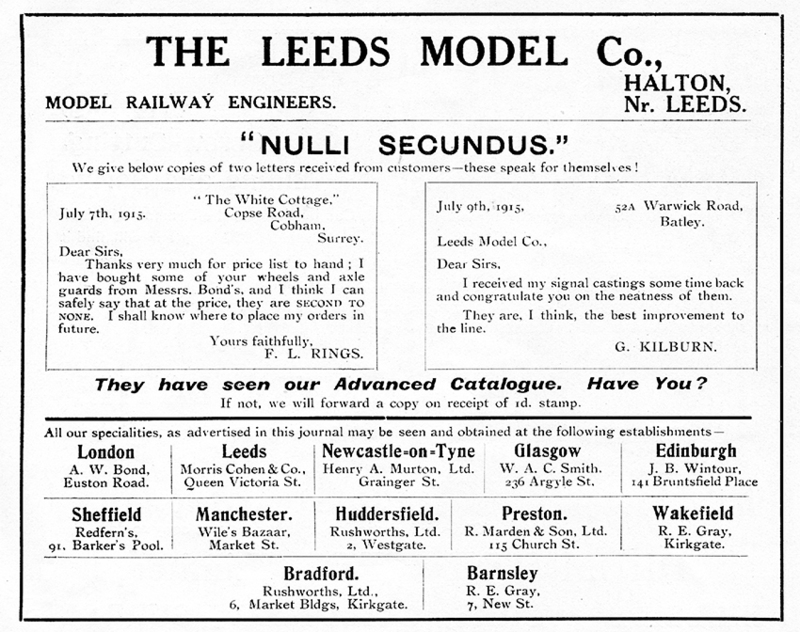 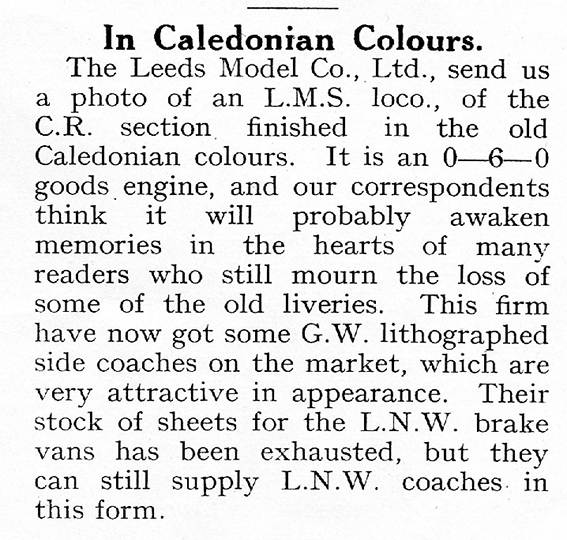 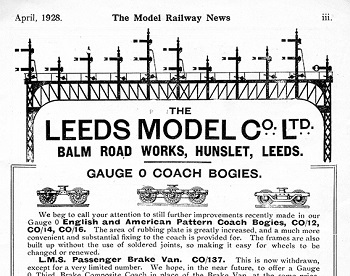 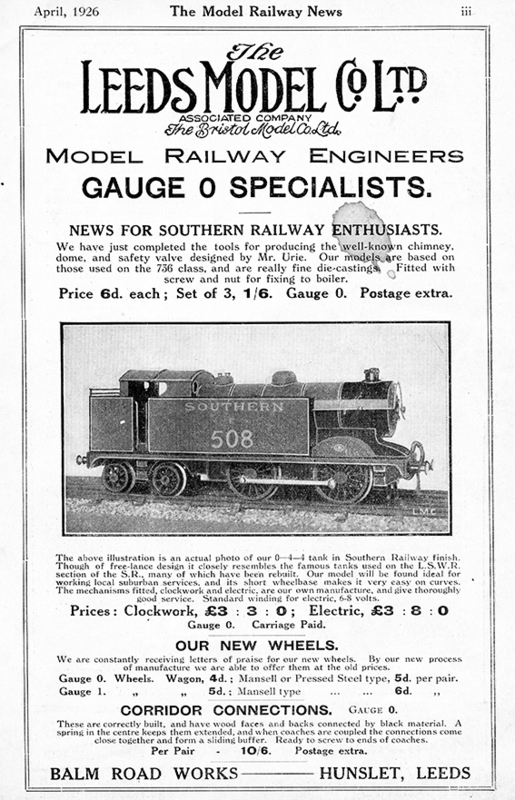 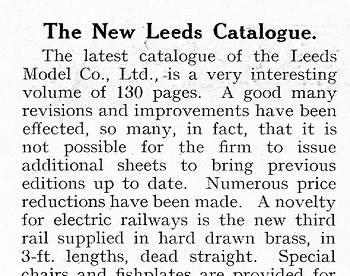 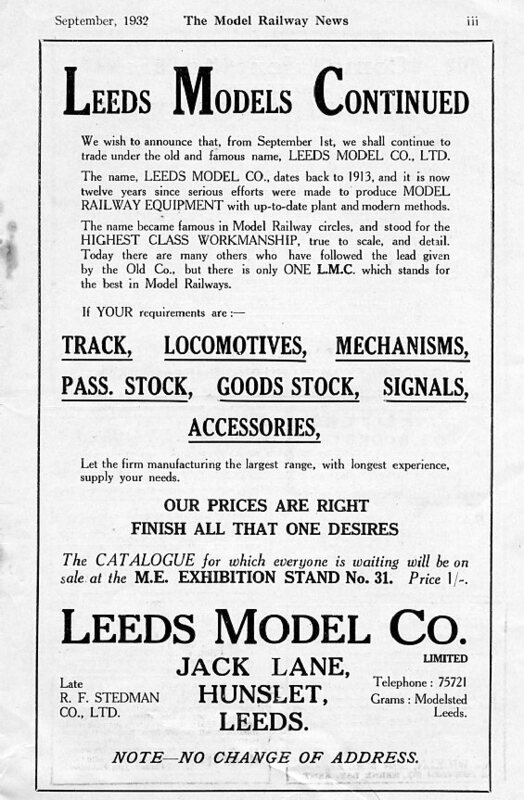 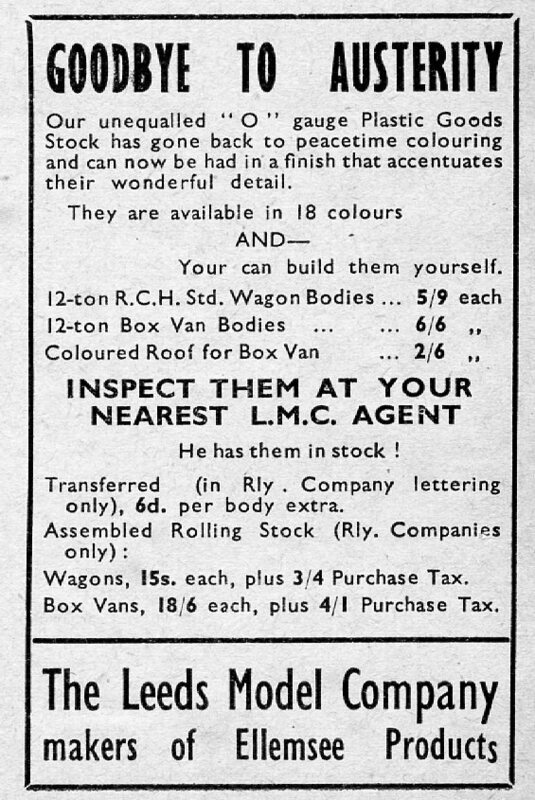 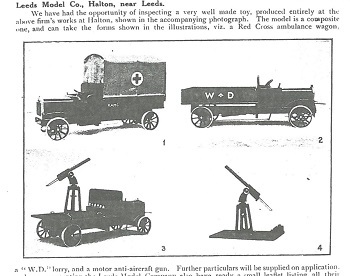 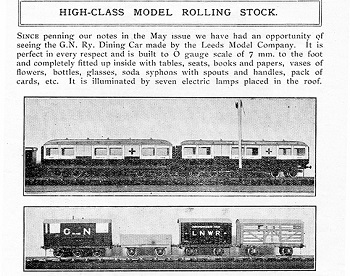 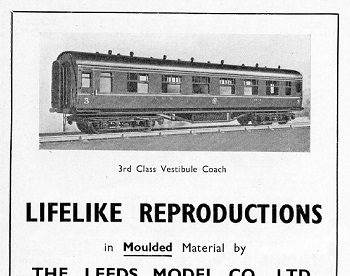 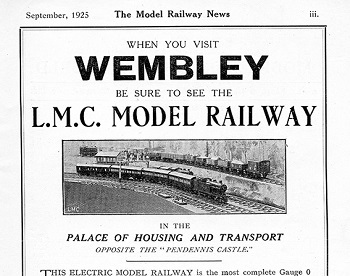 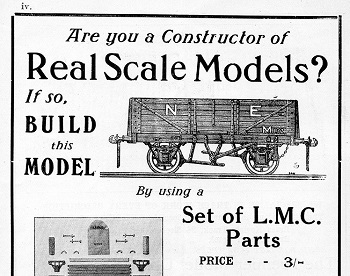 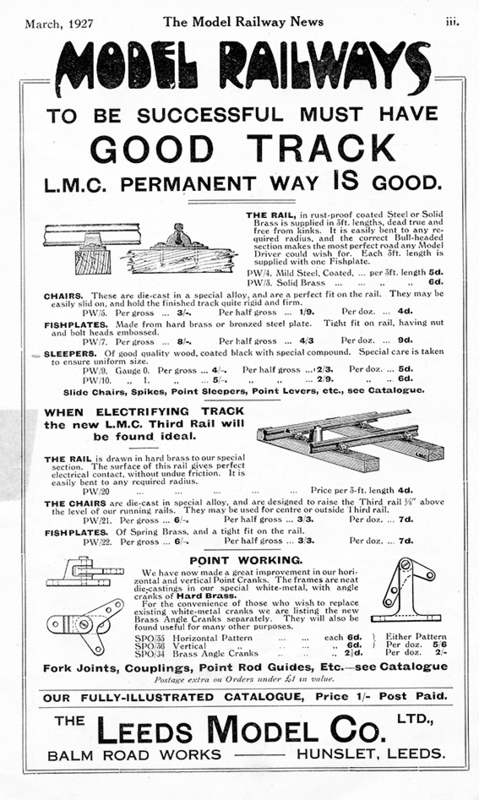 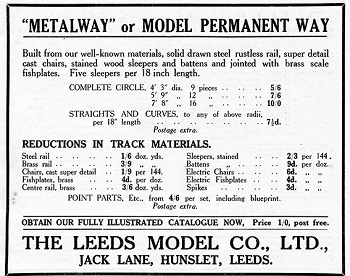 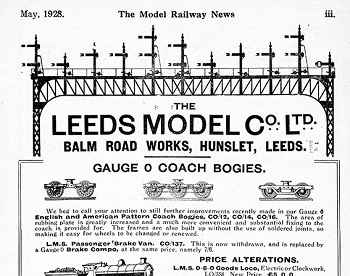 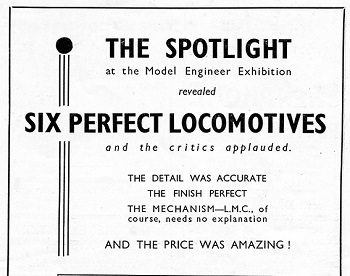 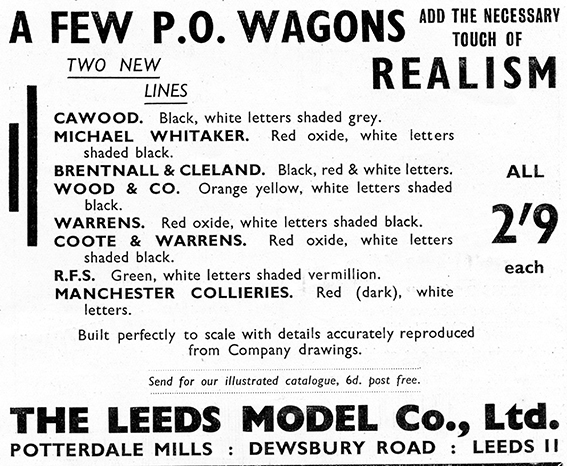 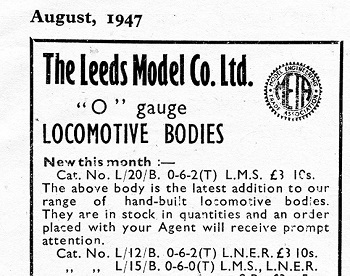 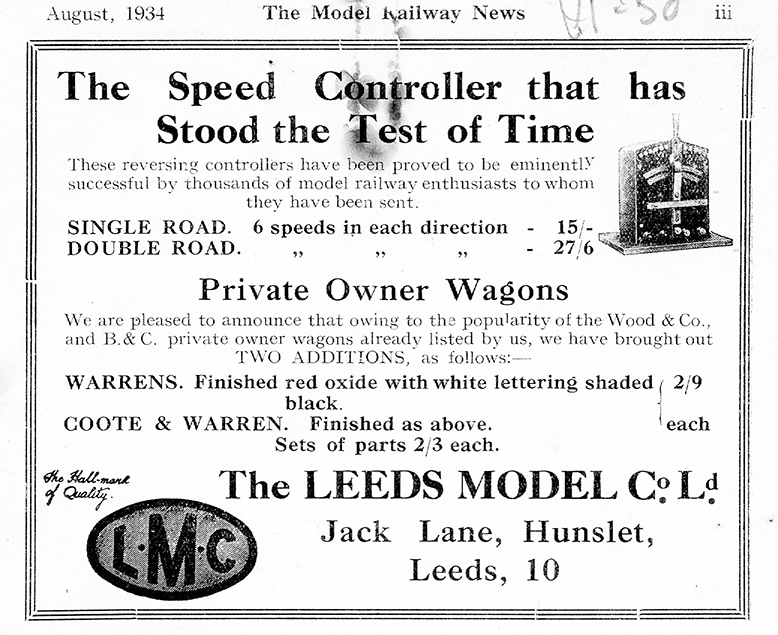 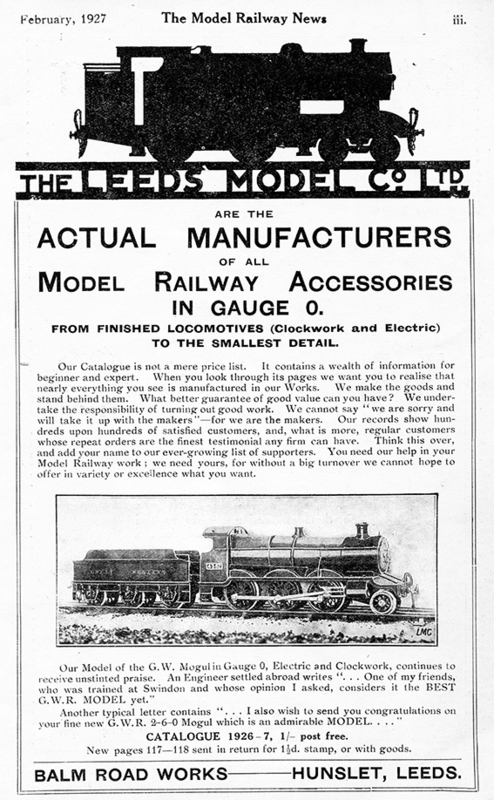 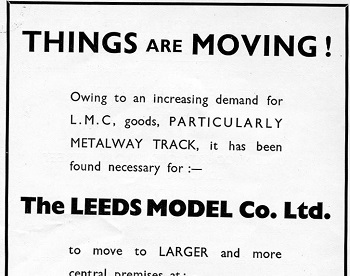 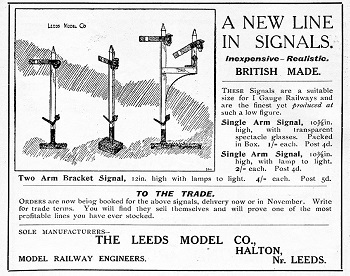 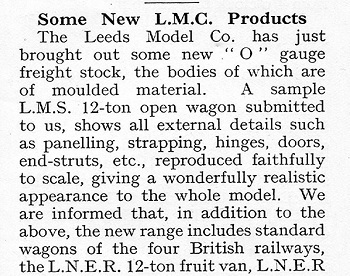 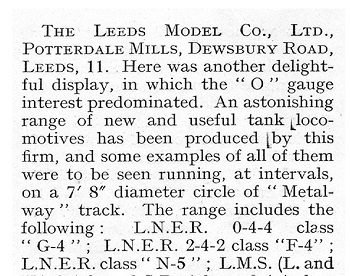 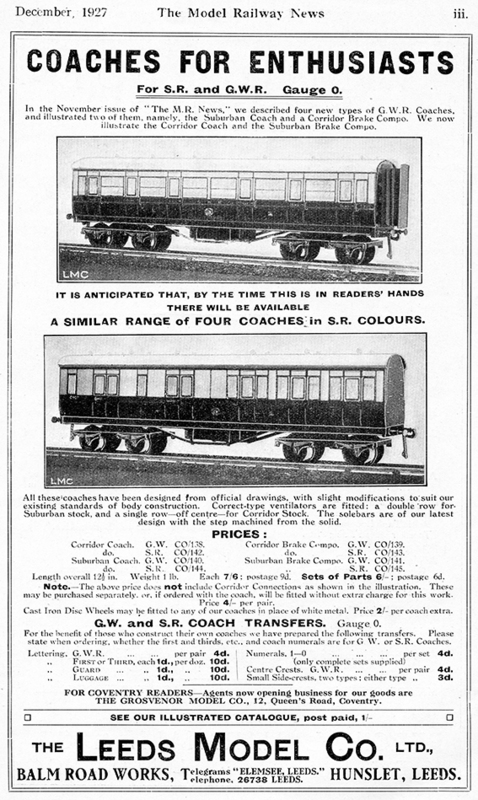 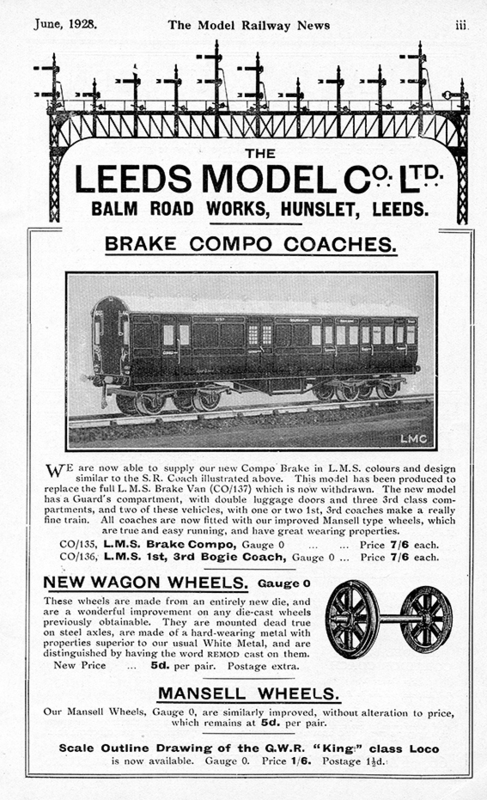 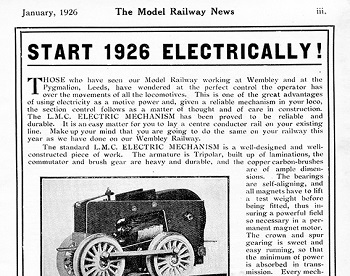 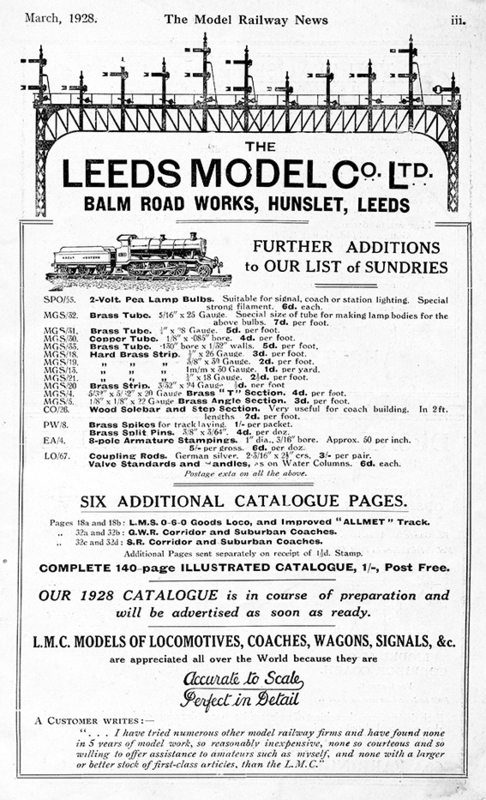 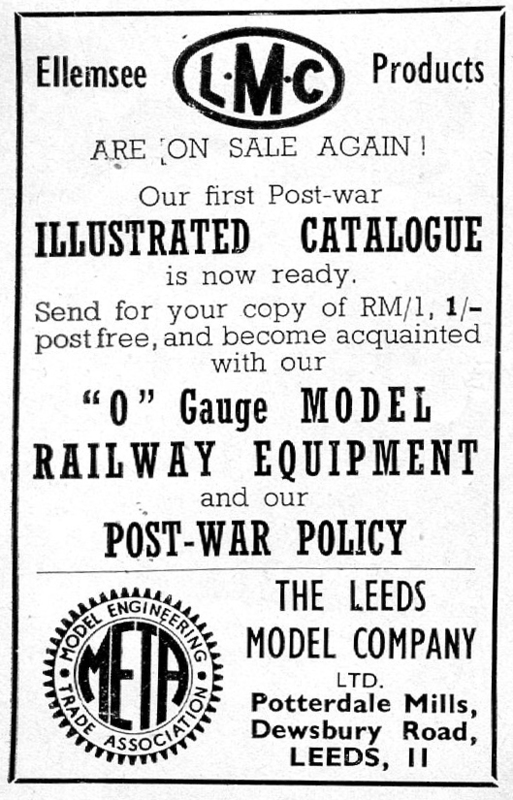 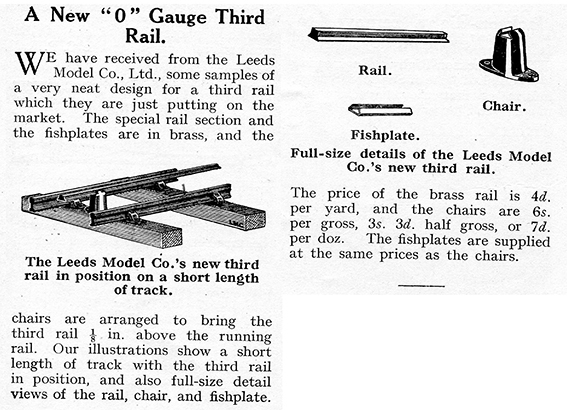 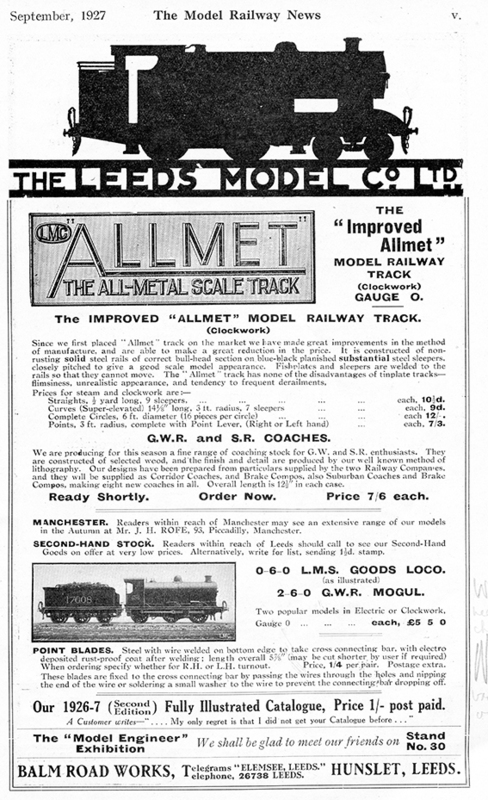 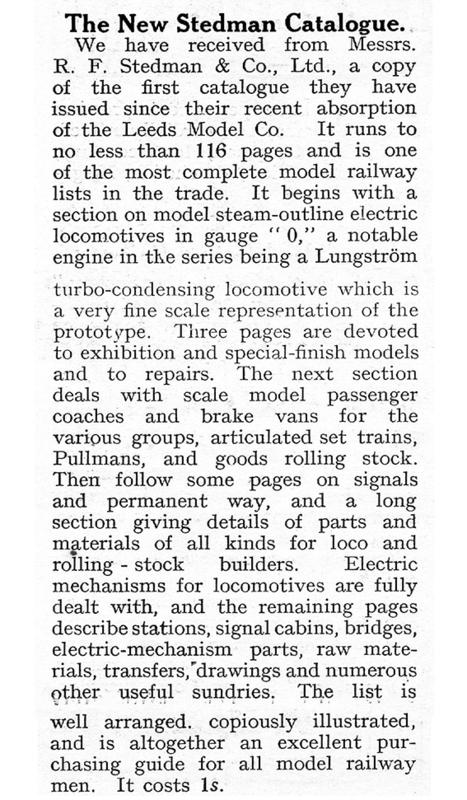 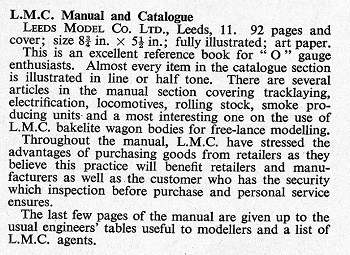 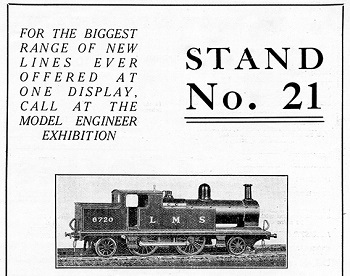 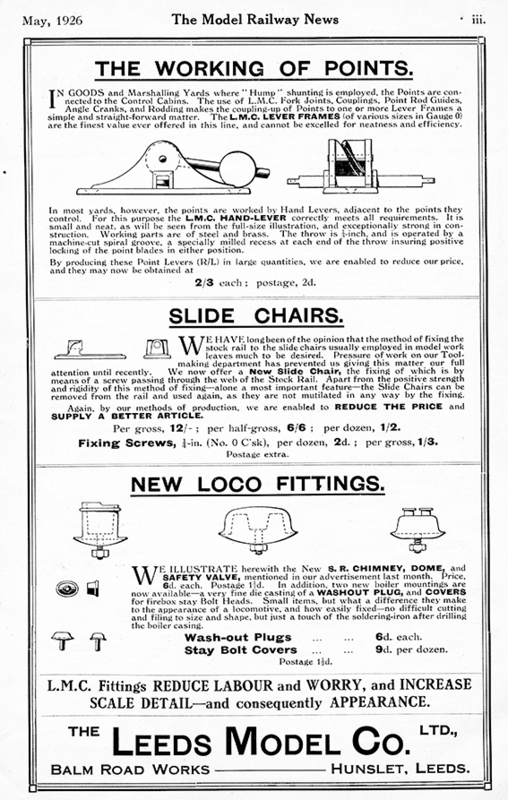 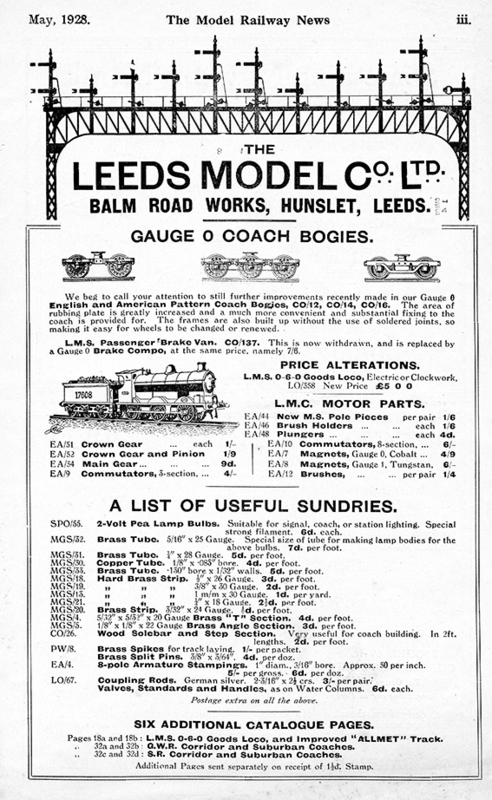 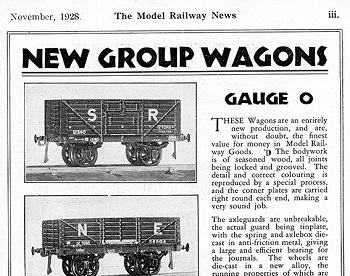 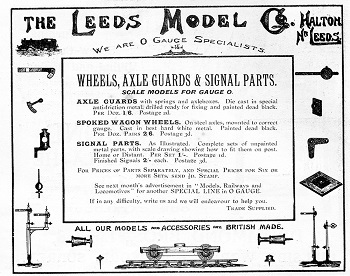 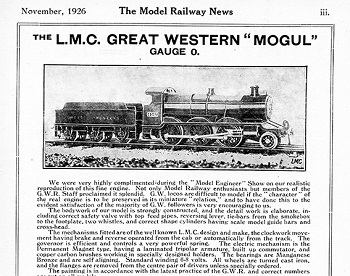 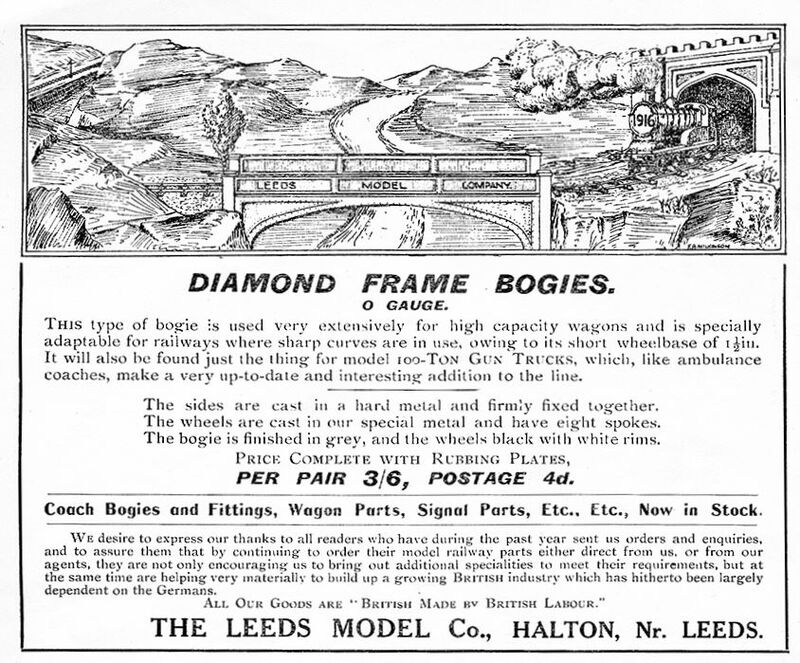 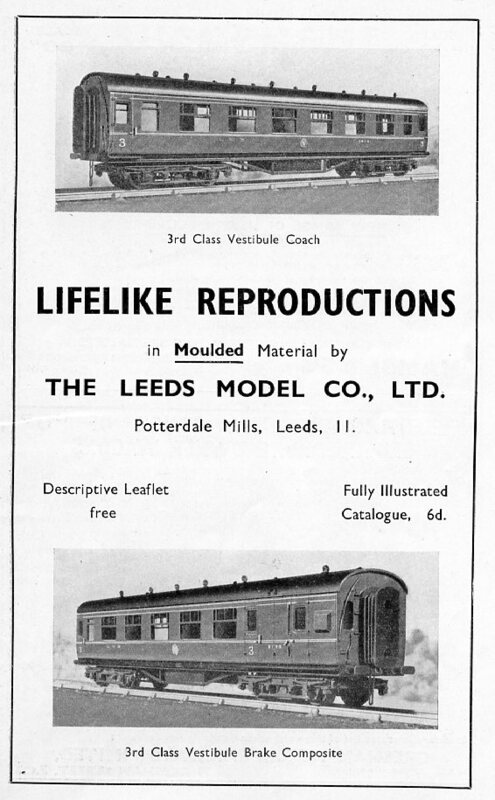 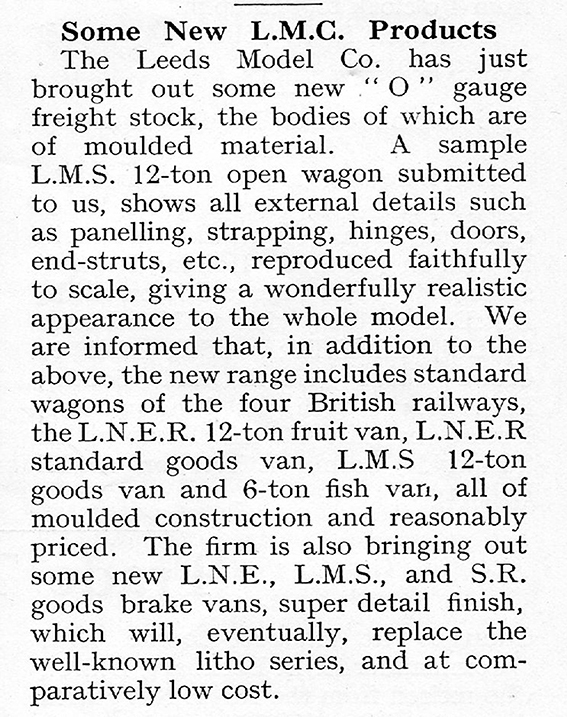 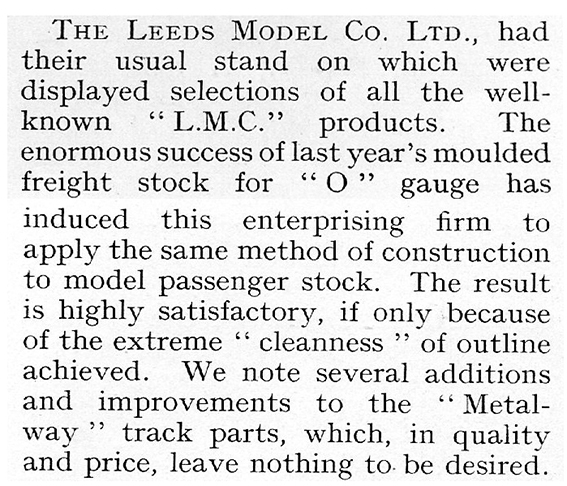 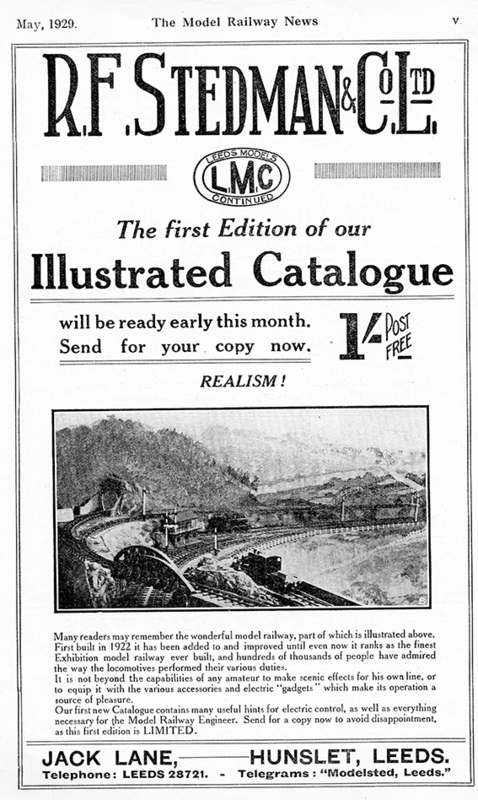 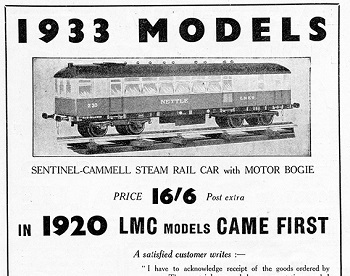 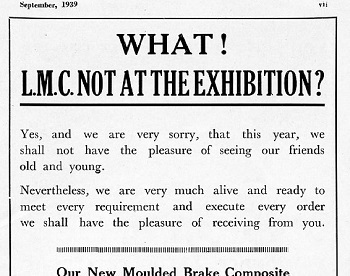 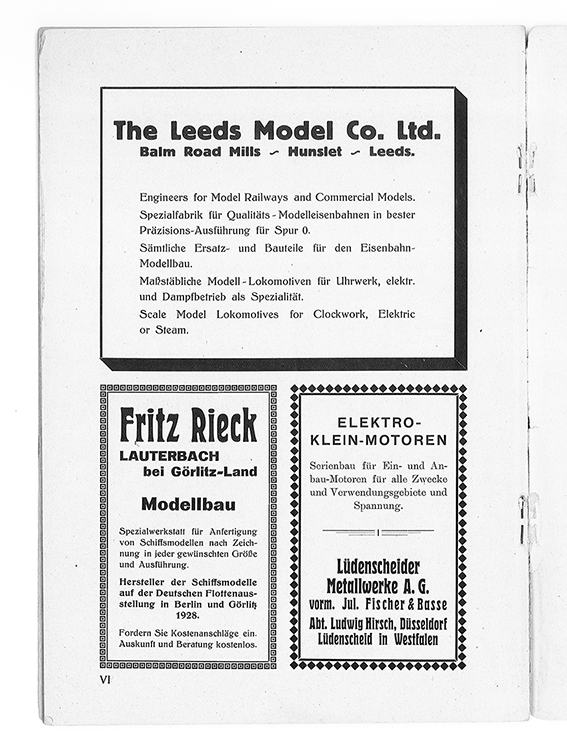 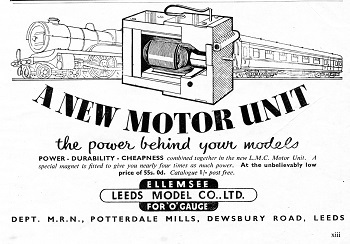 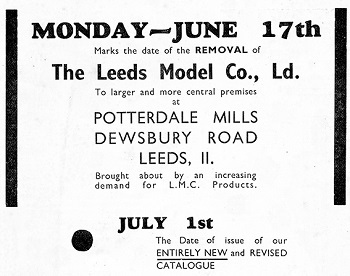 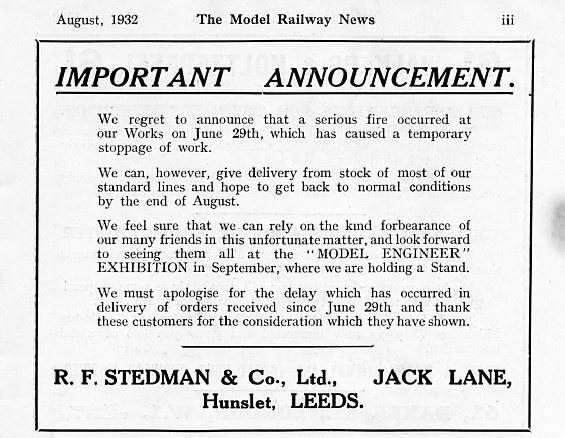 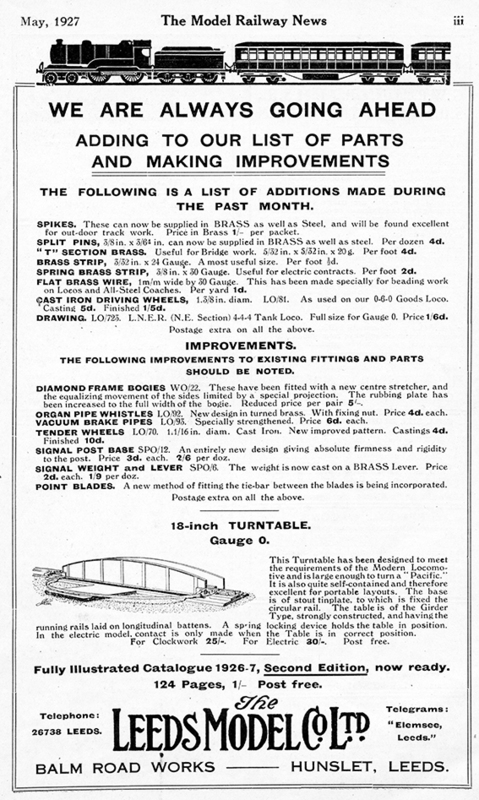 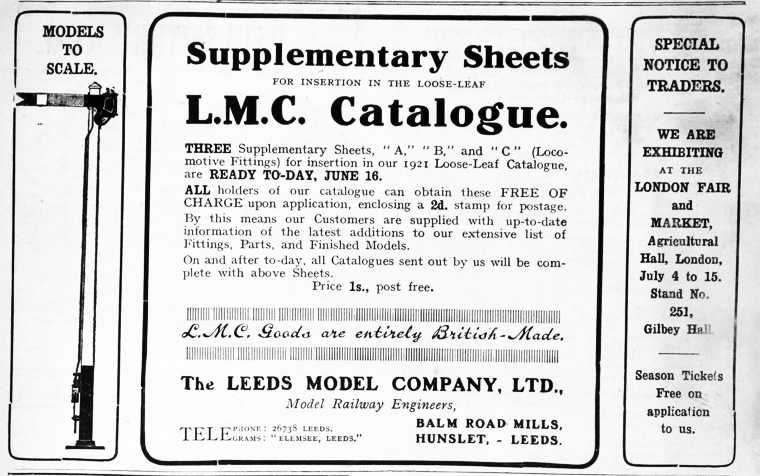 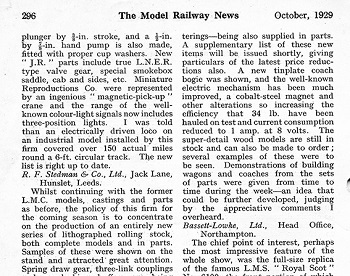 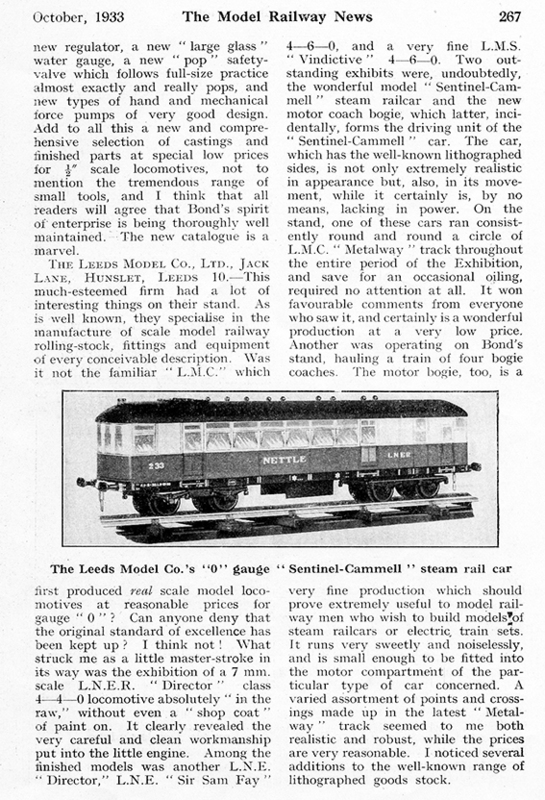 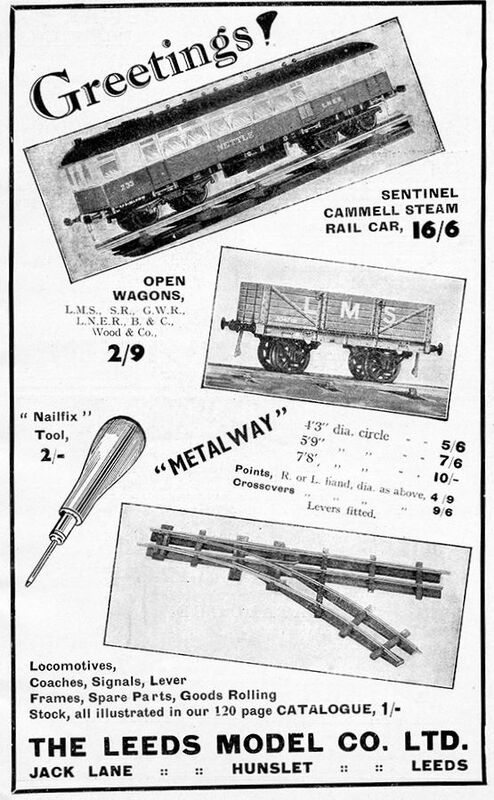 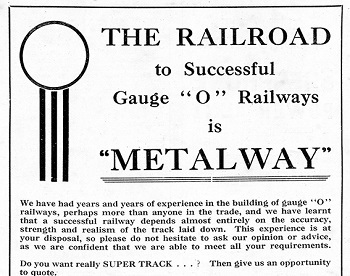 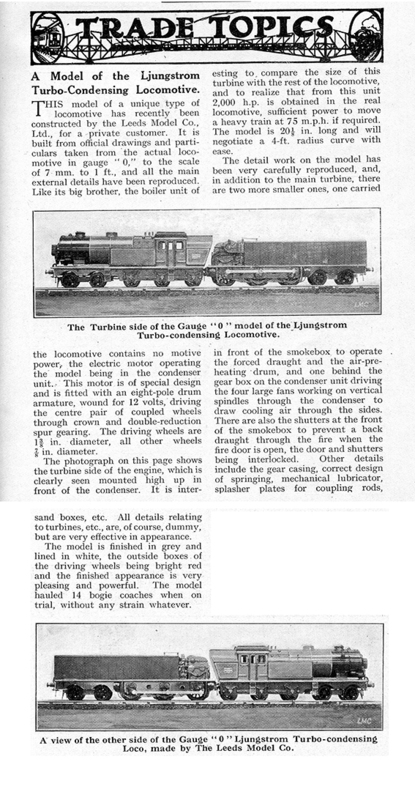 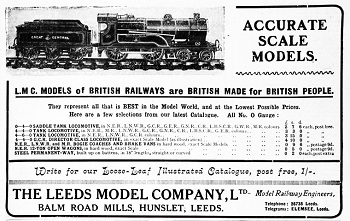 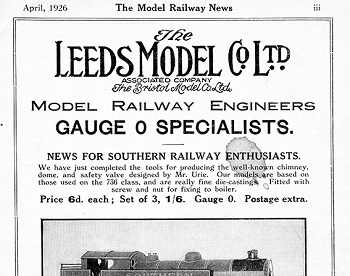 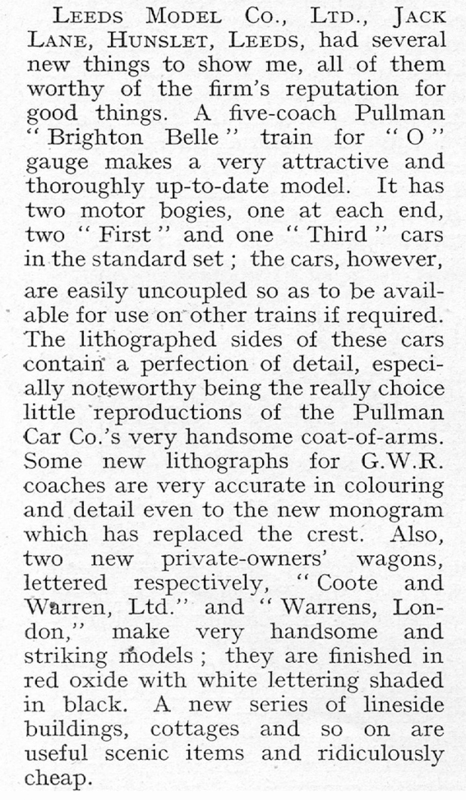 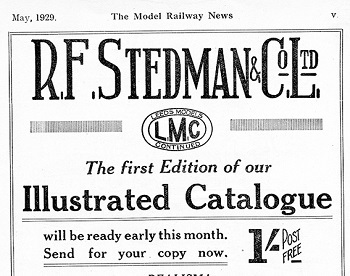 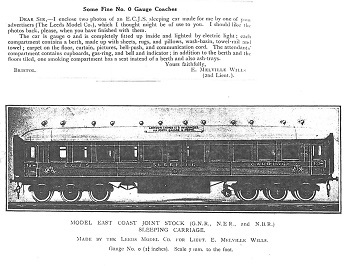 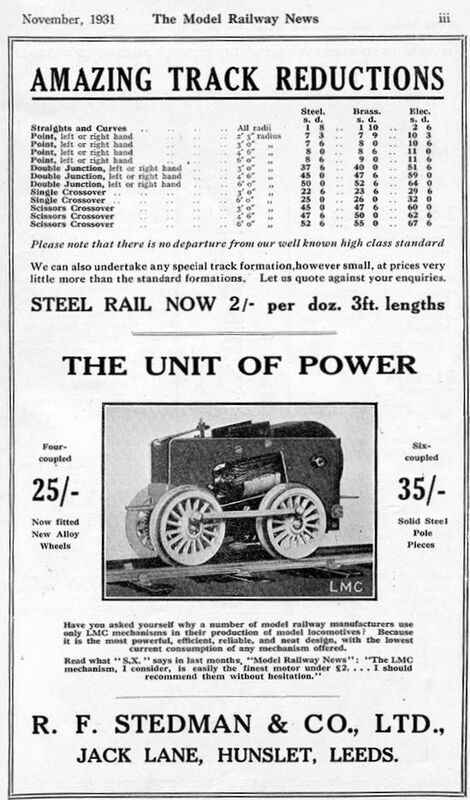 From its beginning in 1915 the Leeds Model Company regularly advertised in the model railway press. 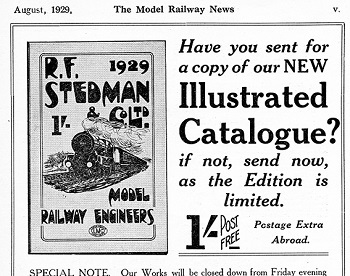 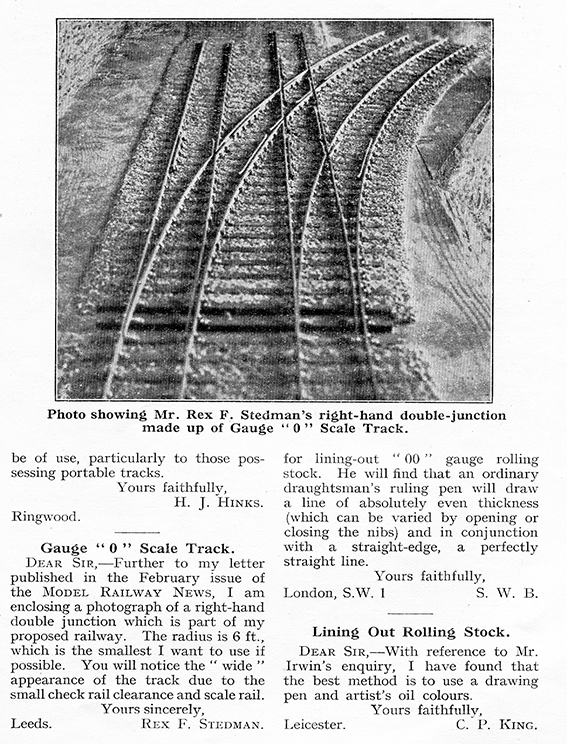 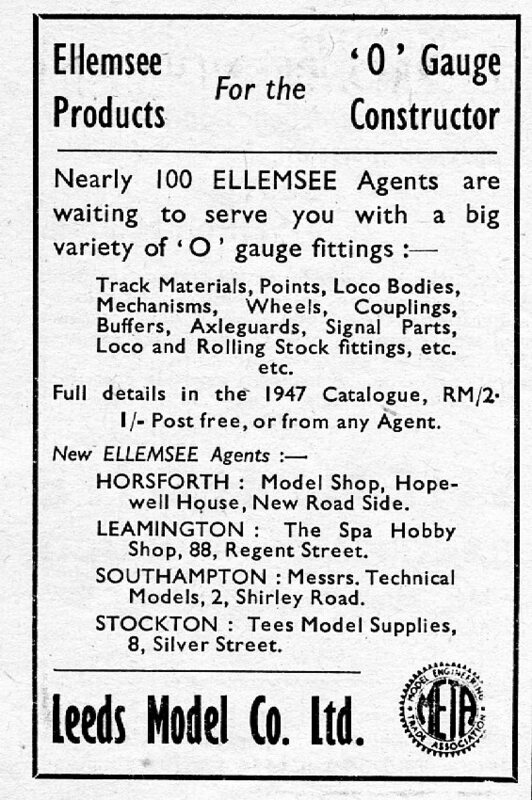 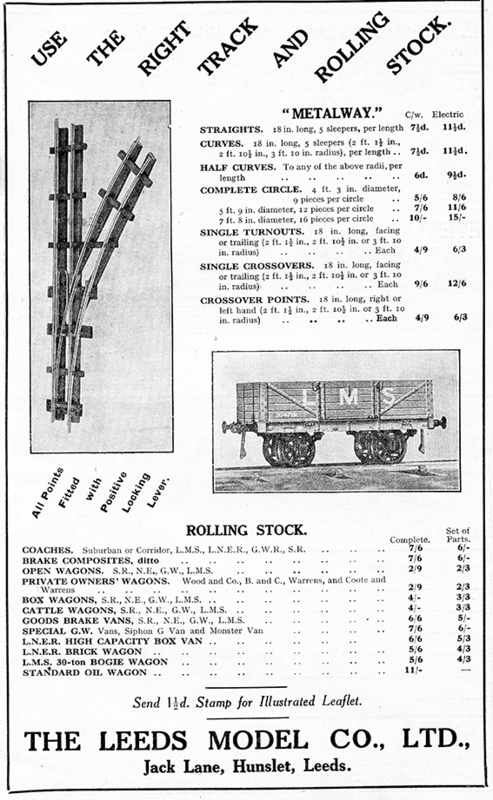 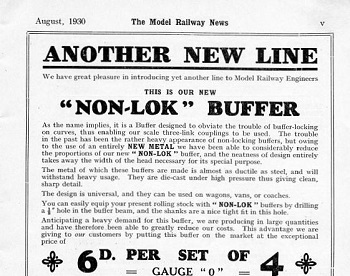 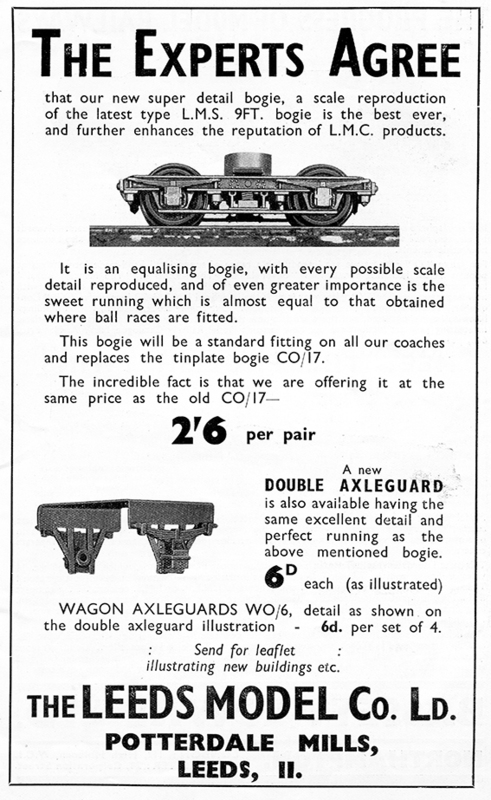 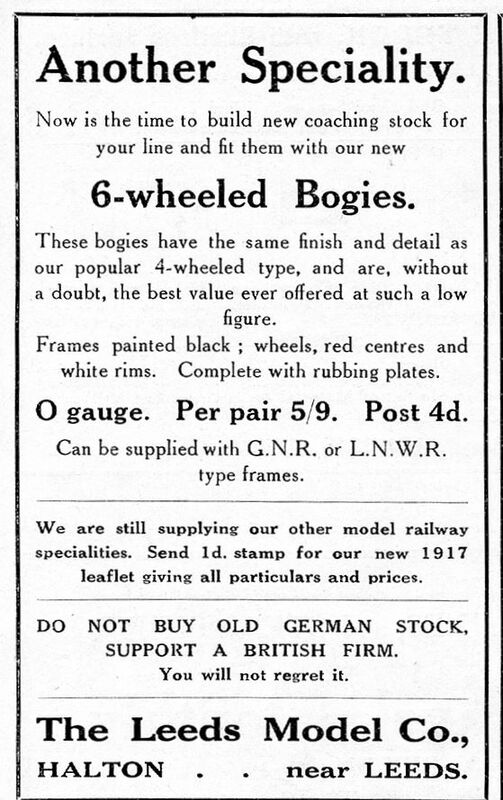 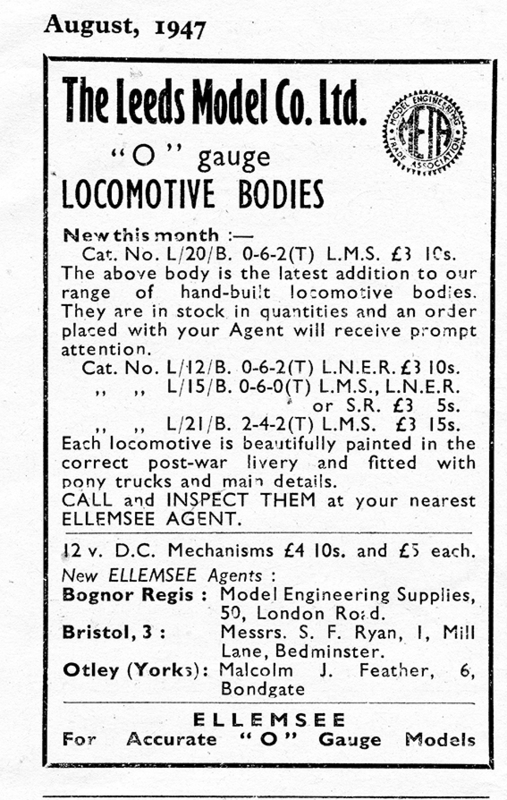 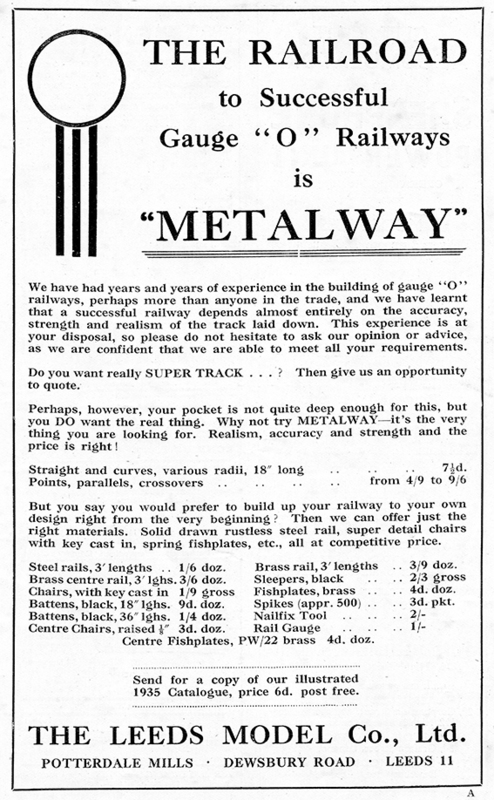 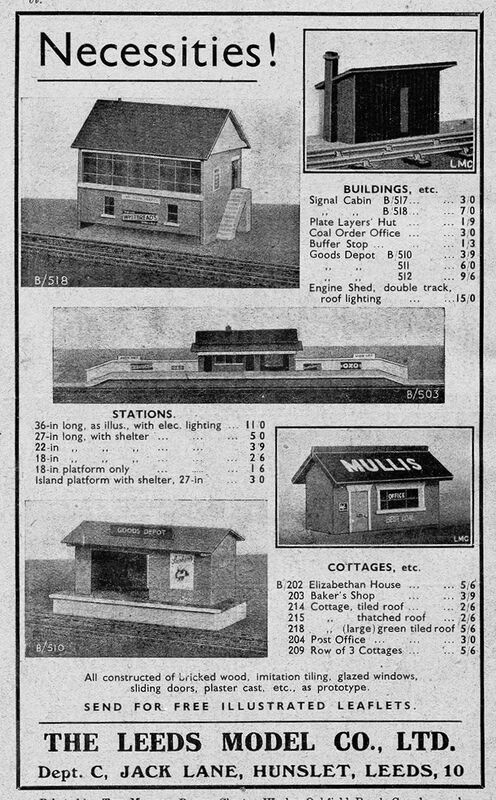 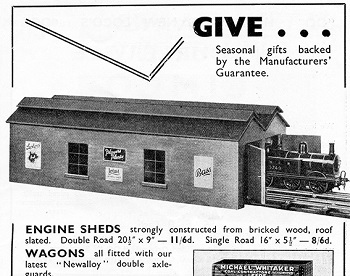 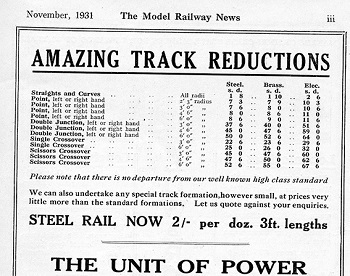 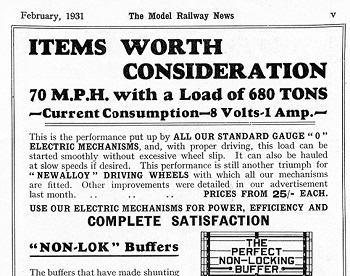 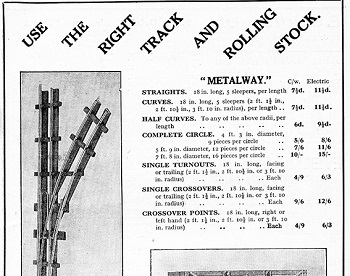 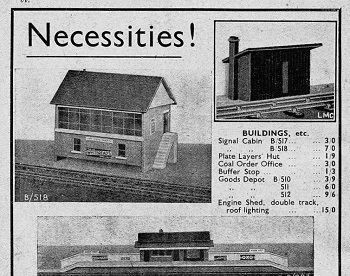 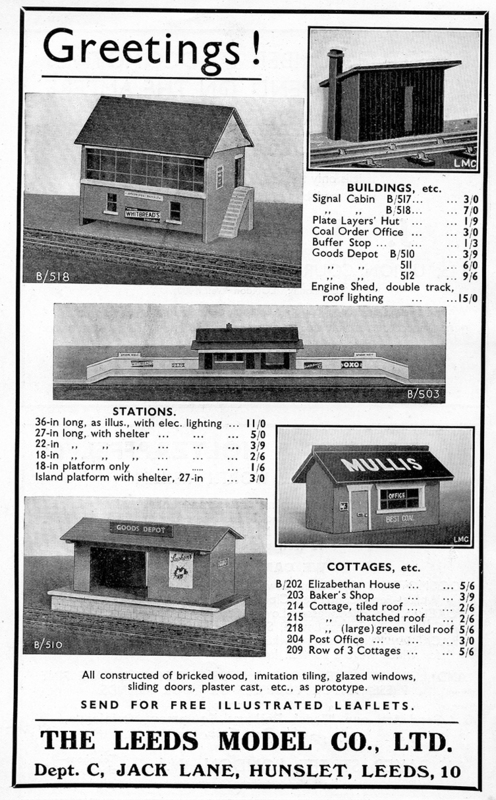 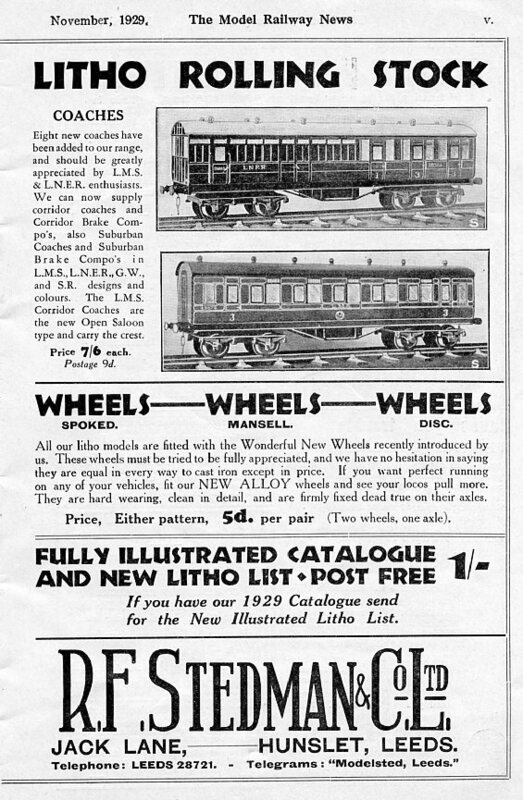 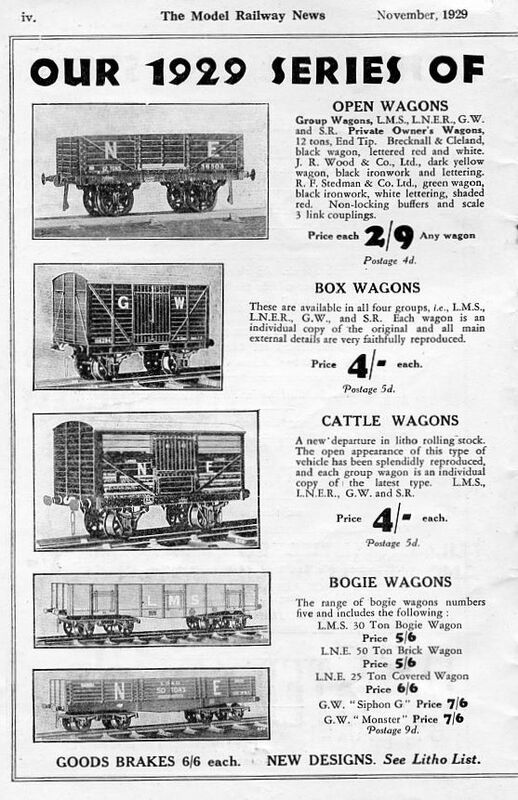 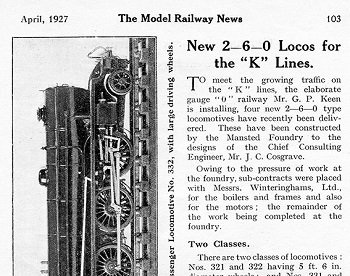 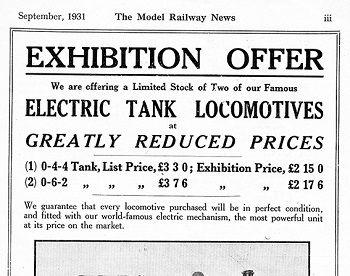 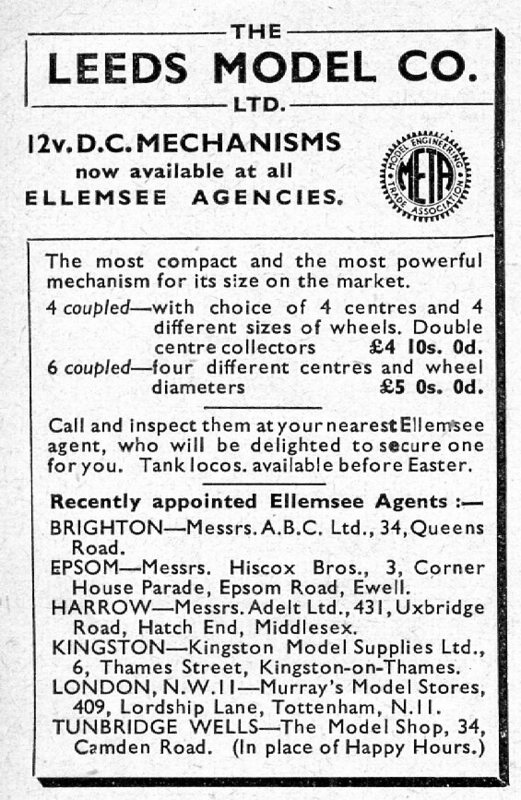 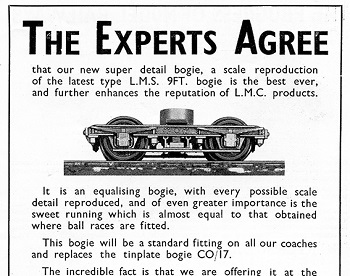 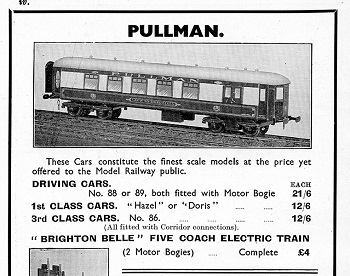 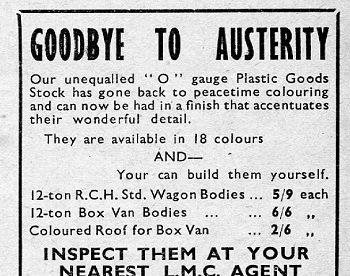 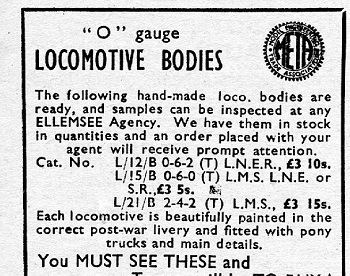 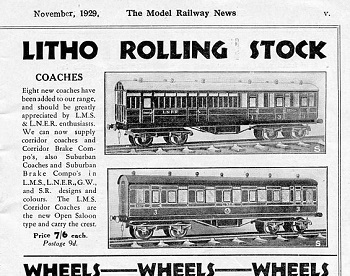 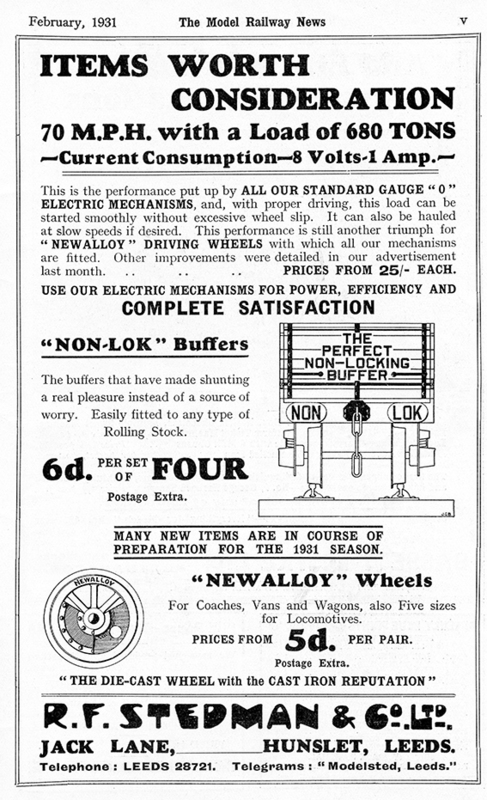 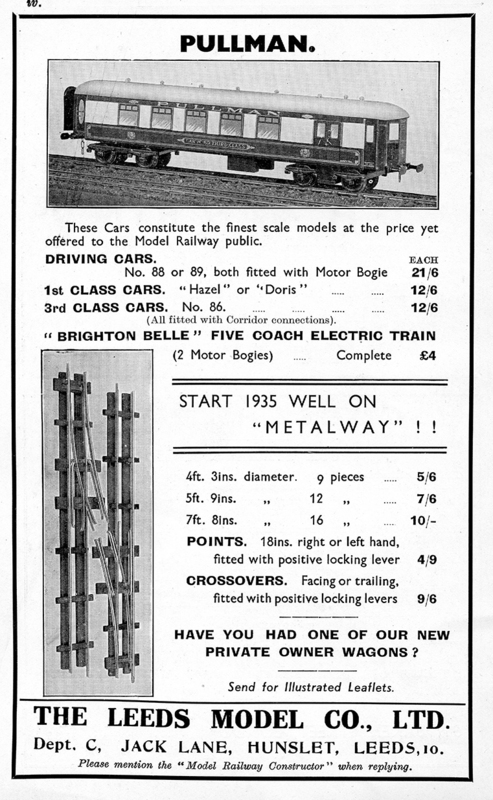 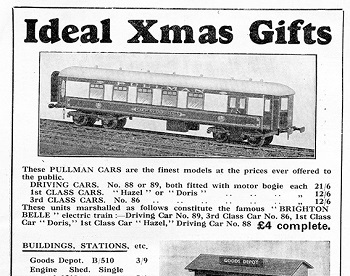 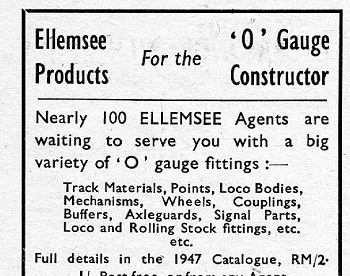 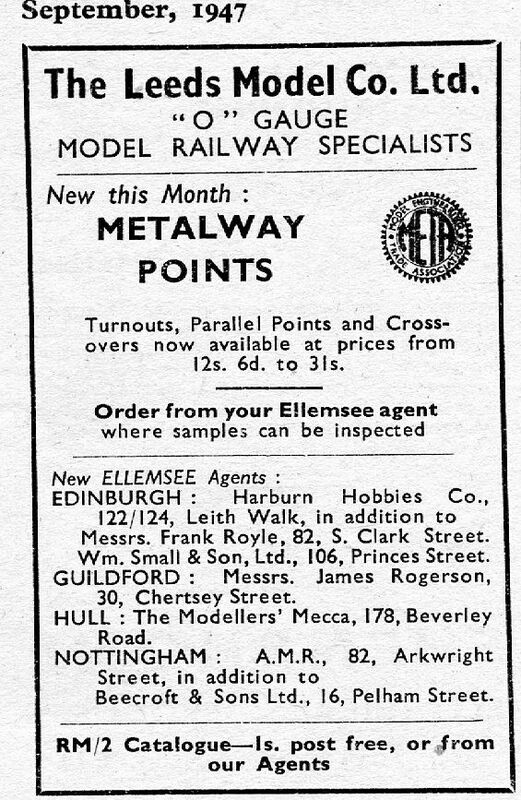 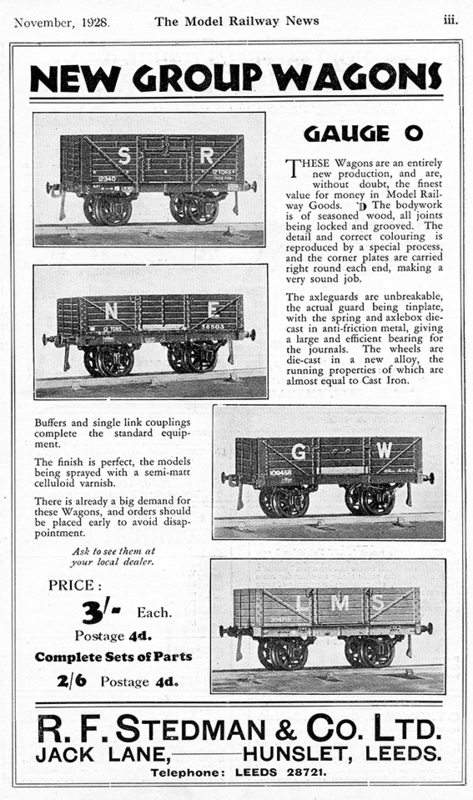 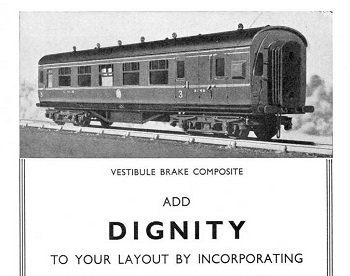 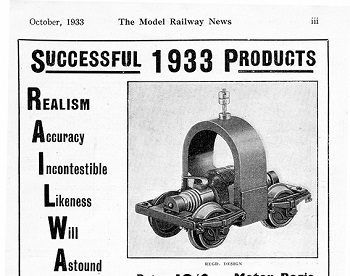 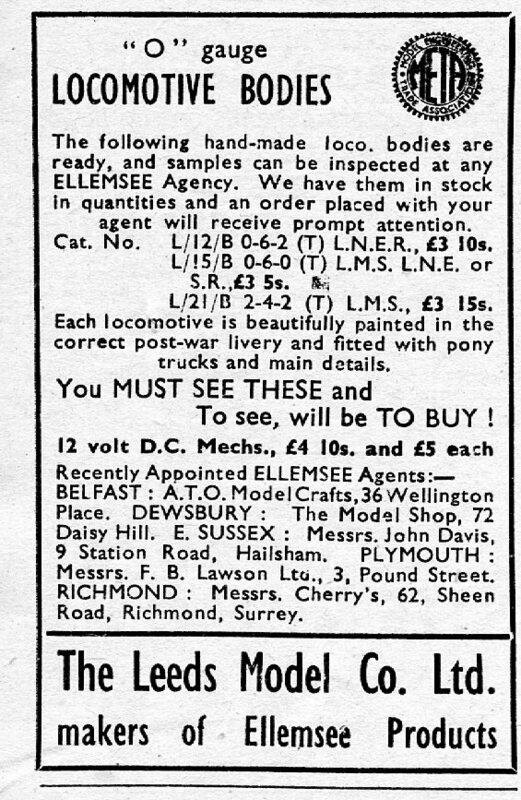 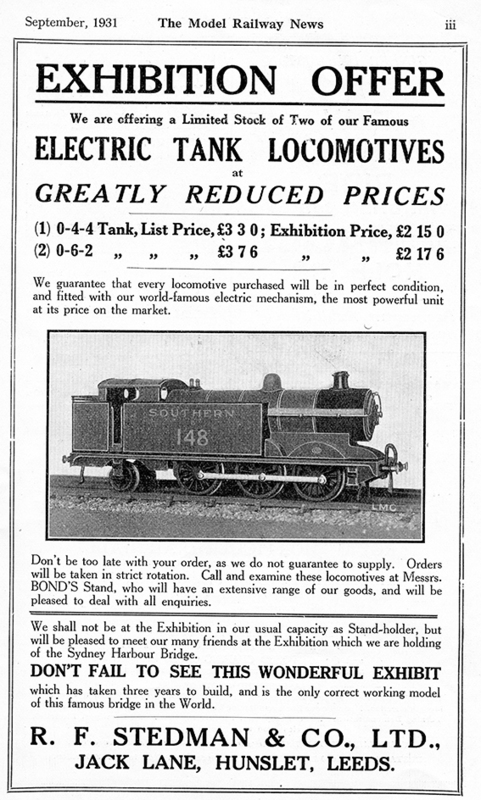 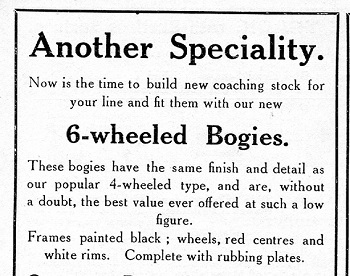 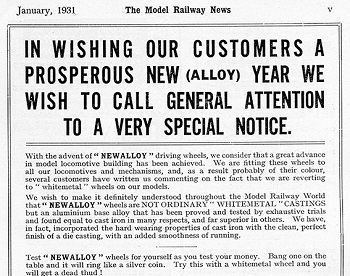 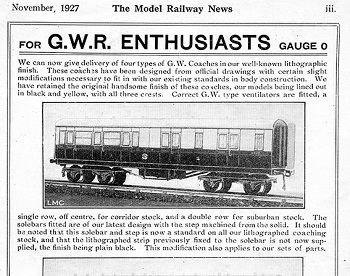 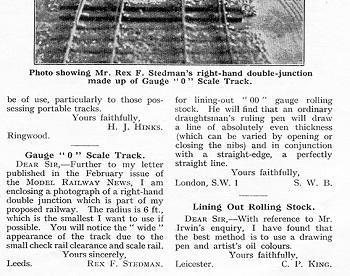 In this section we show some adverts from the early period as they appeared in Models, Railways and Locomotives, in Model Railway News, in Model Railway Constructor and in Model Engineer and Electrician over the years. 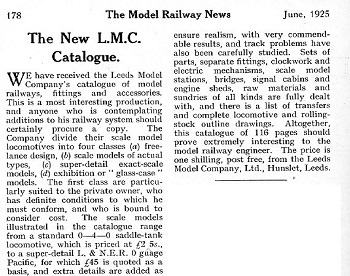 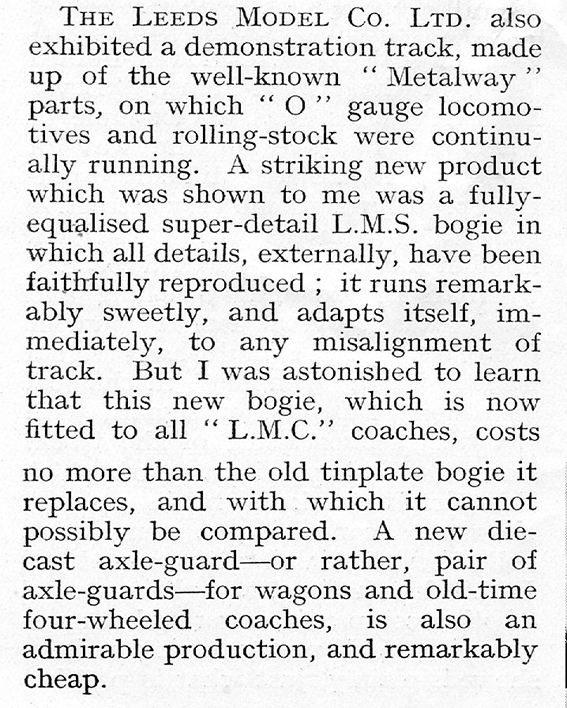 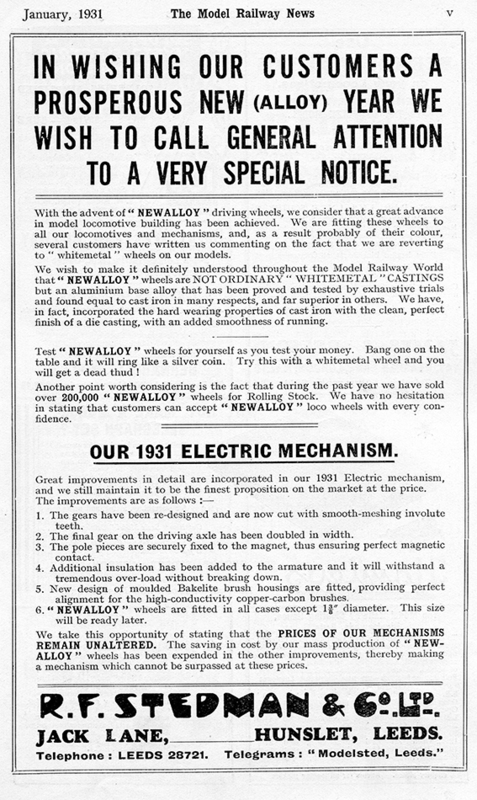 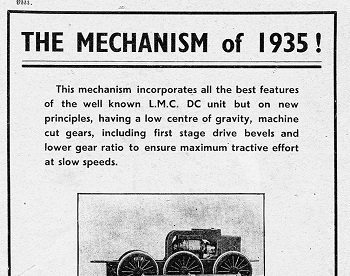 We have also included news items, editorials and correspondence from both magazines about the introduction of new models and parts and news about the company. 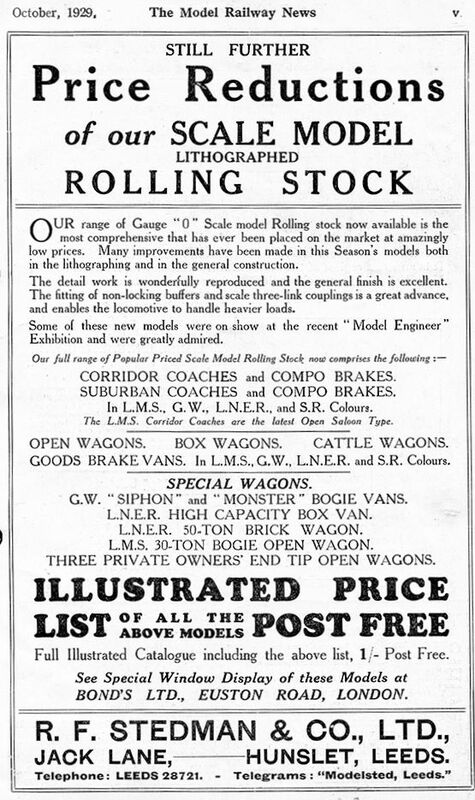 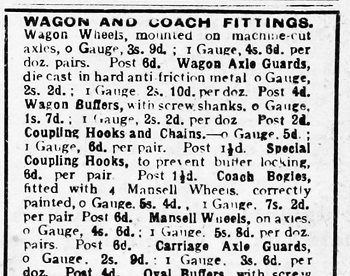 Click on the image to view the advertisement or the news in full format. 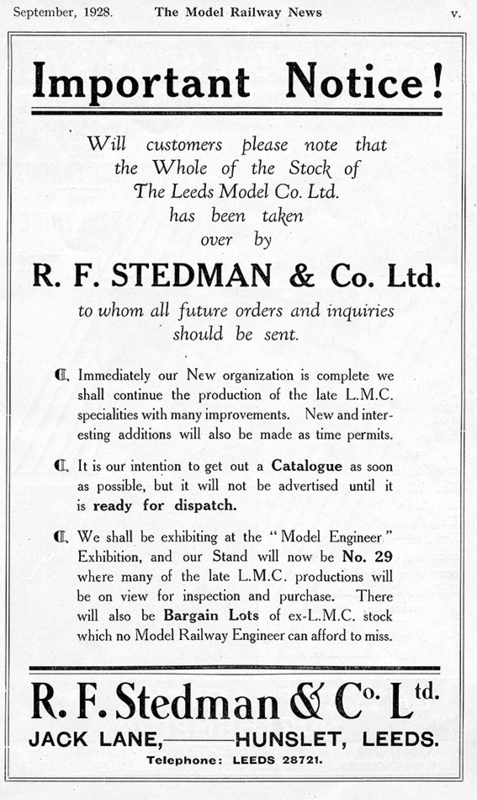 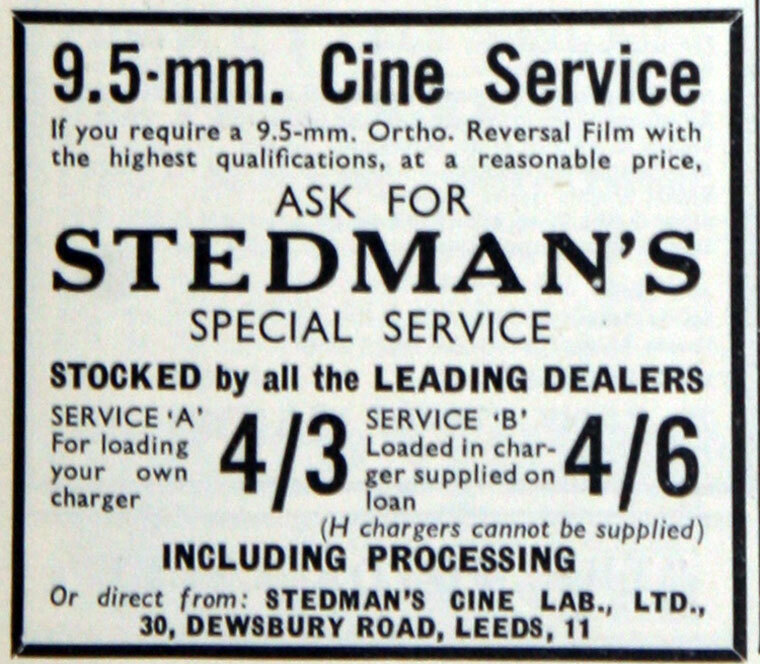 After he had left the Leeds Model Company in 1932, Rex Stedman opened Stedman's Cinematograph Laboratory. 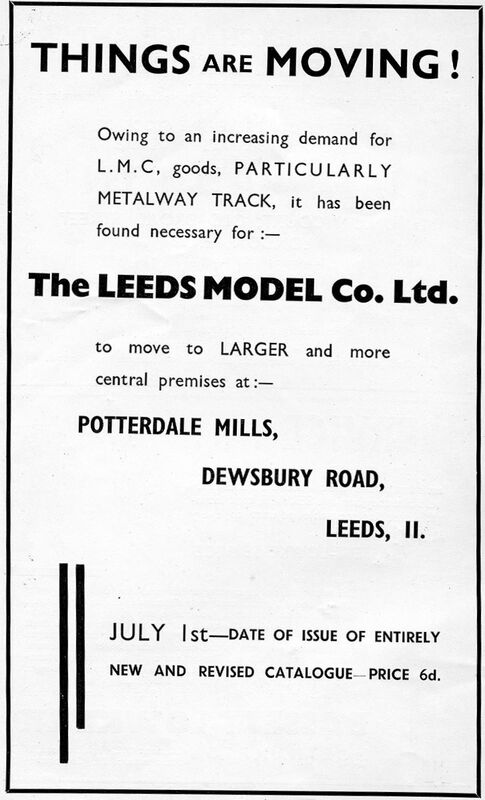 This business was almost opposite the LMC factory, which had moved from Jack Lane. 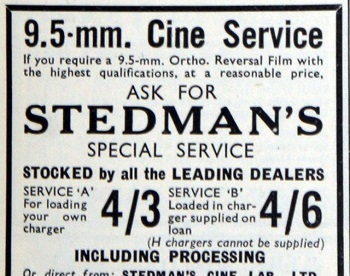 Rex Stedman worked on developing cine cameras.